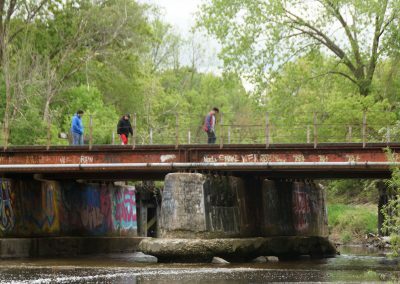 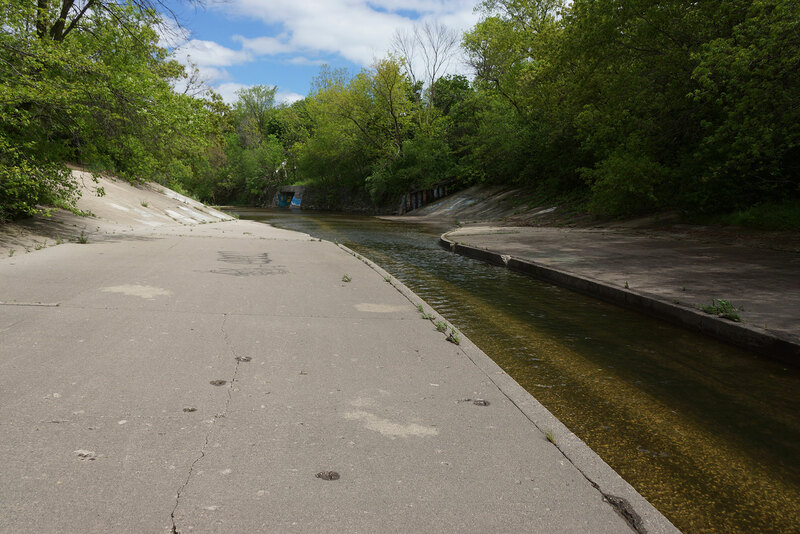 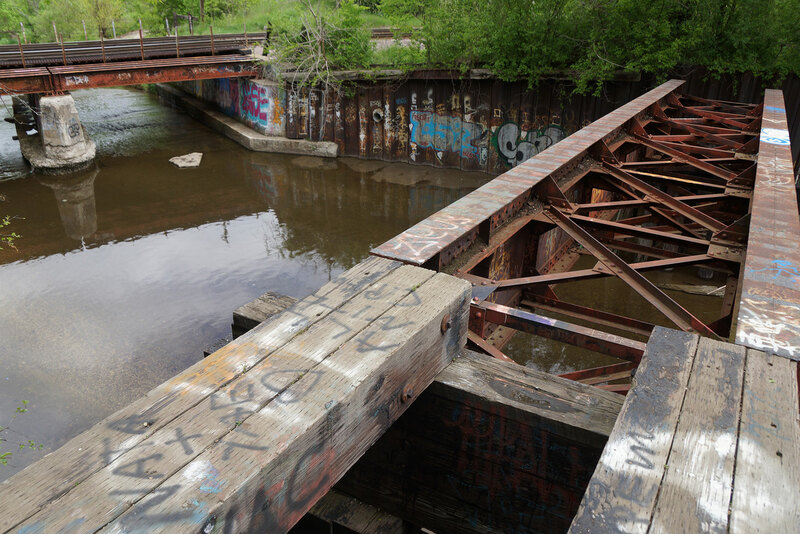 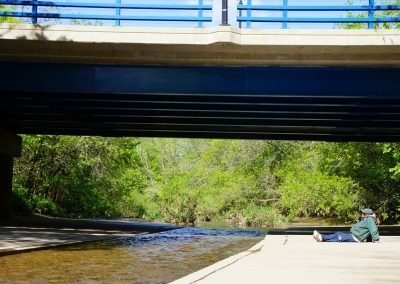 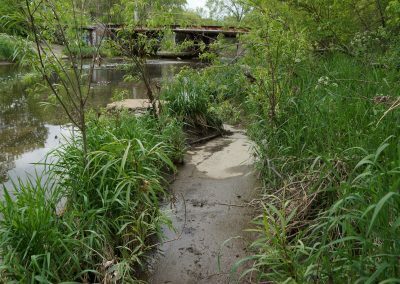 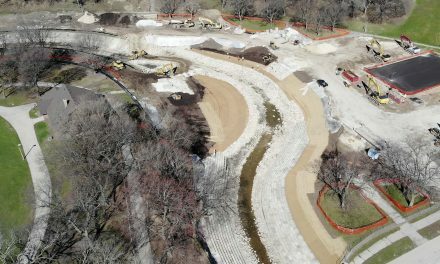 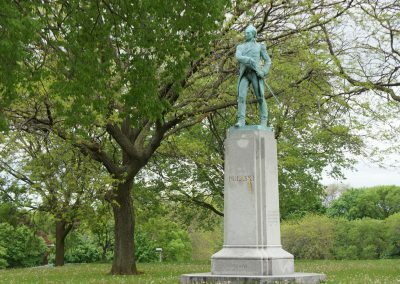 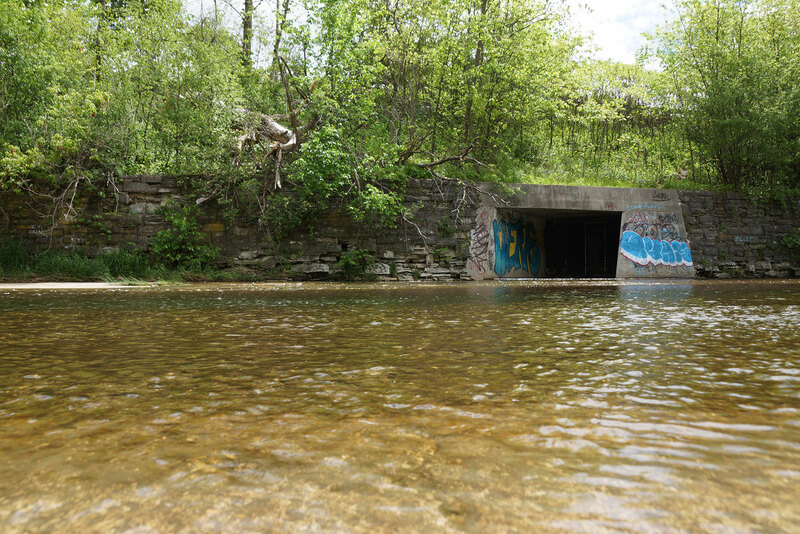 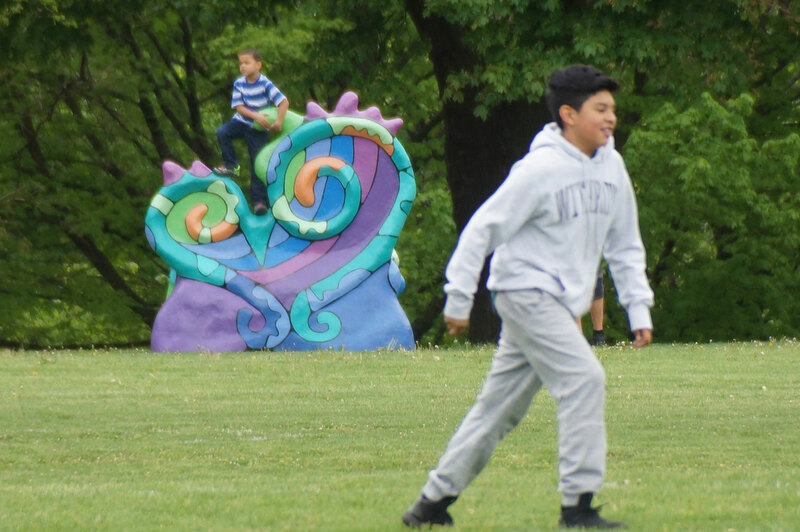 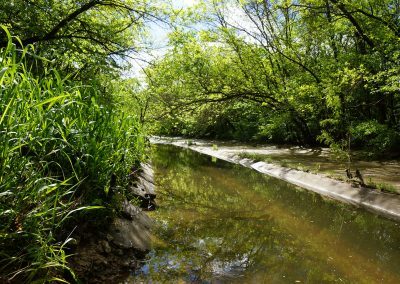 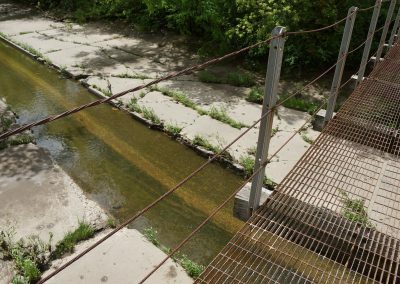 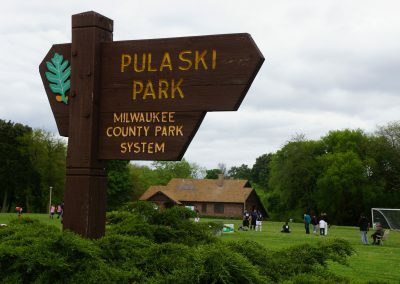 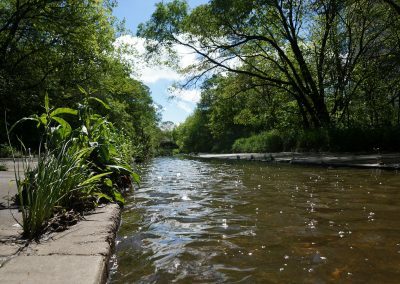 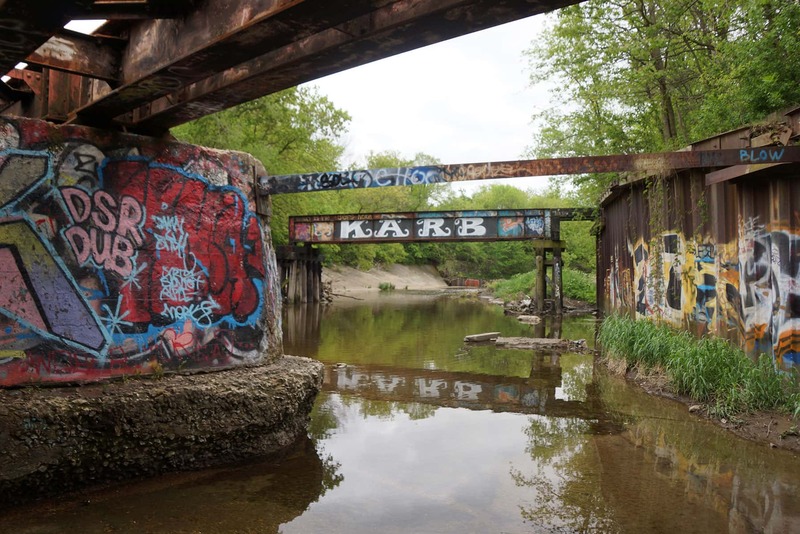 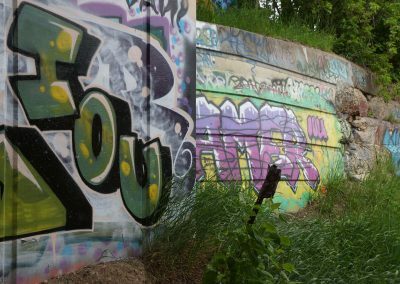 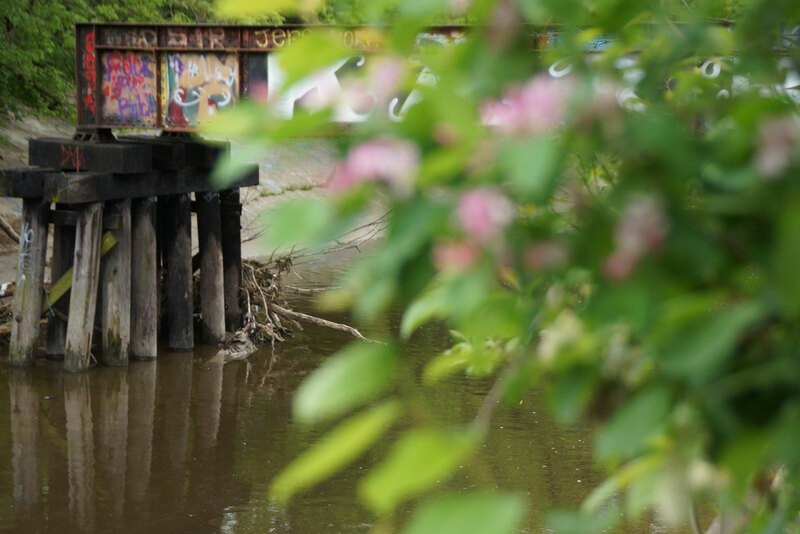 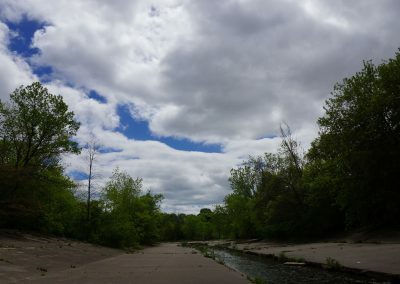 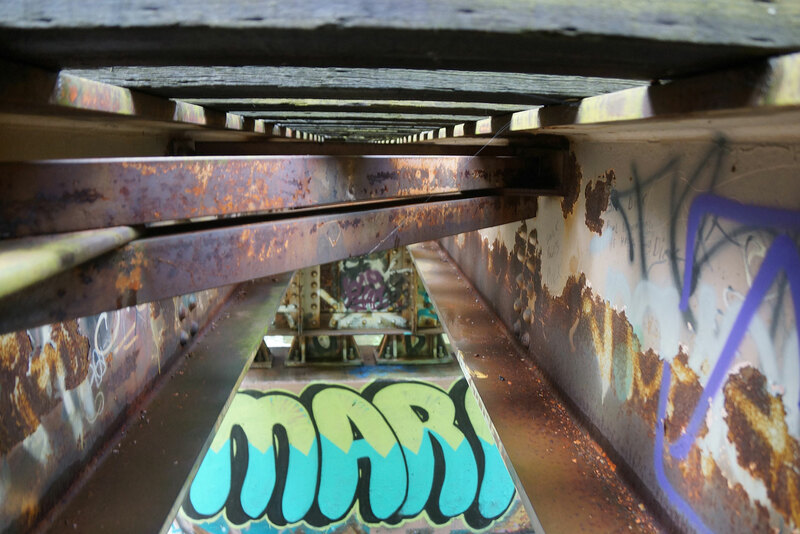 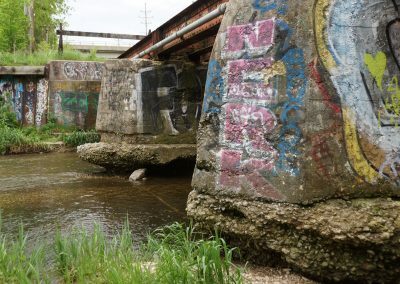 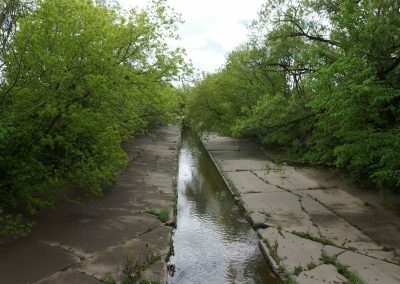 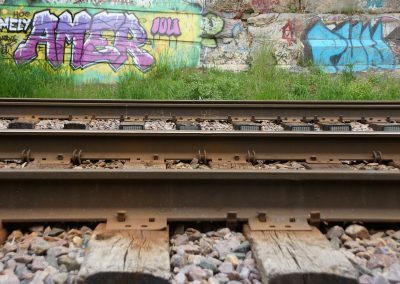 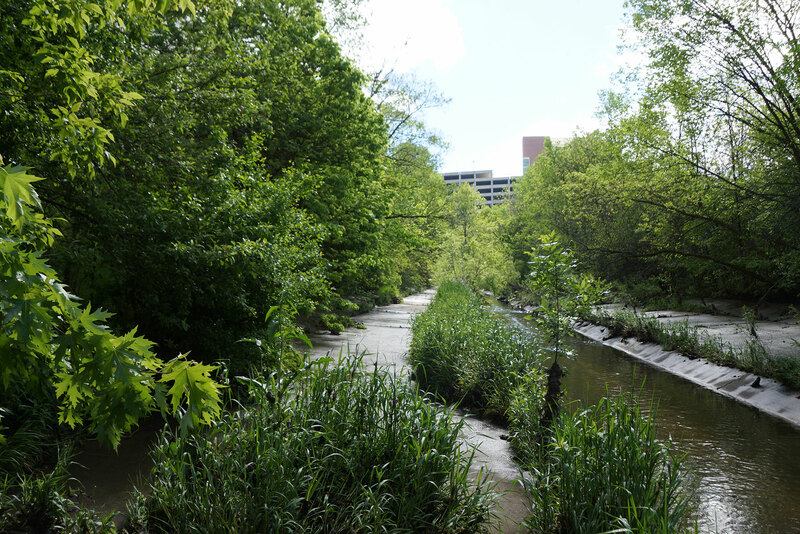 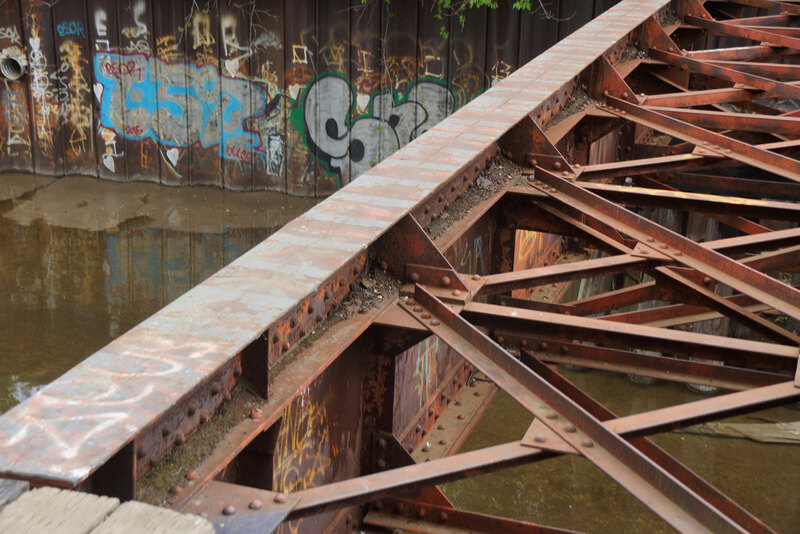 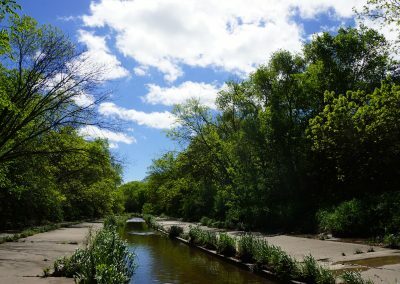 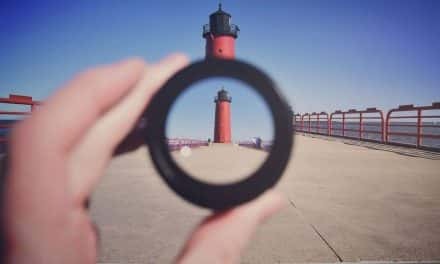 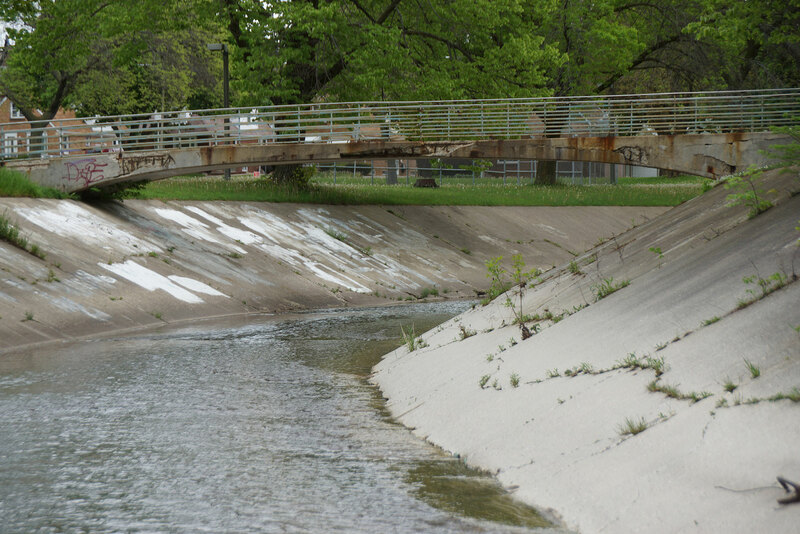 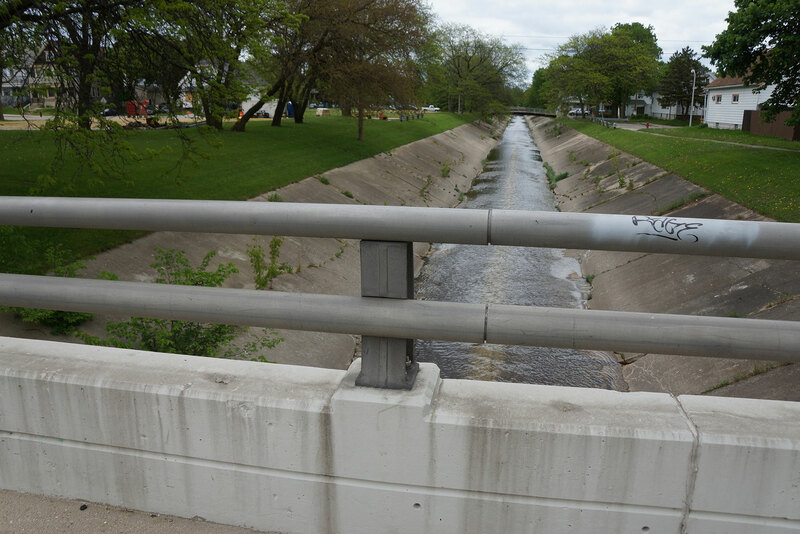 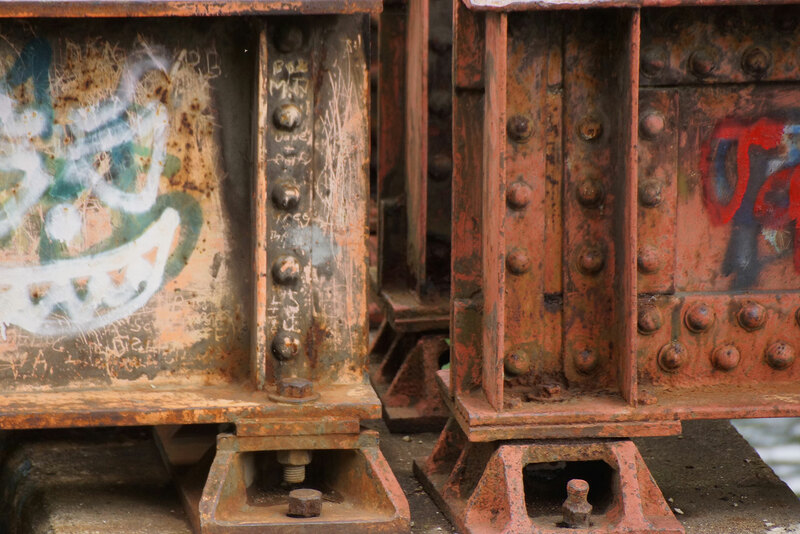 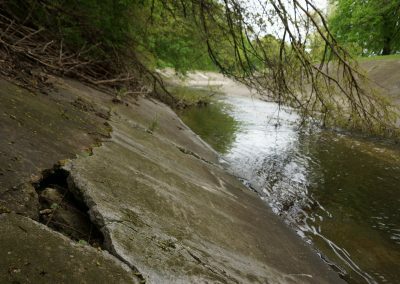 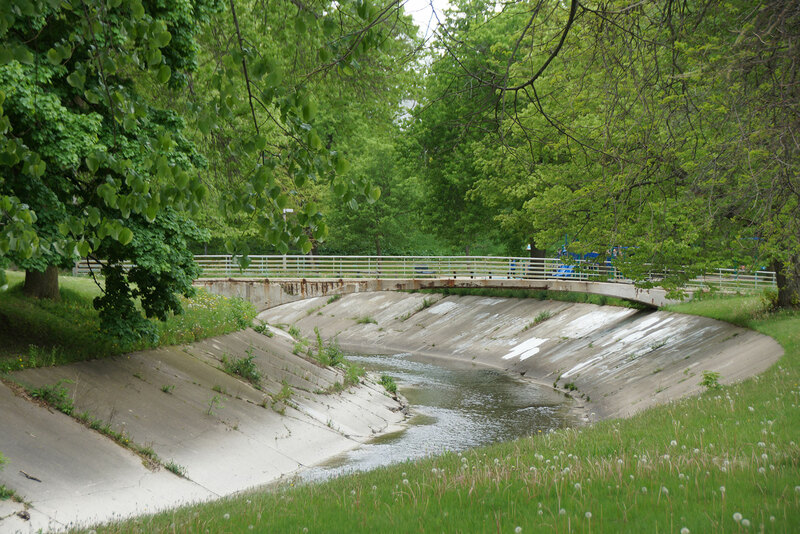 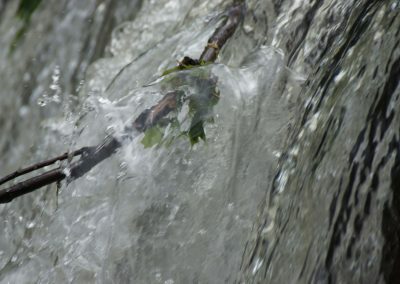 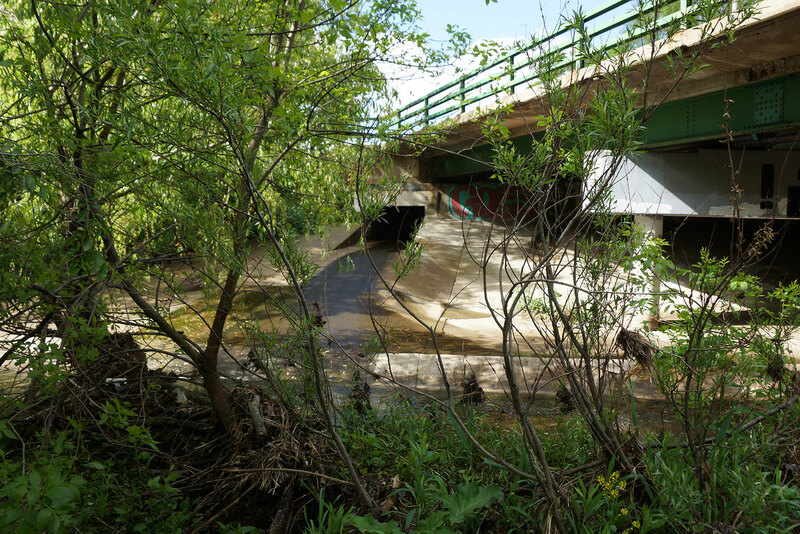 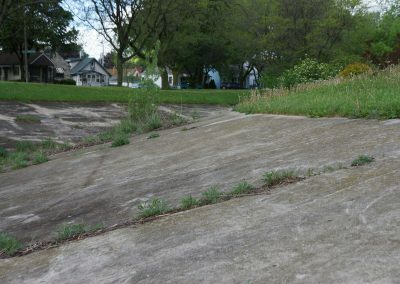 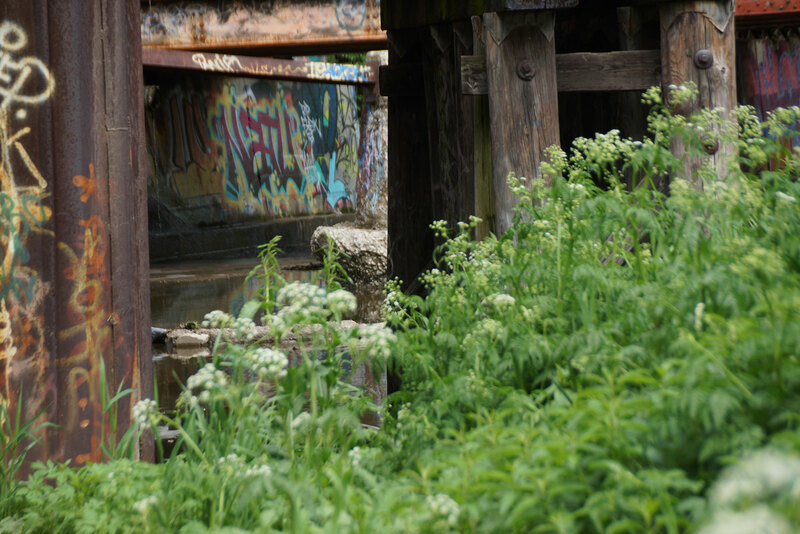 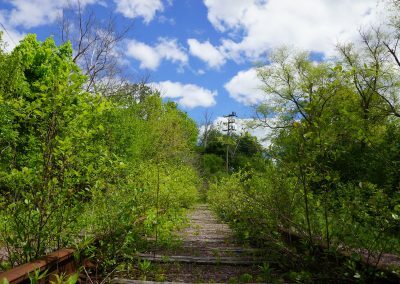 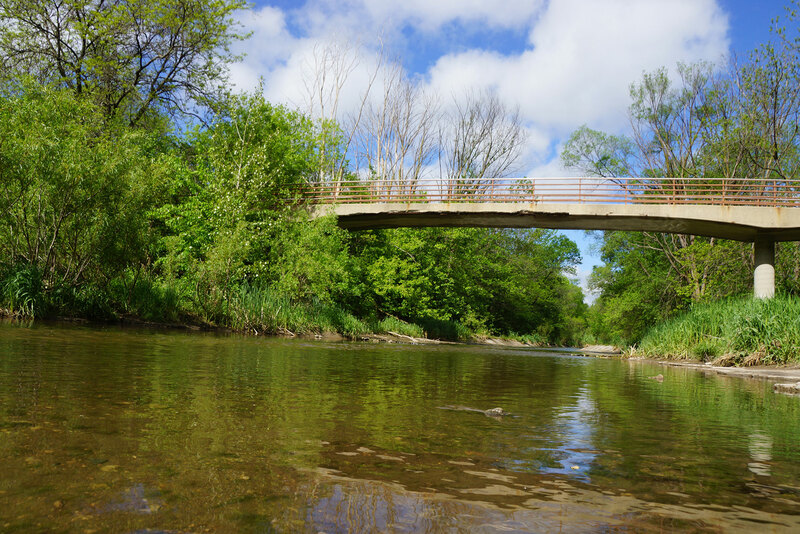 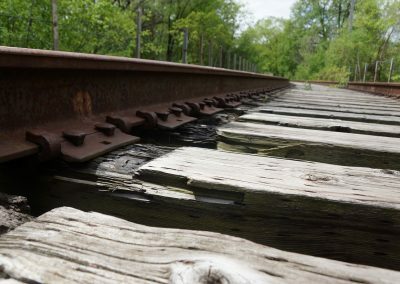 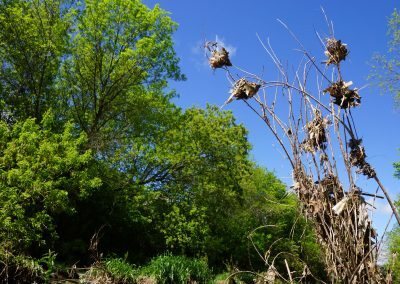 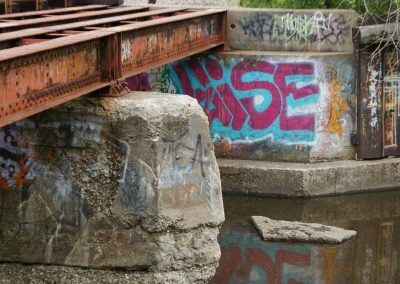 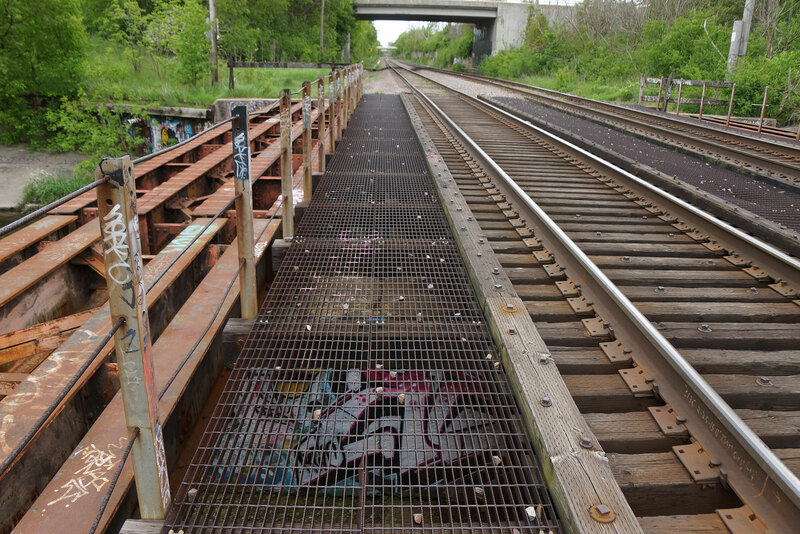 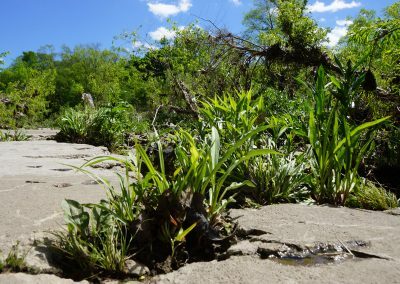 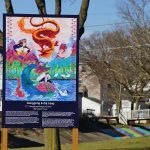 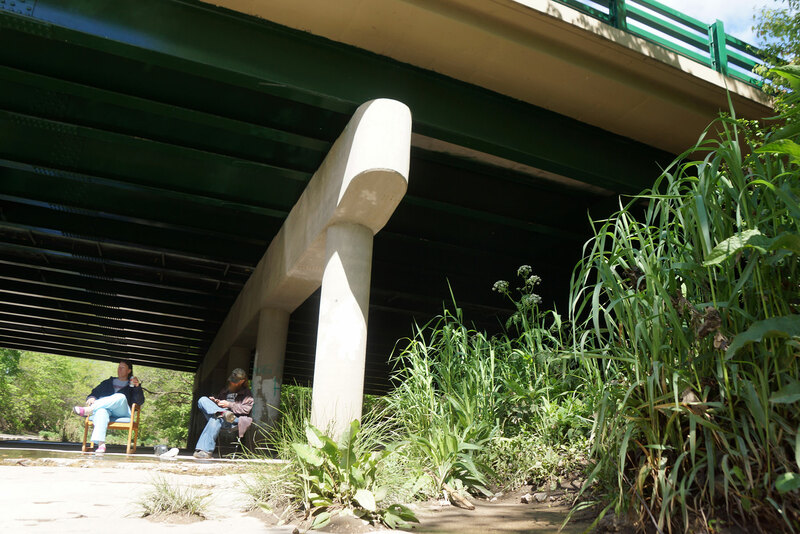 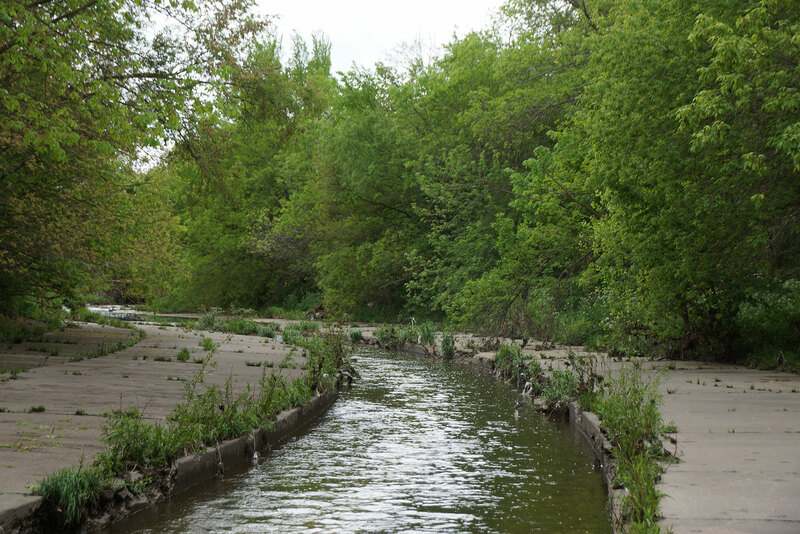 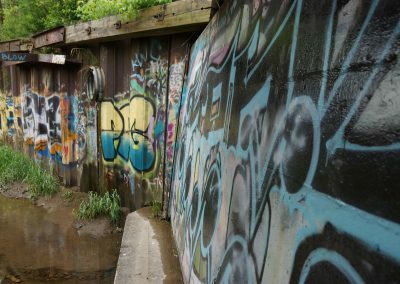 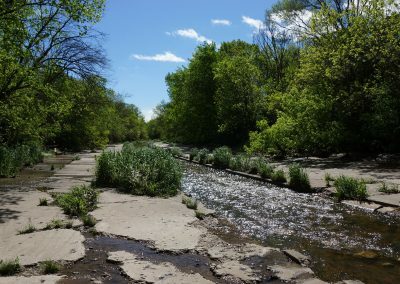 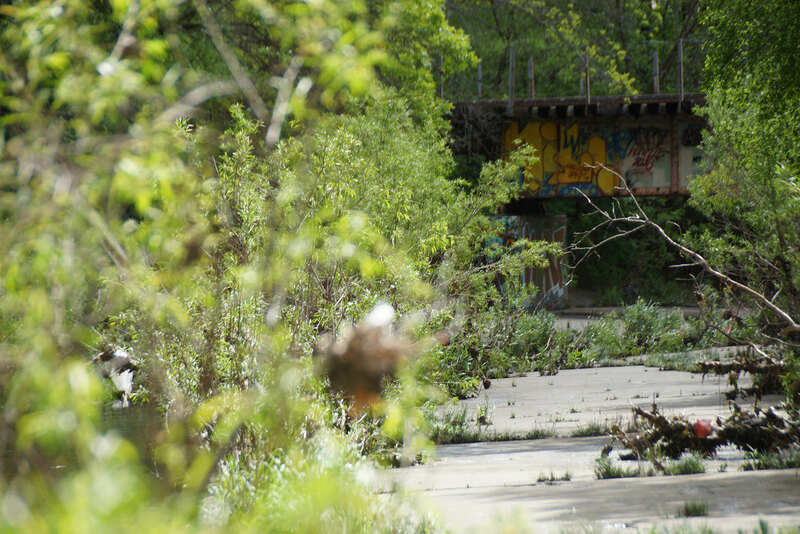 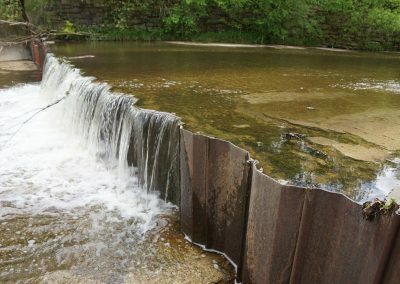 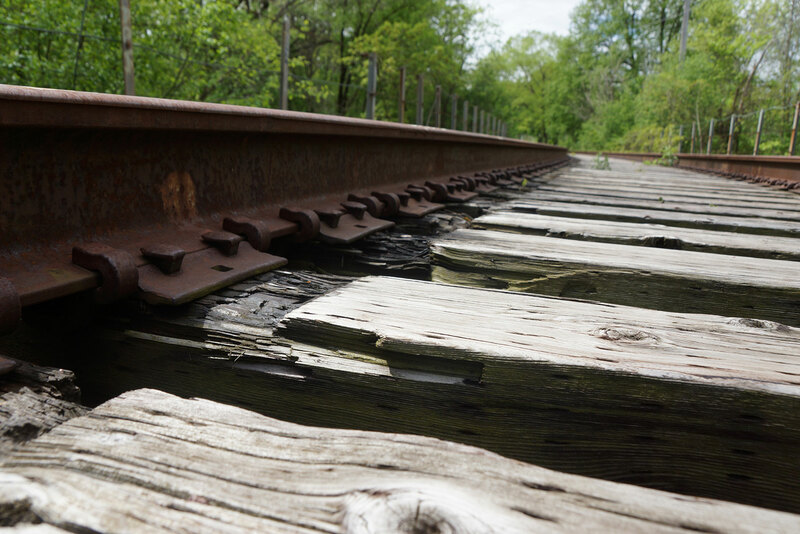 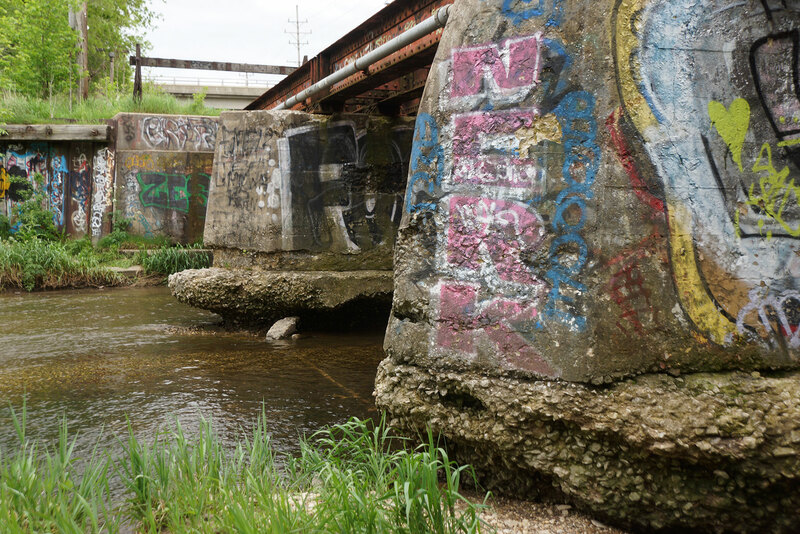 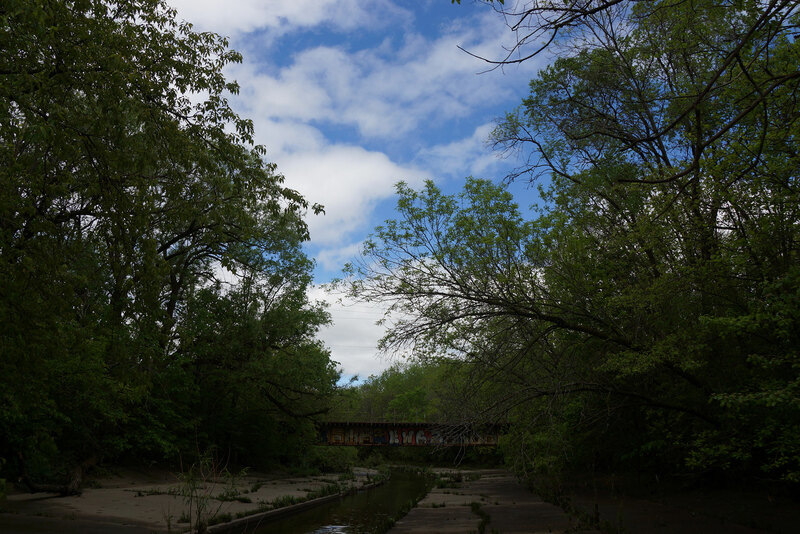 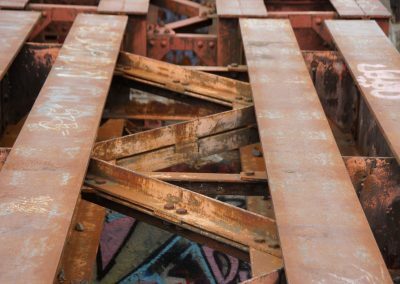 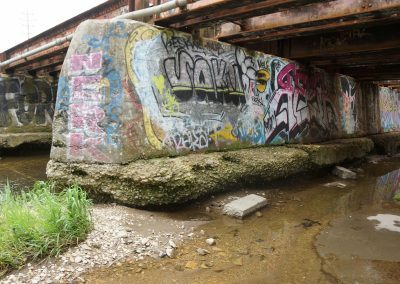 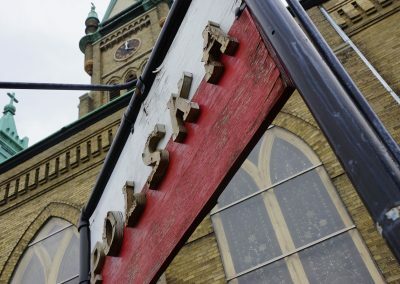 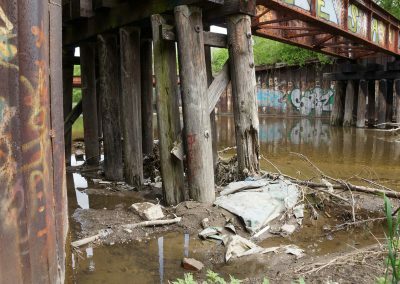 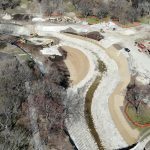 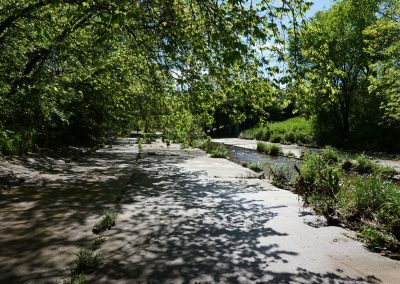 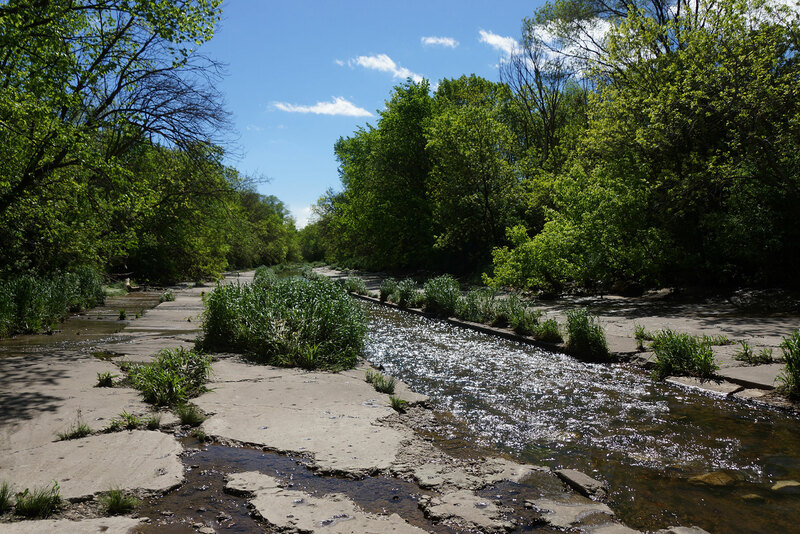 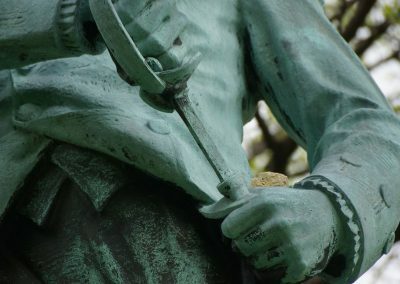 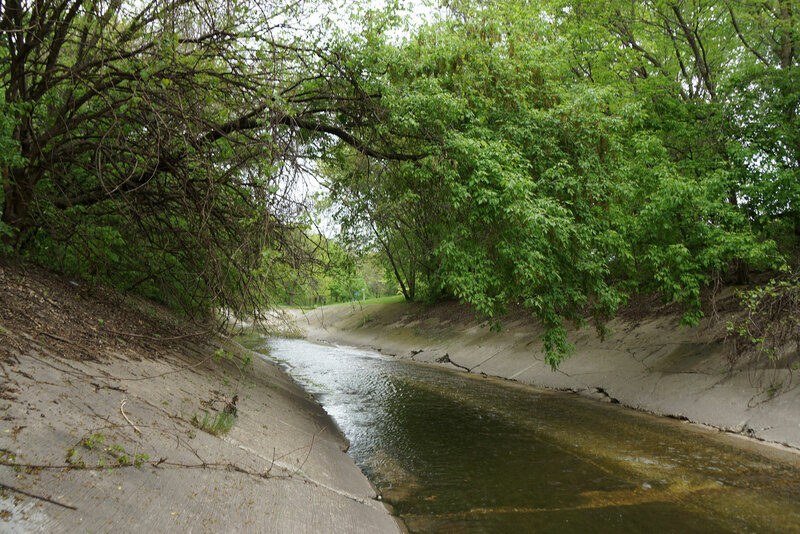 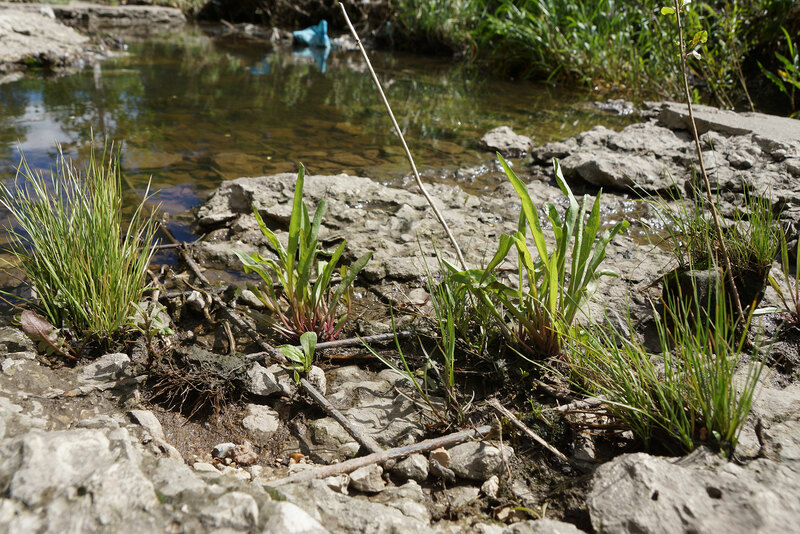 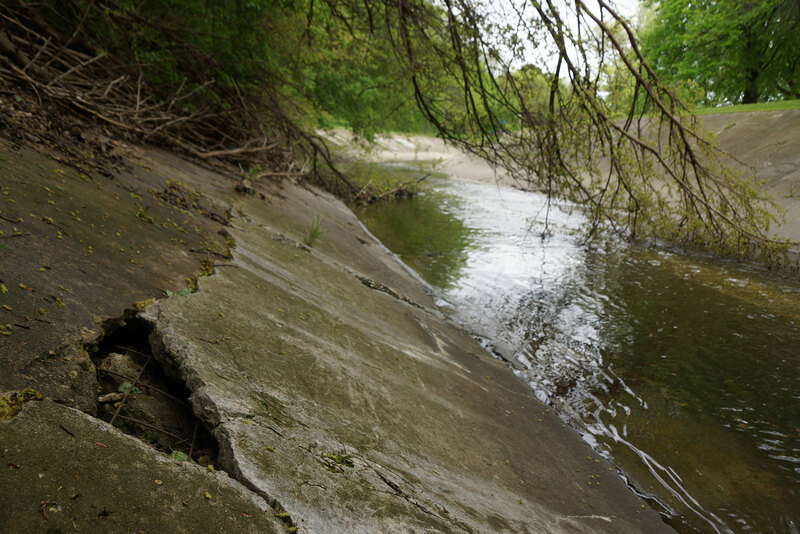 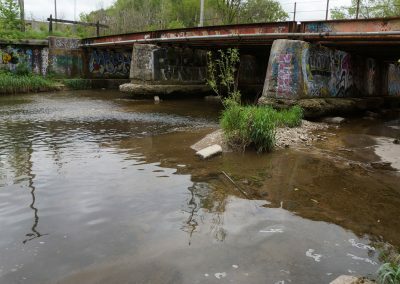 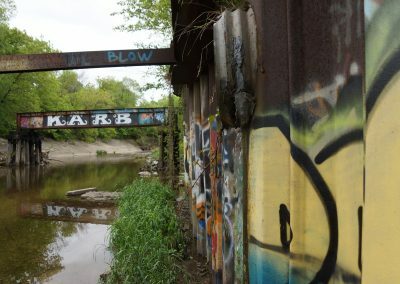 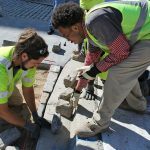 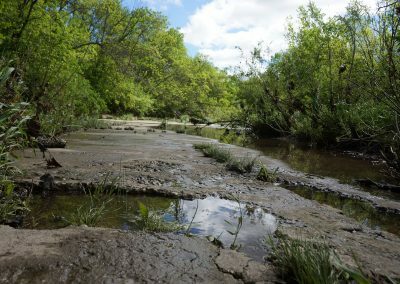 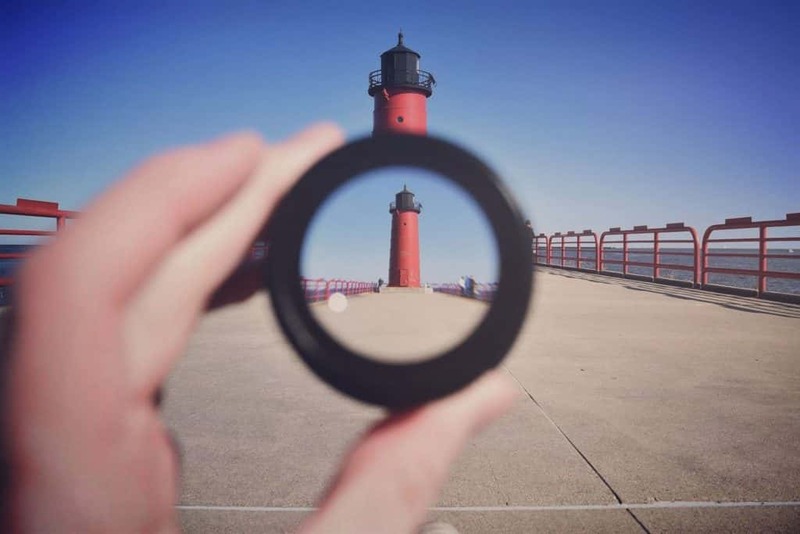 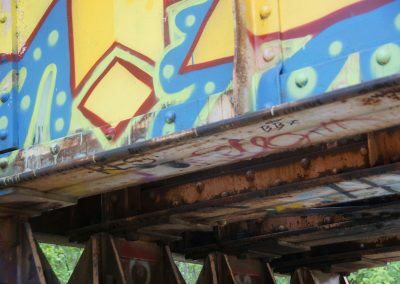 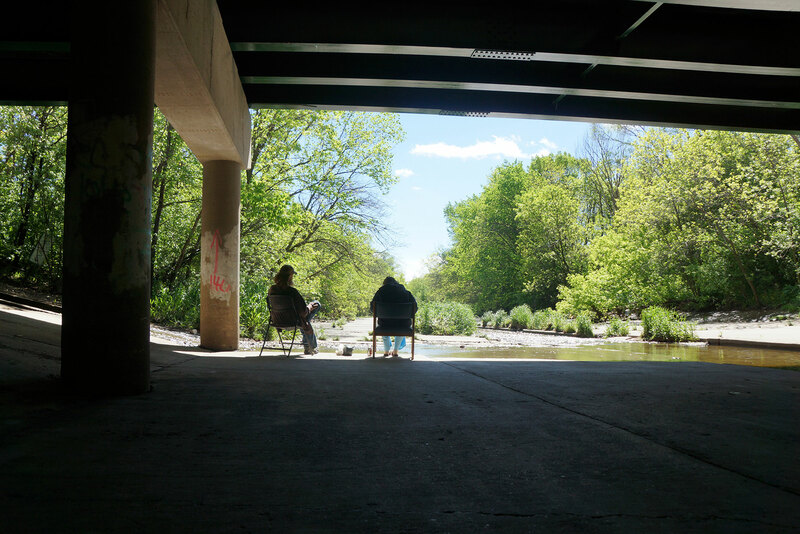 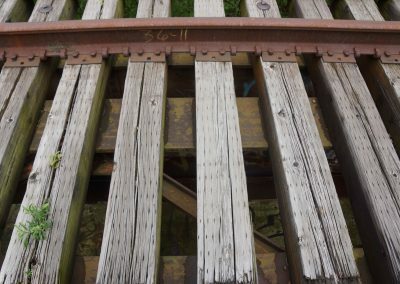 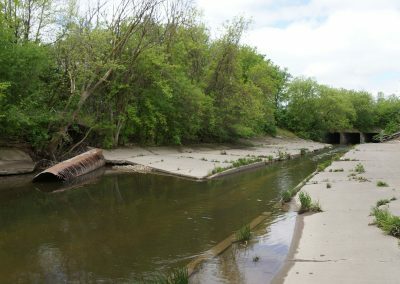 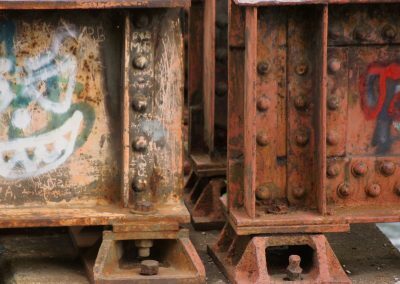 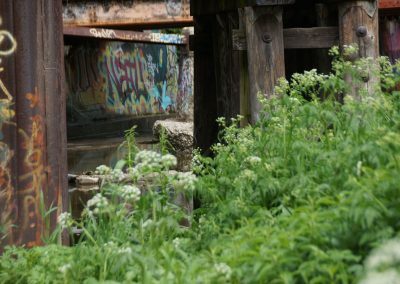 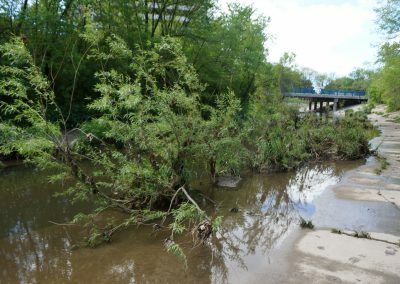 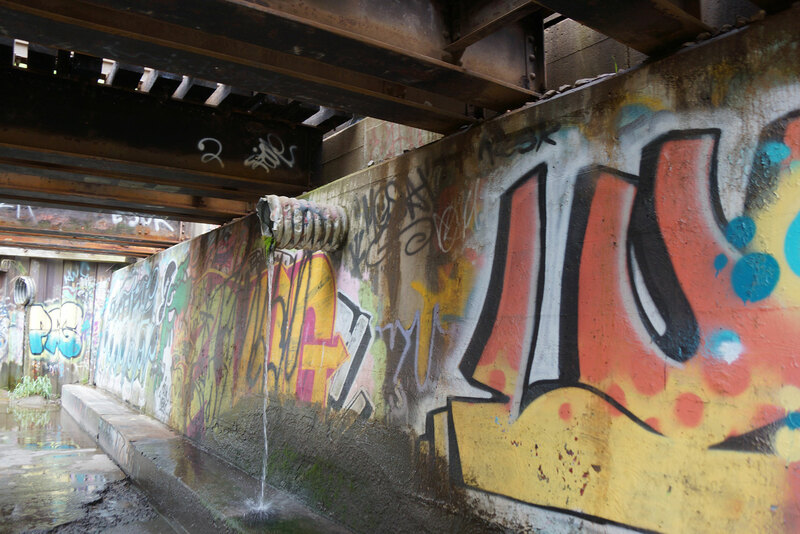 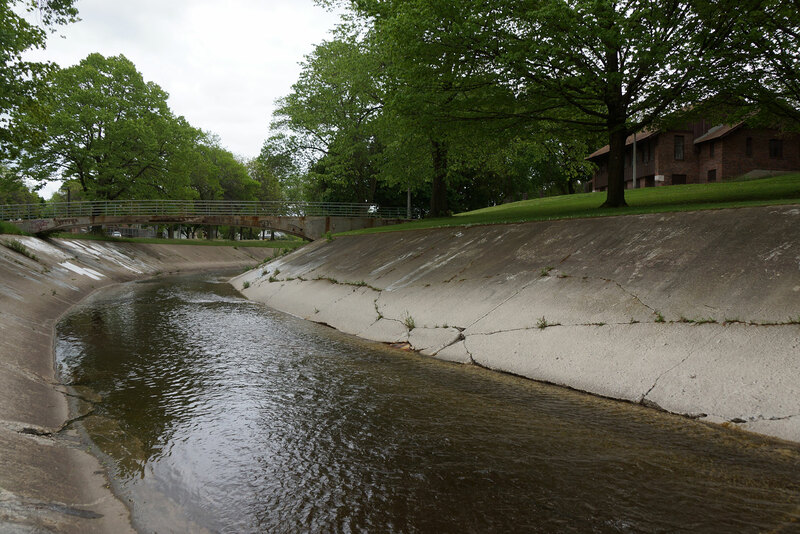 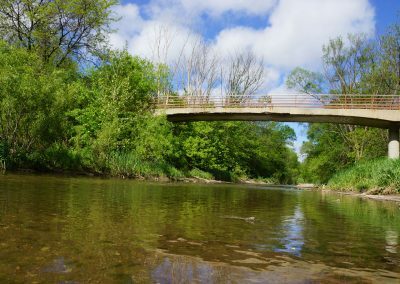 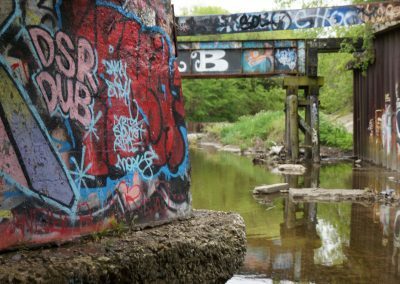 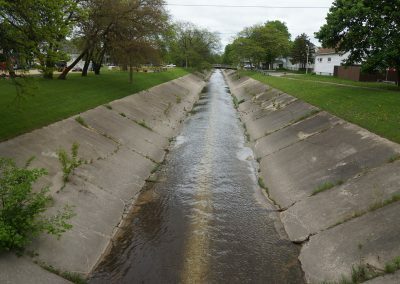 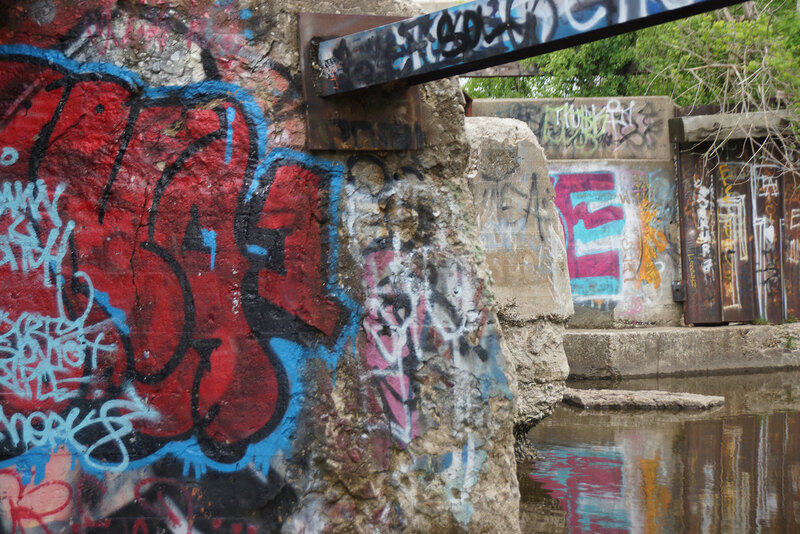 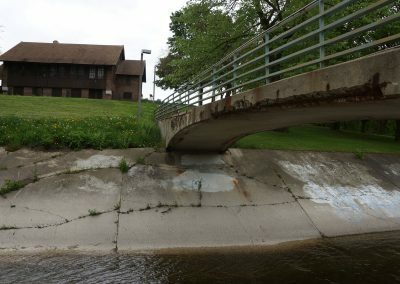 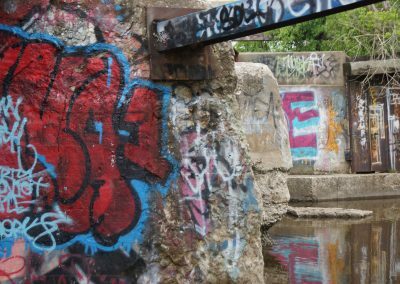 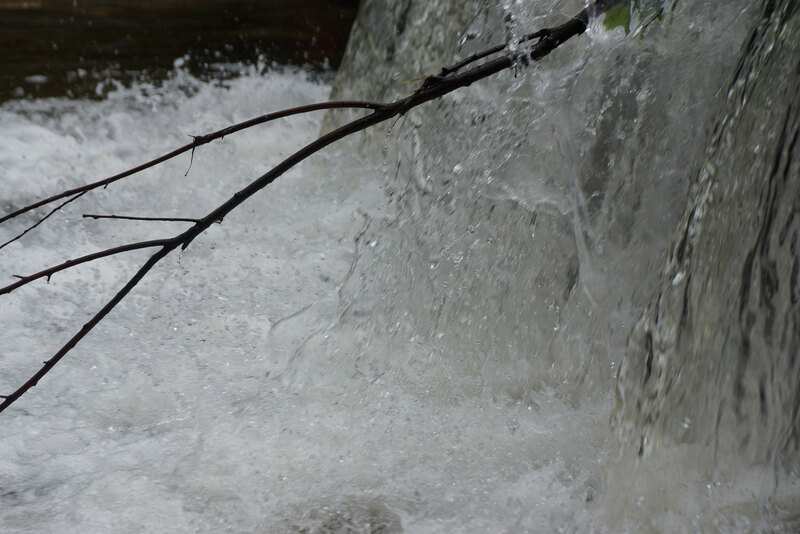 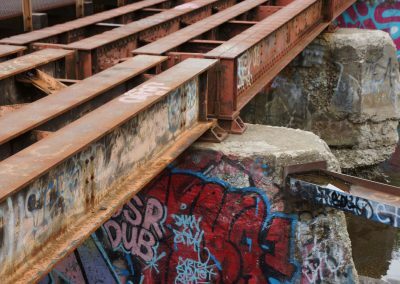 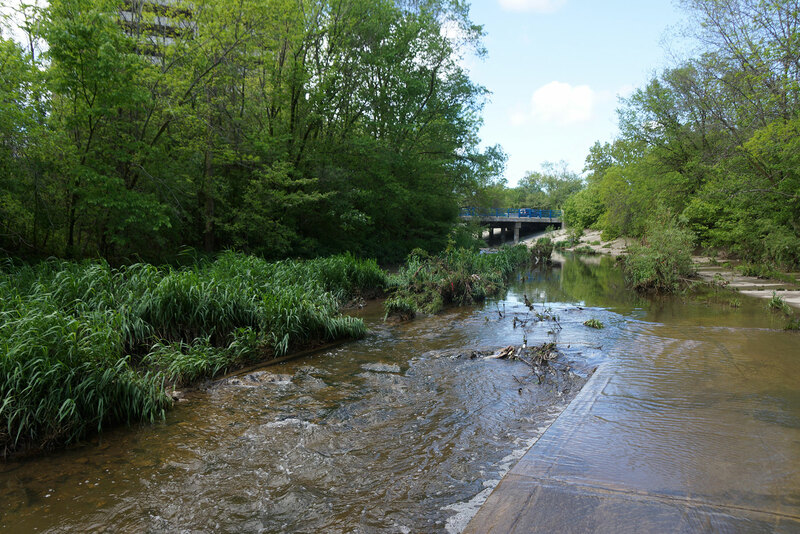 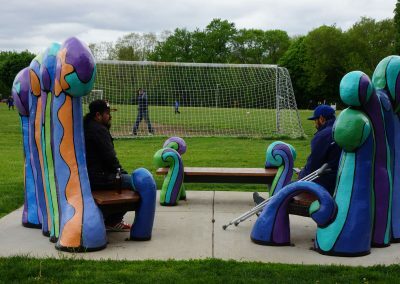 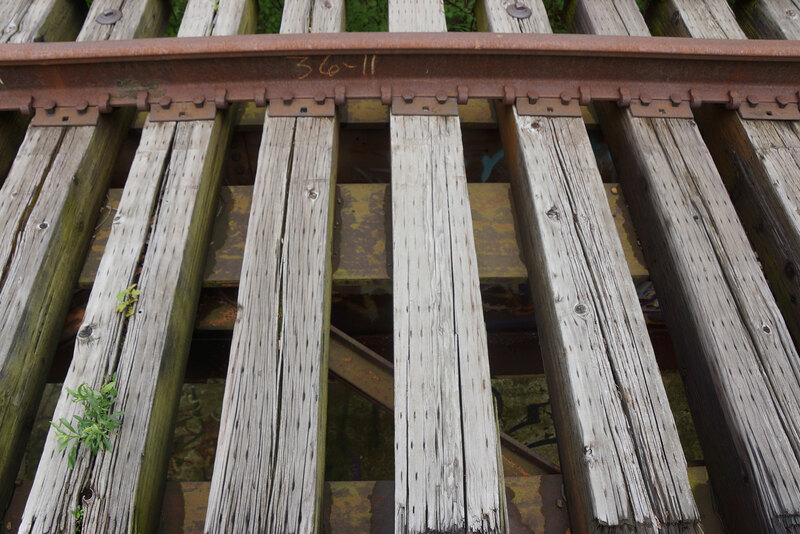 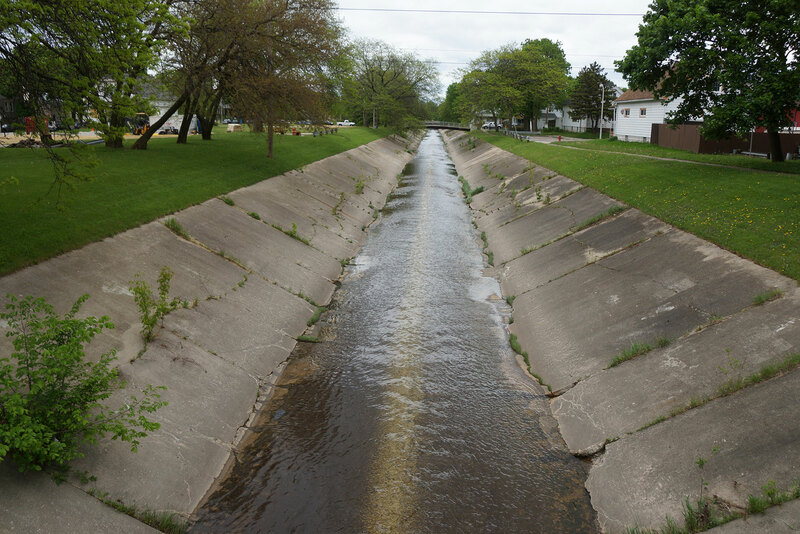 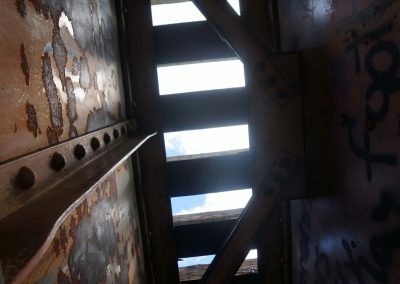 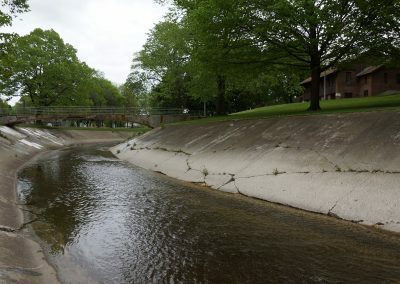 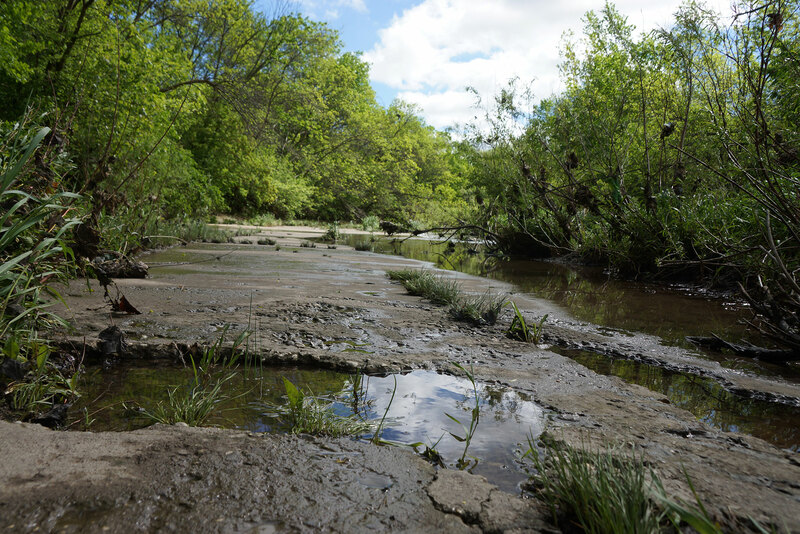 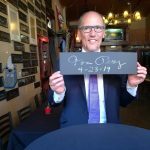 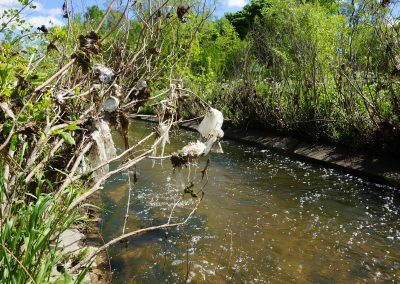 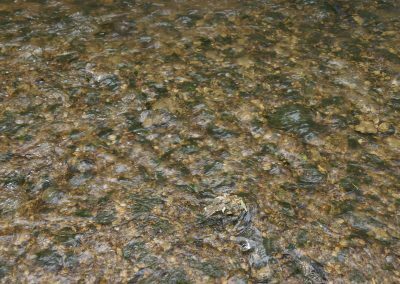 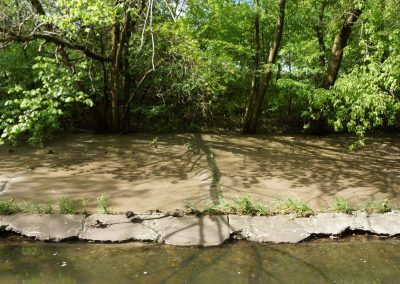 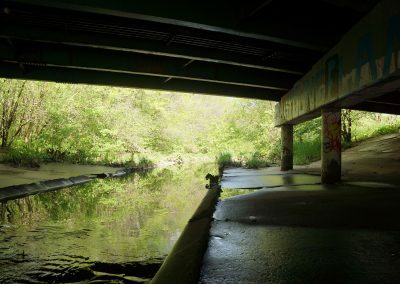 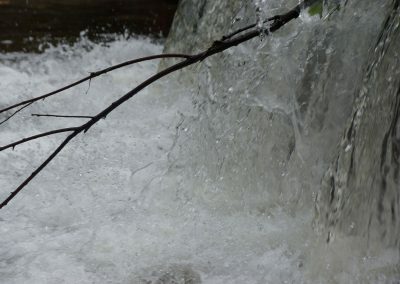 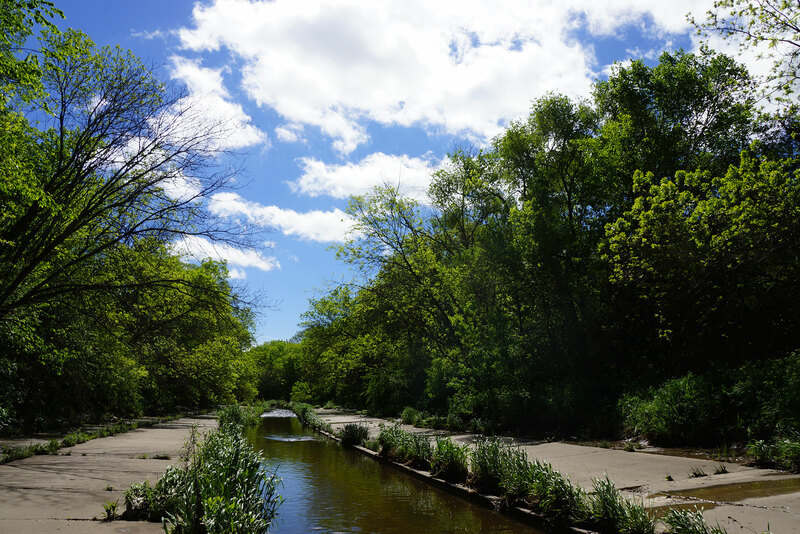 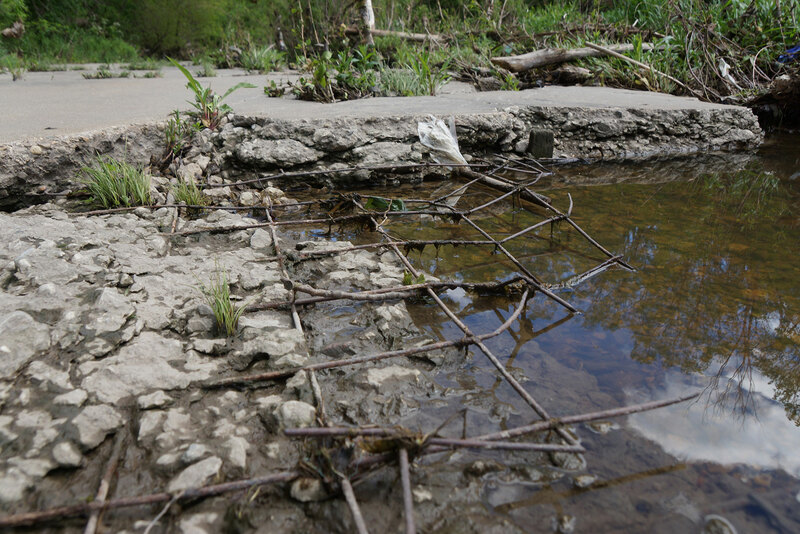 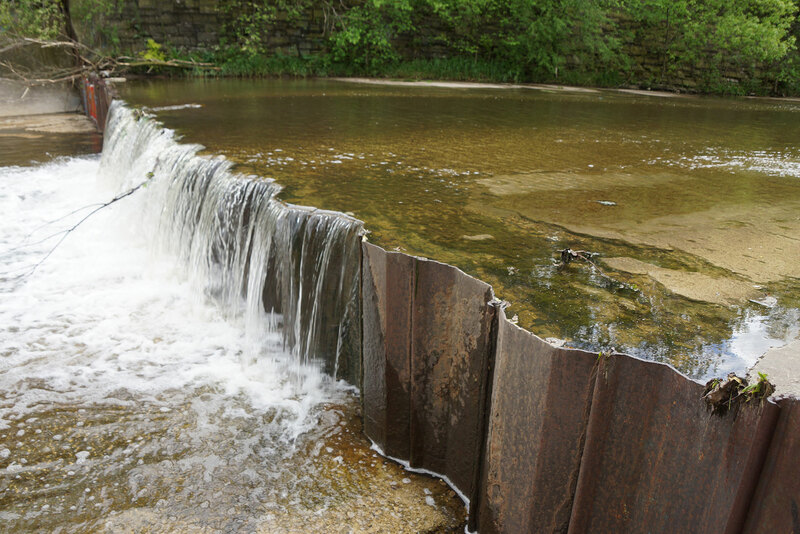 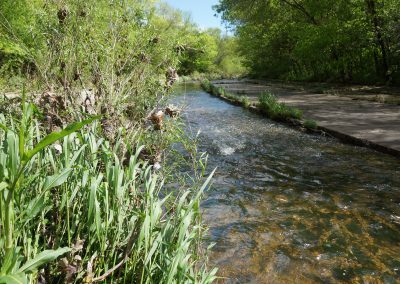 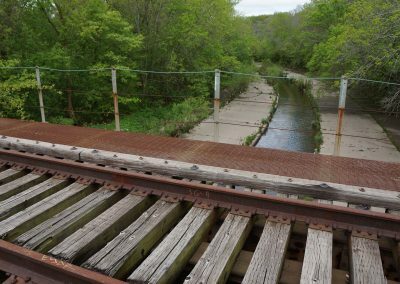 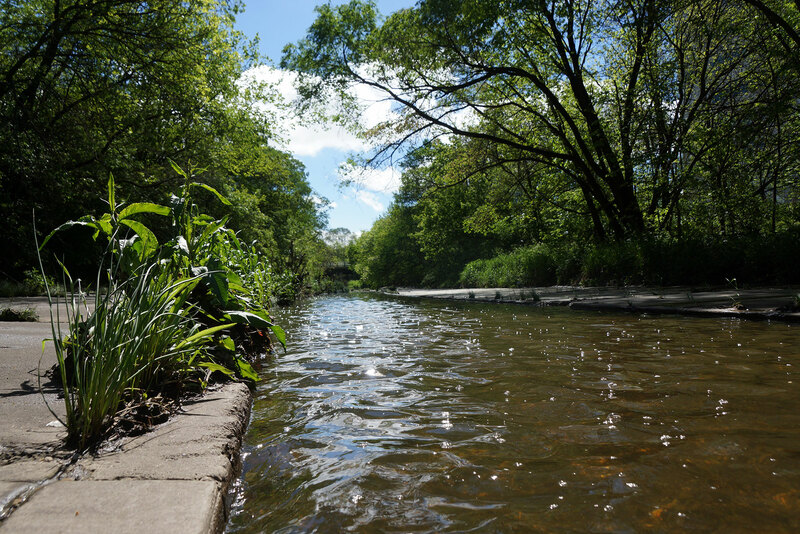 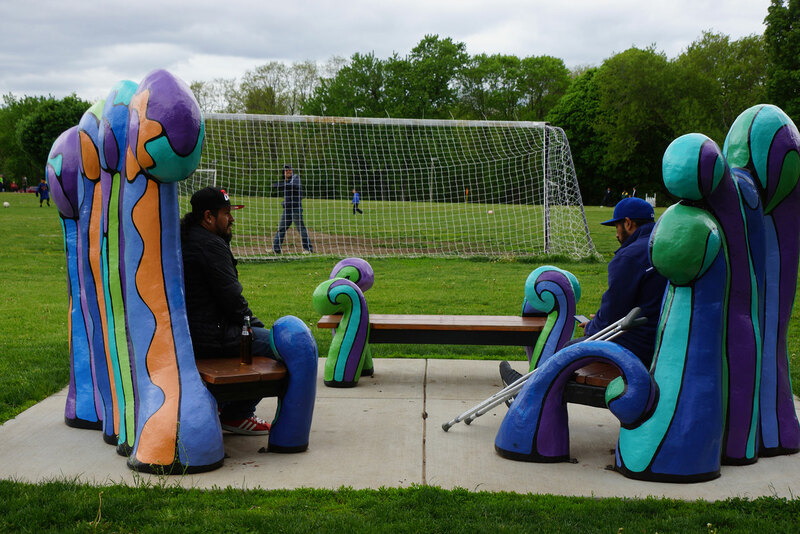 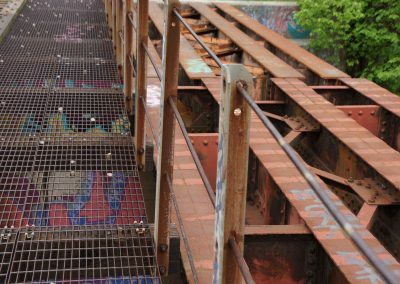 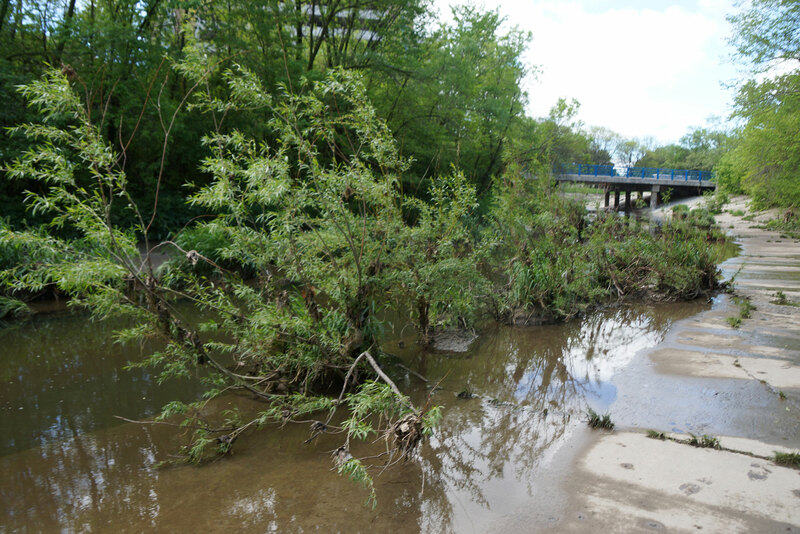 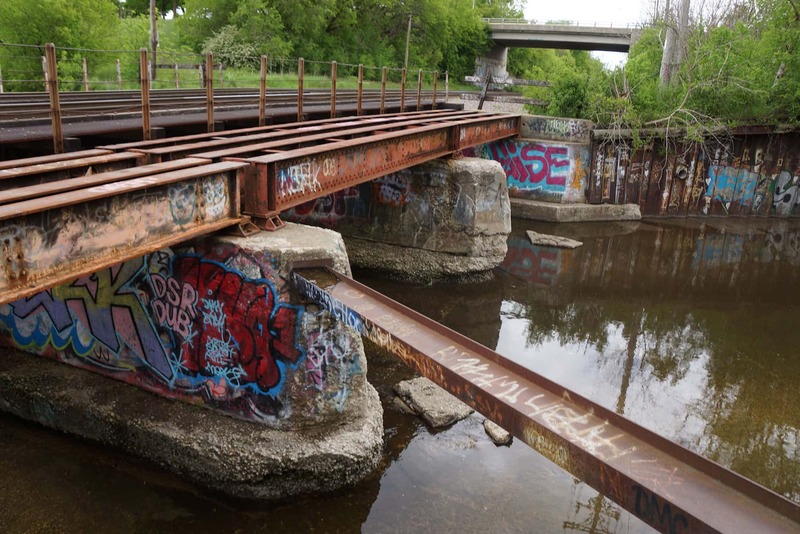 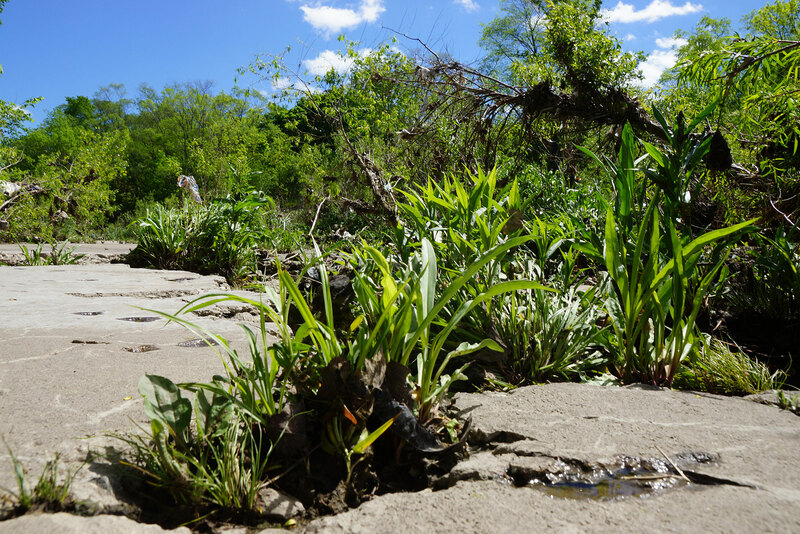 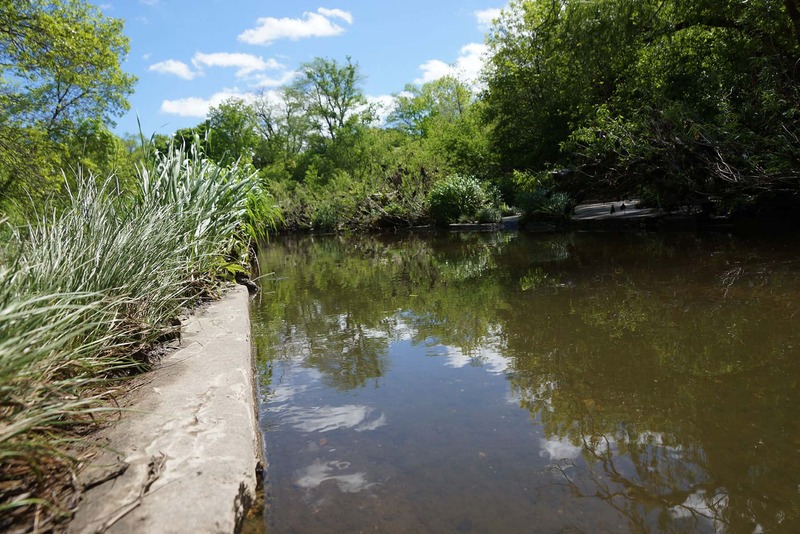 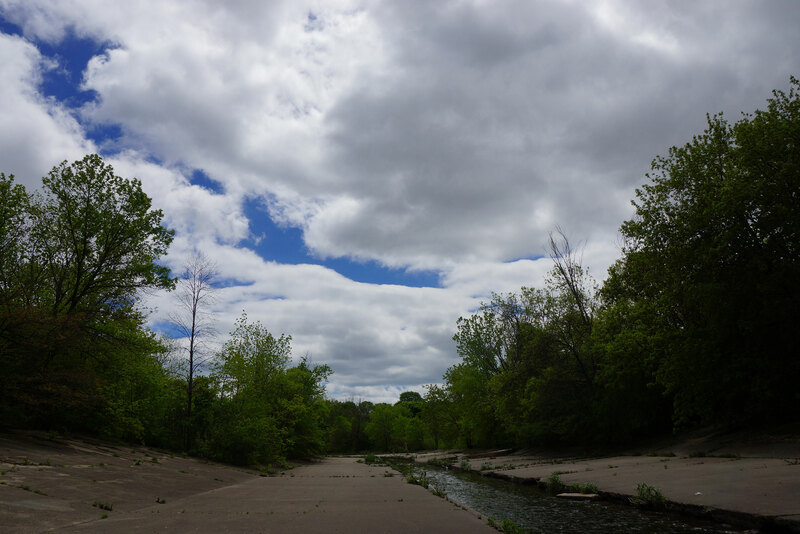 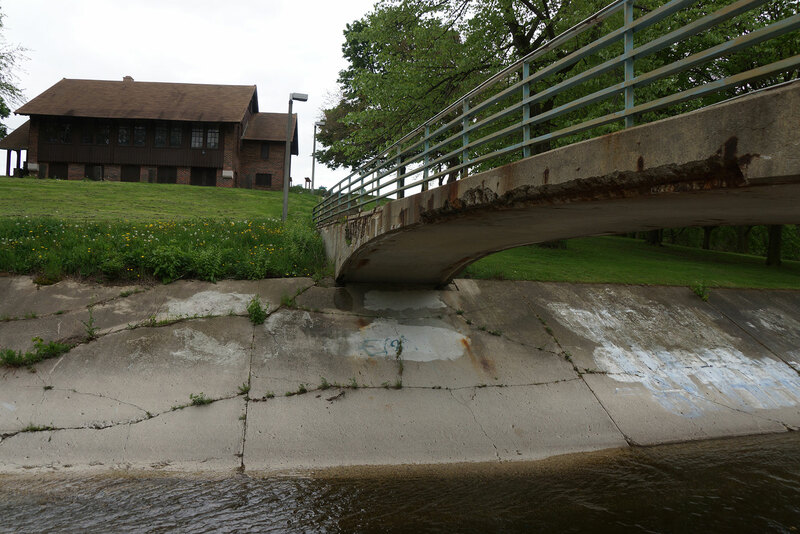 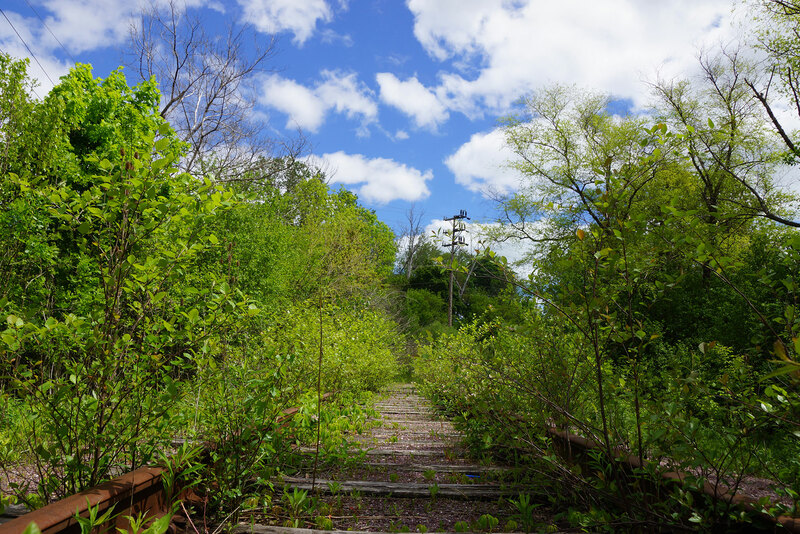 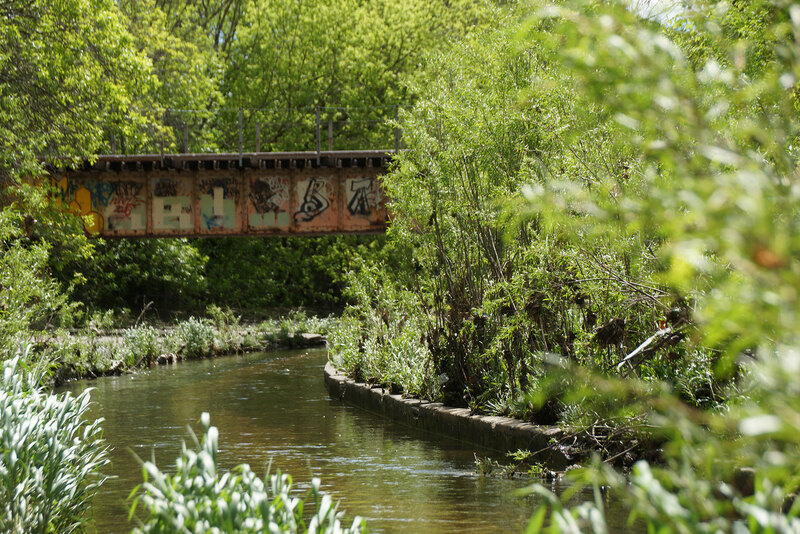 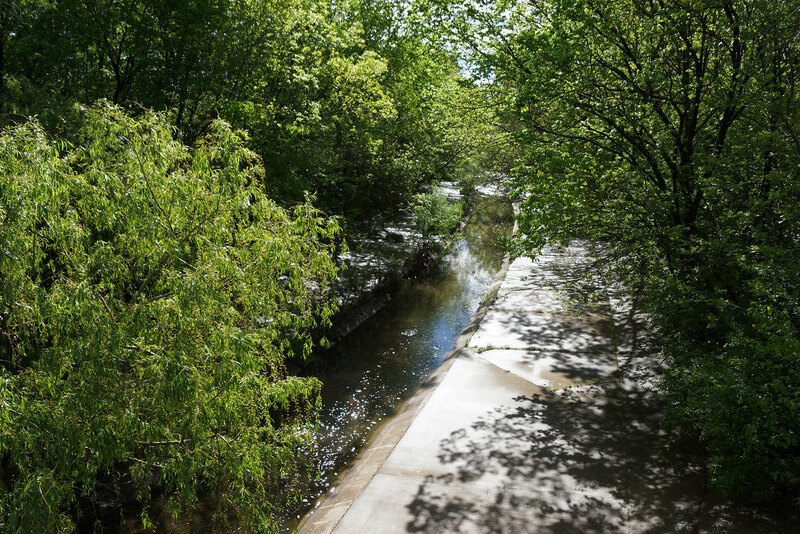 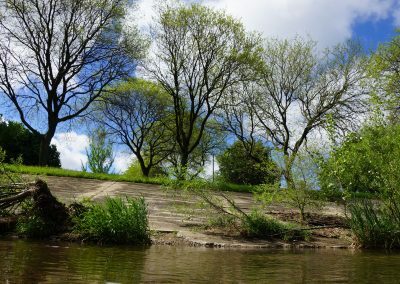 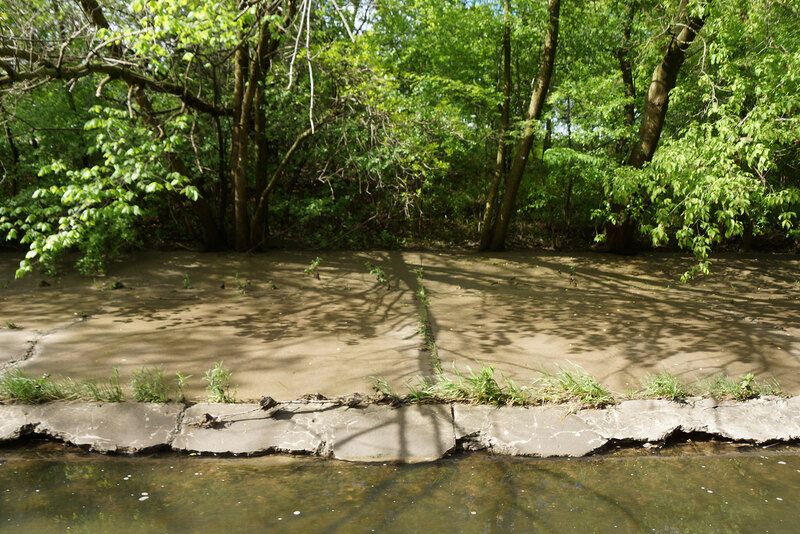 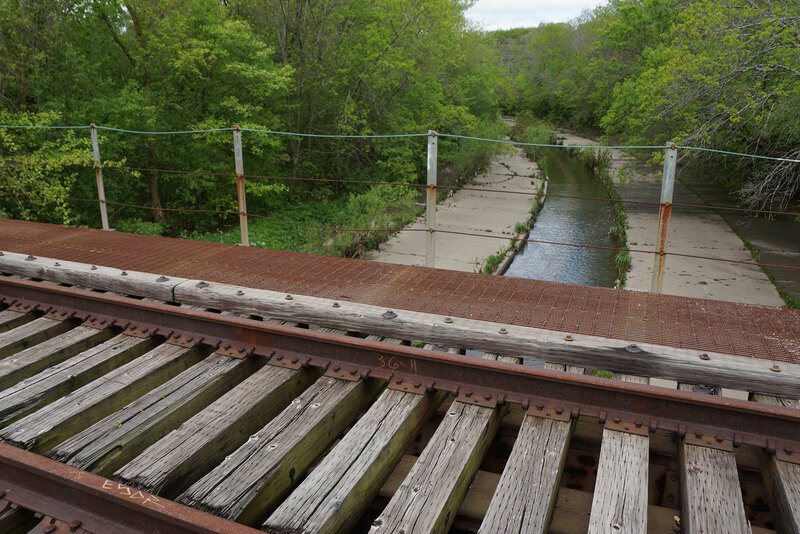 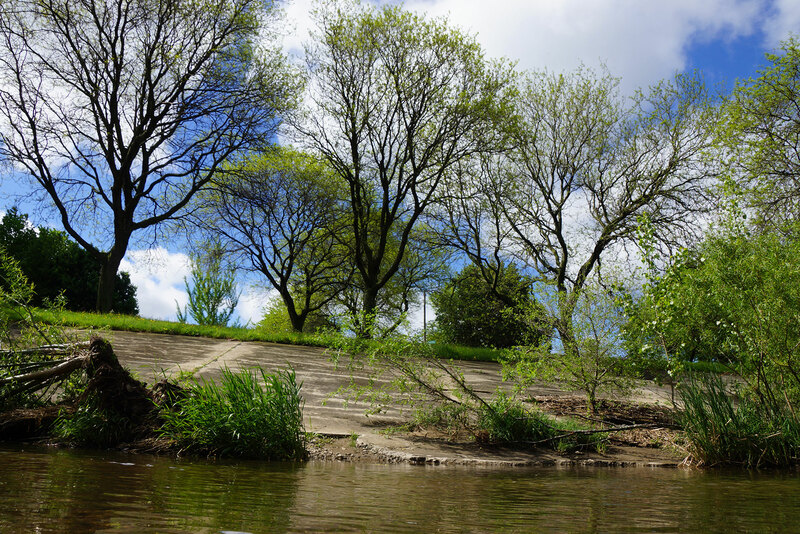 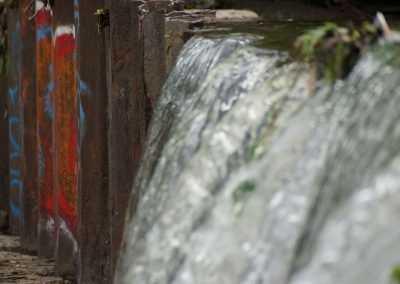 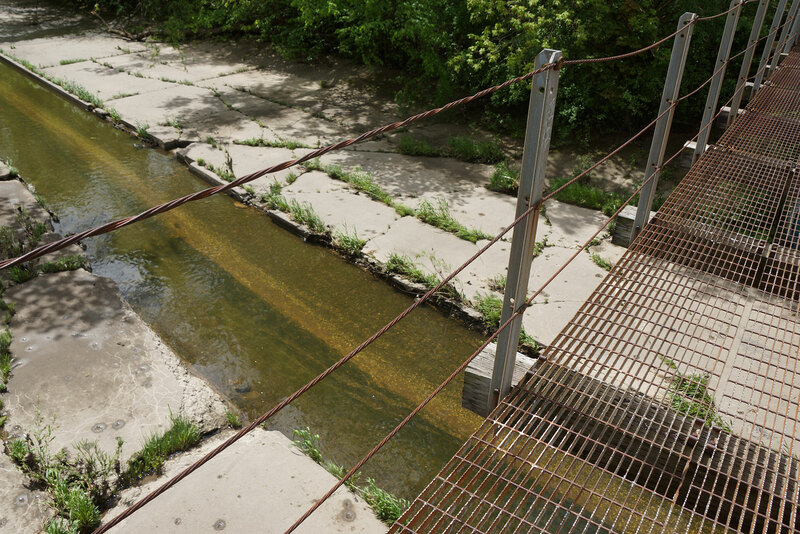 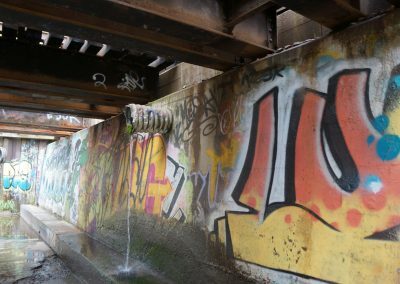 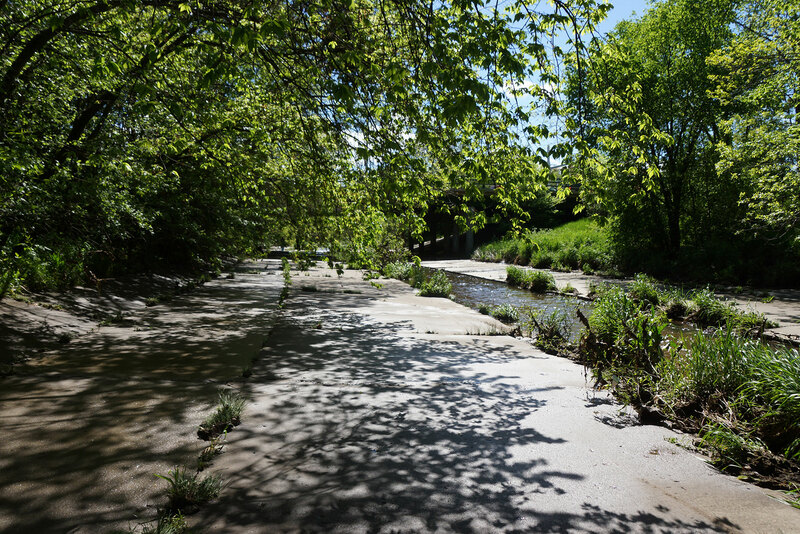 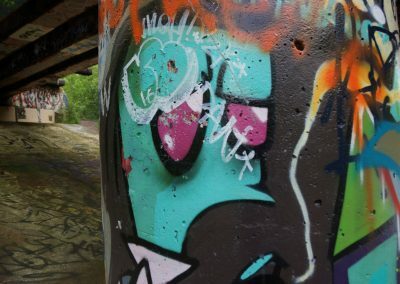 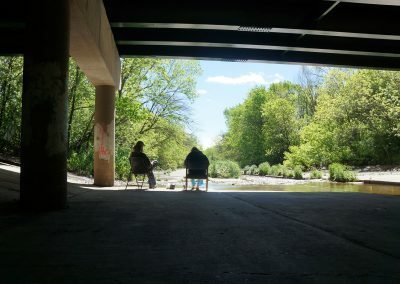 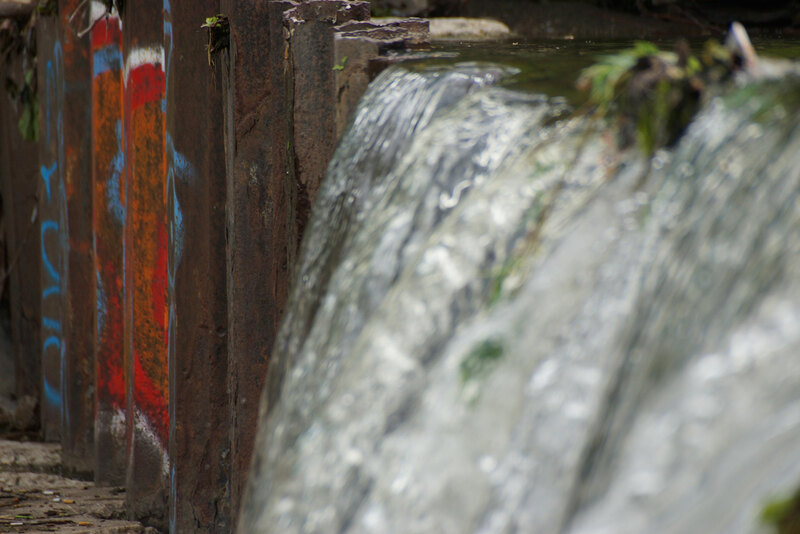 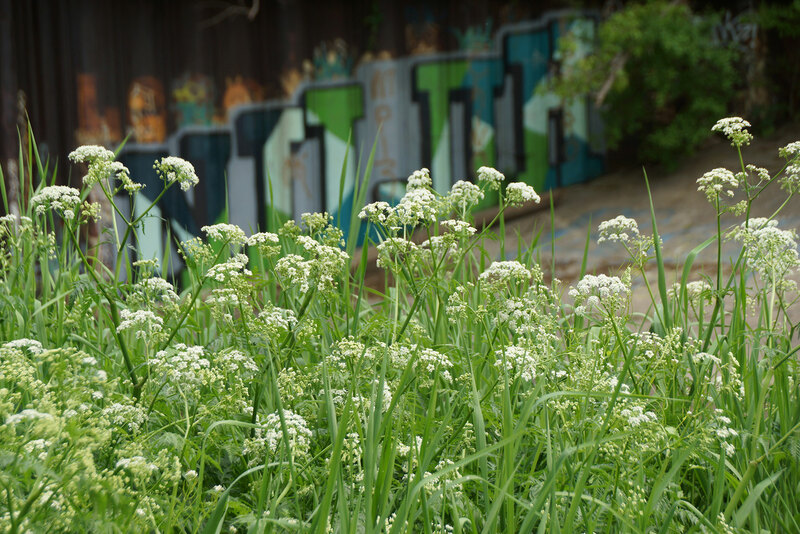 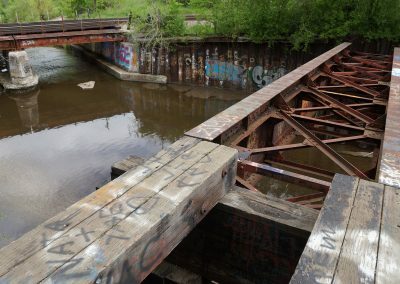 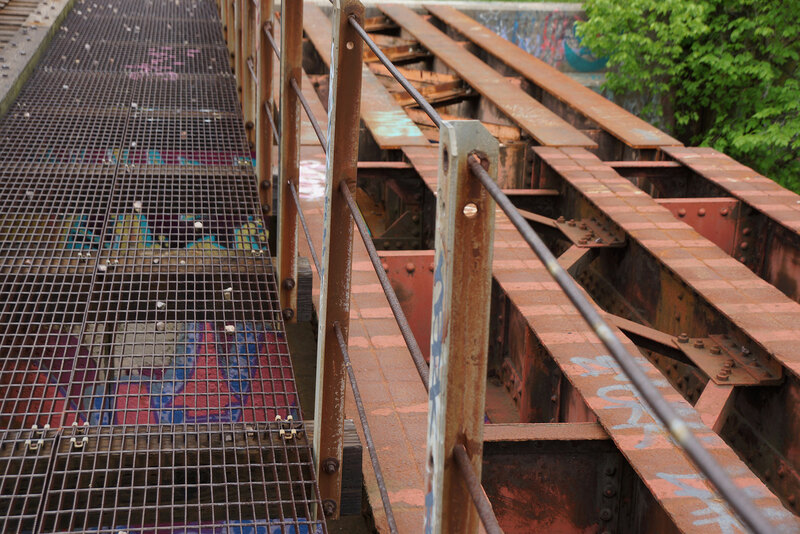 The pending removal of the concrete stream bed at Pulaski Park inspired this river journey of images along one of Milwaukee’s founding waterways, to document how it looked on May 21. 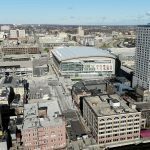 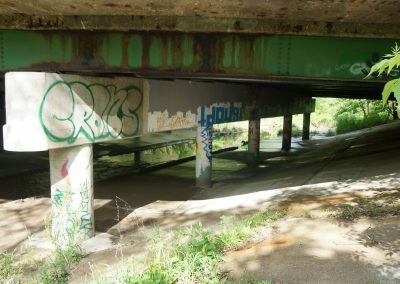 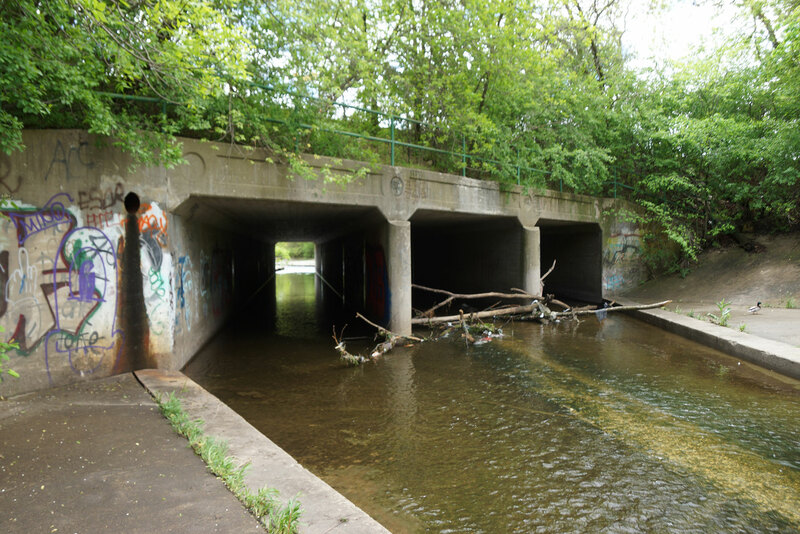 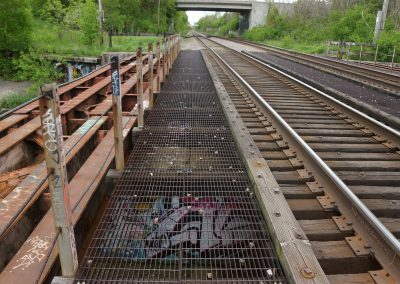 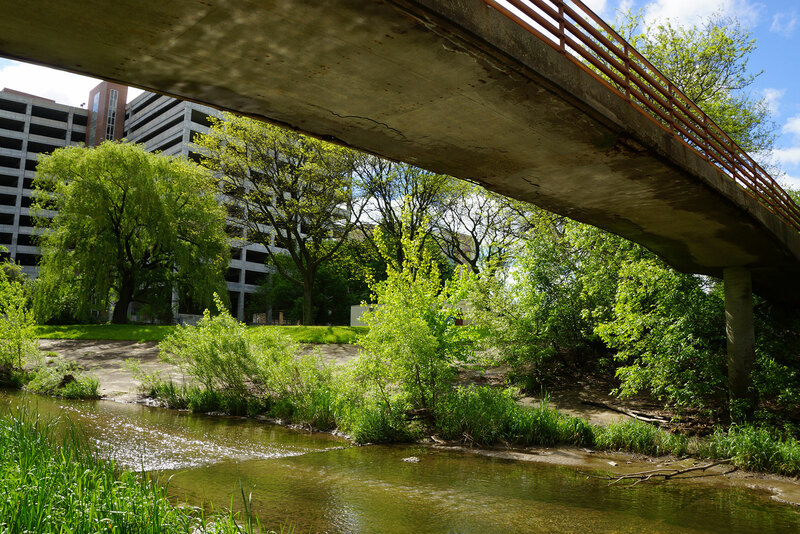 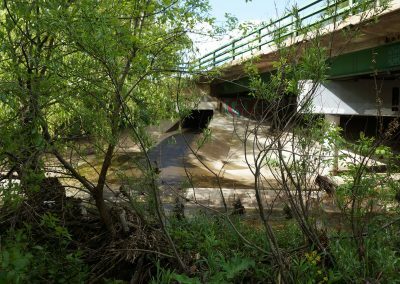 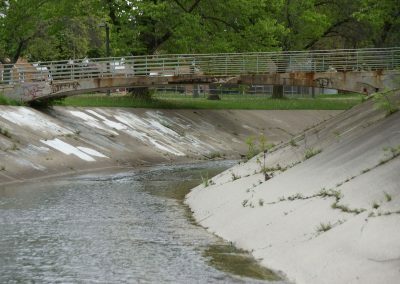 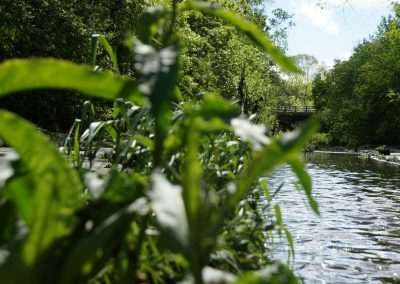 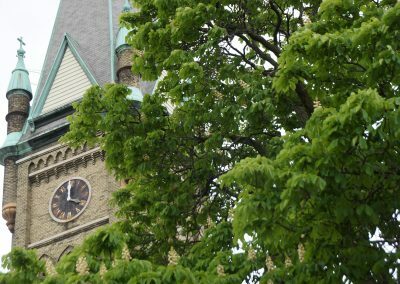 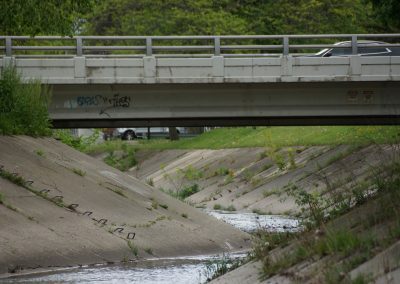 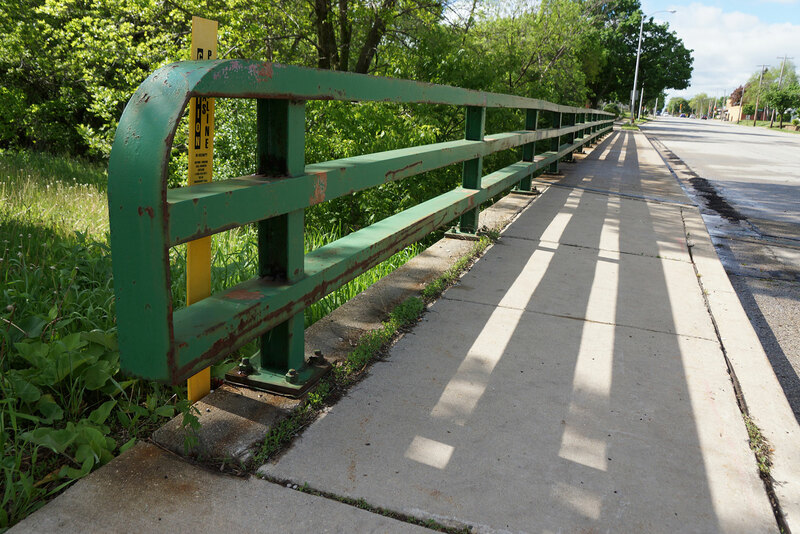 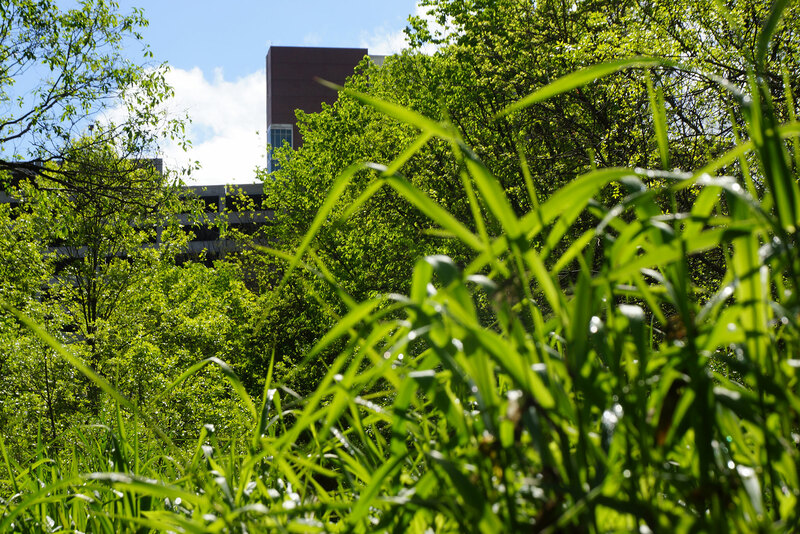 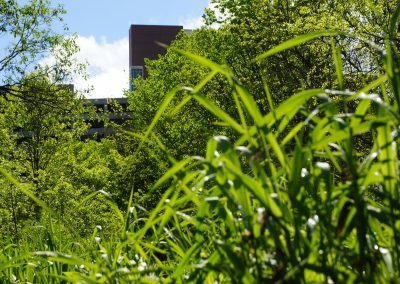 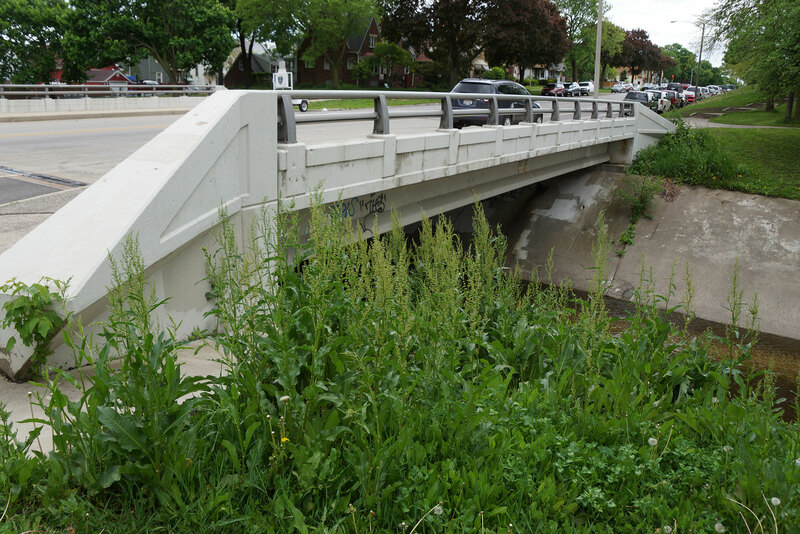 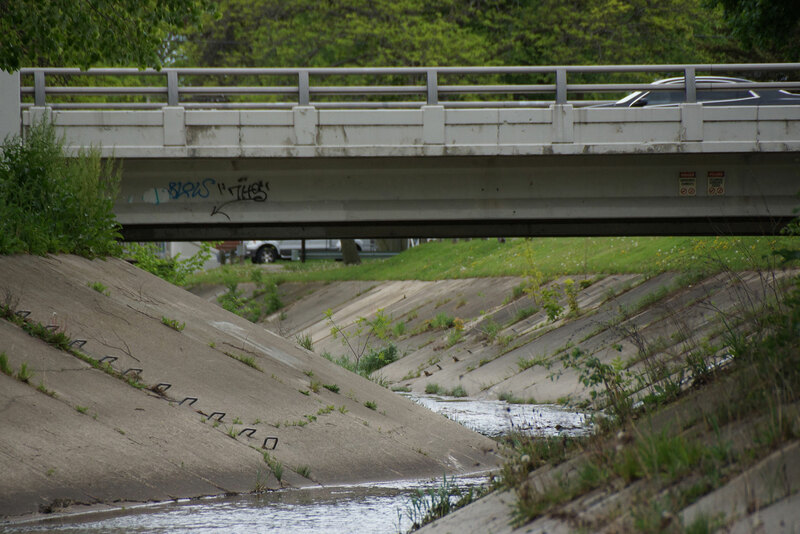 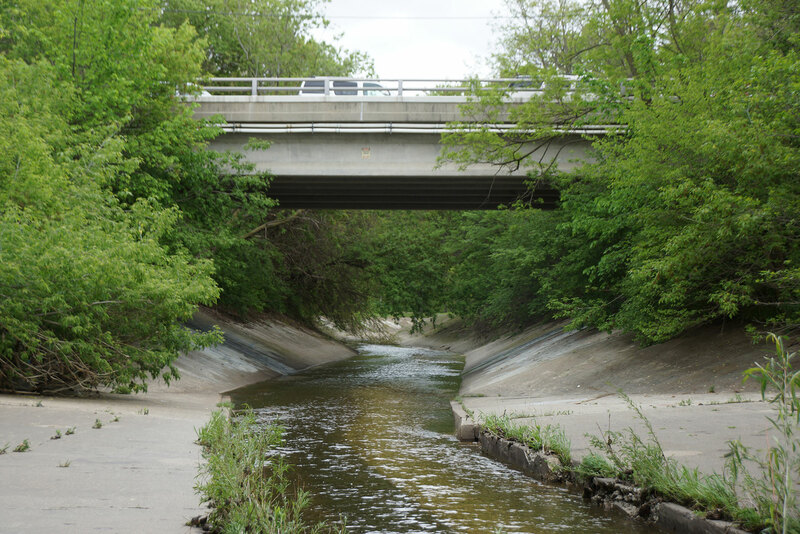 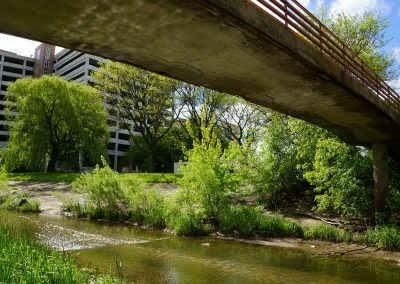 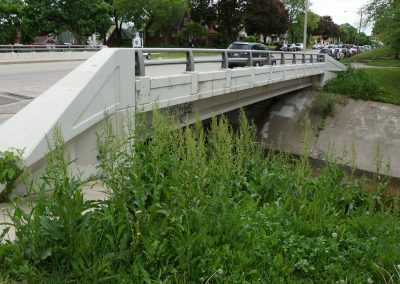 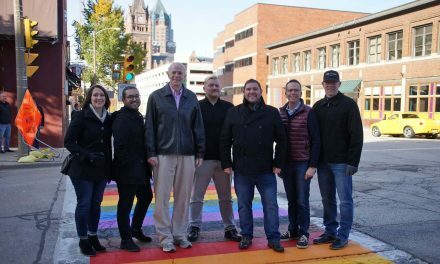 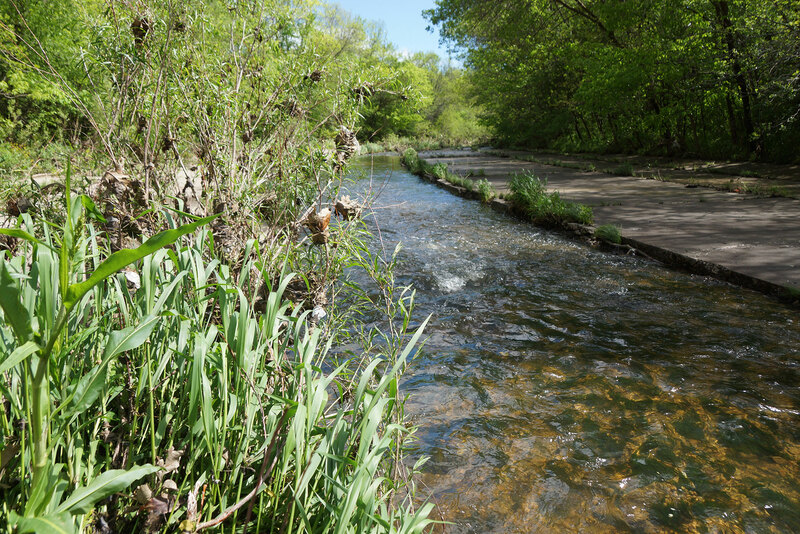 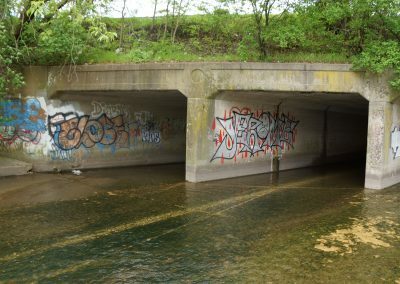 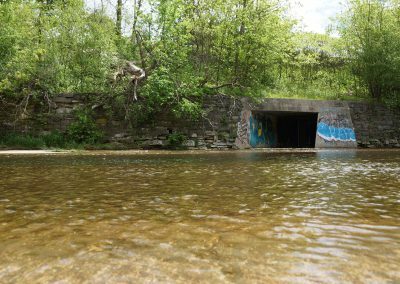 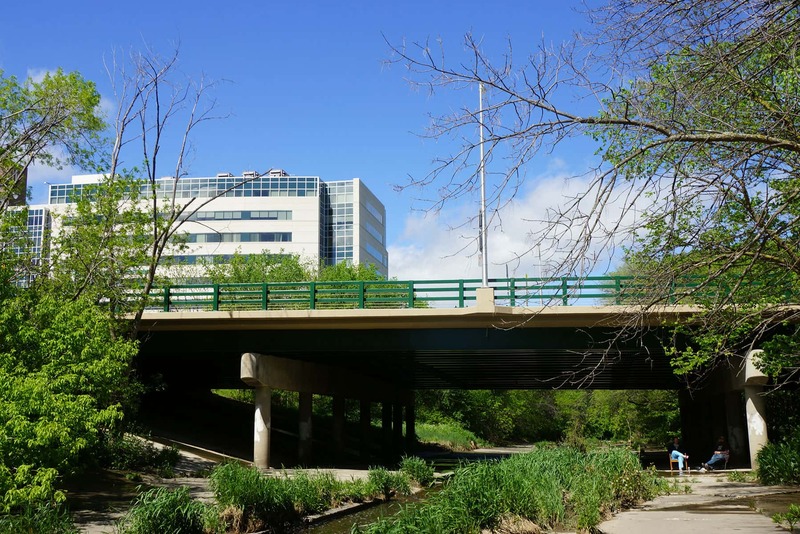 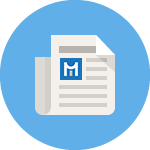 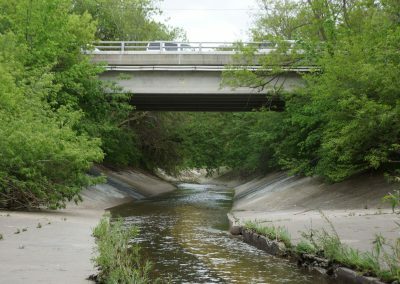 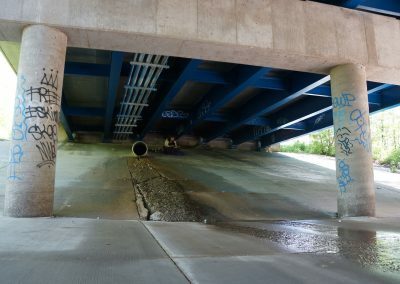 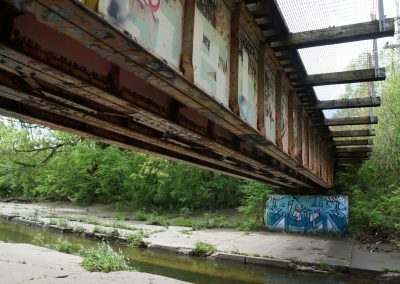 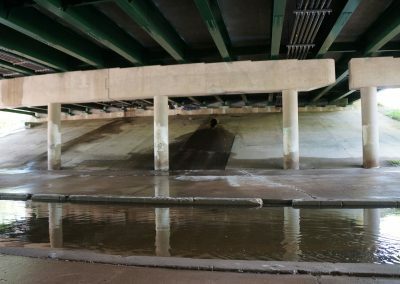 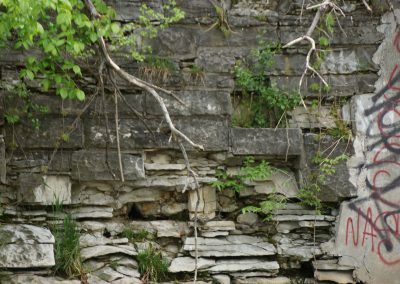 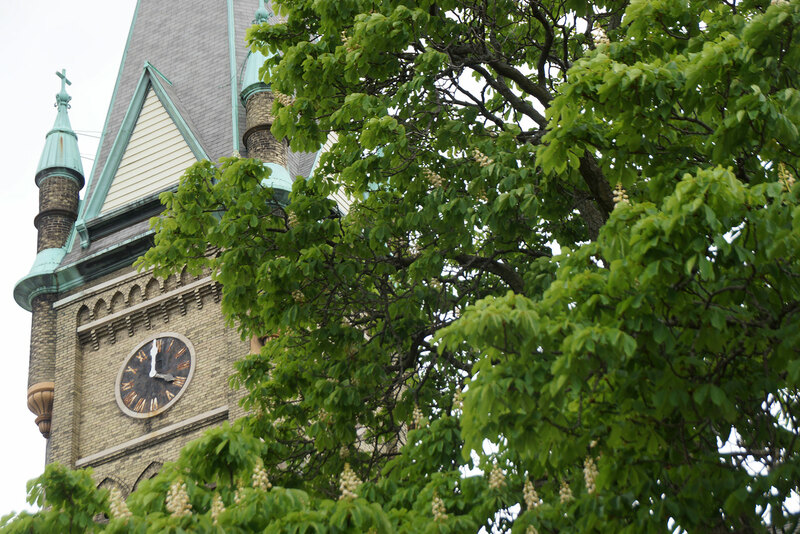 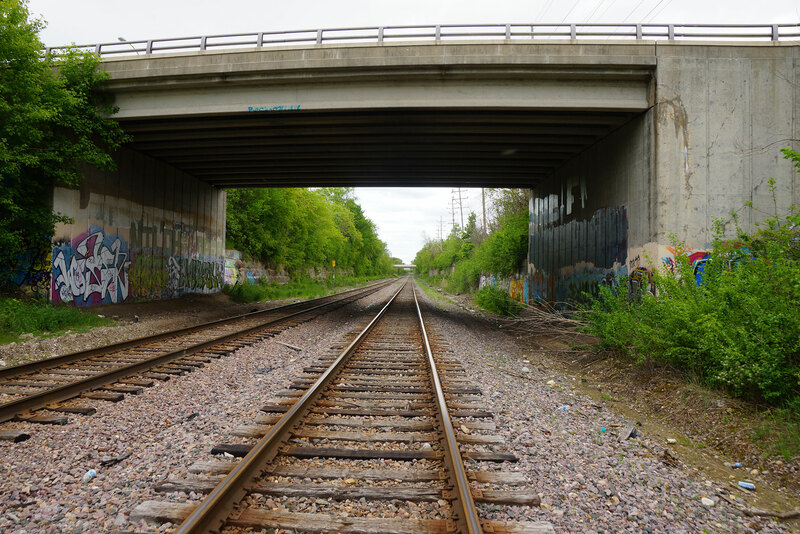 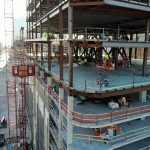 With plans pending to remove close to 2,000 feet of decaying concrete that lines the bottom of the Kinnickinnic (KK) River, and restore the waterway to a healthier ecosystem in spring of 2018, the Milwaukee Independent hiked along 25% of the river’s length, from 36th to 16th Streets. 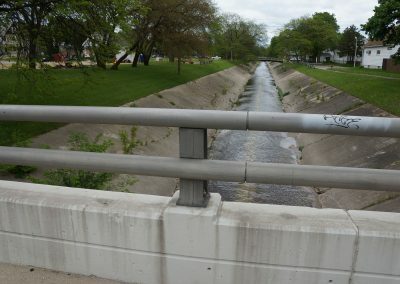 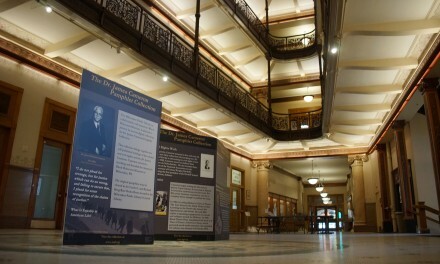 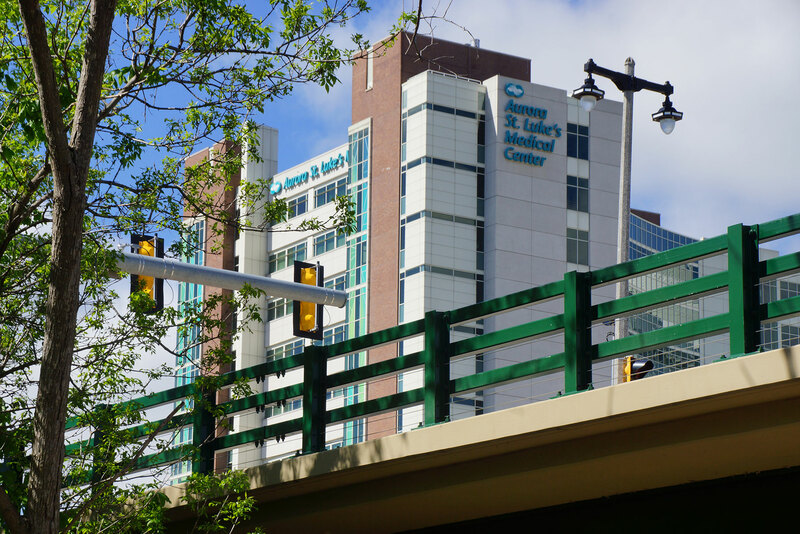 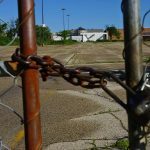 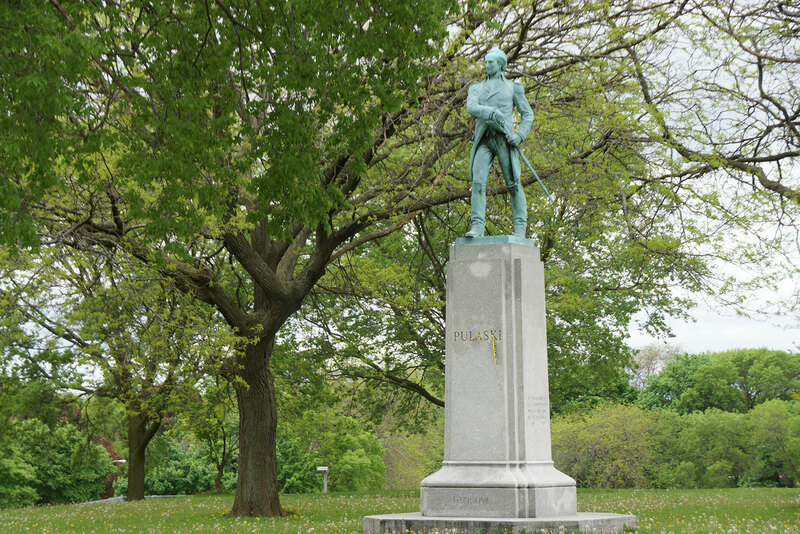 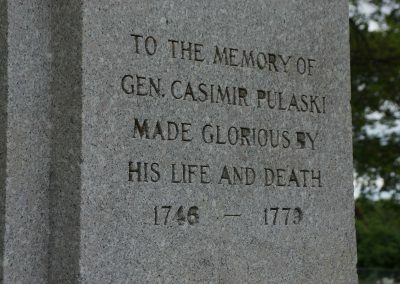 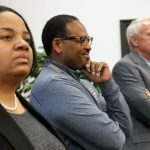 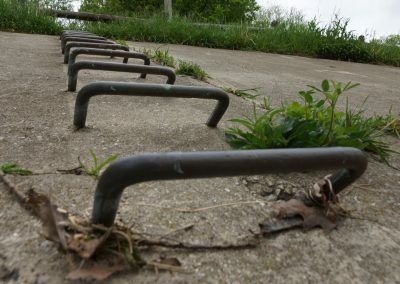 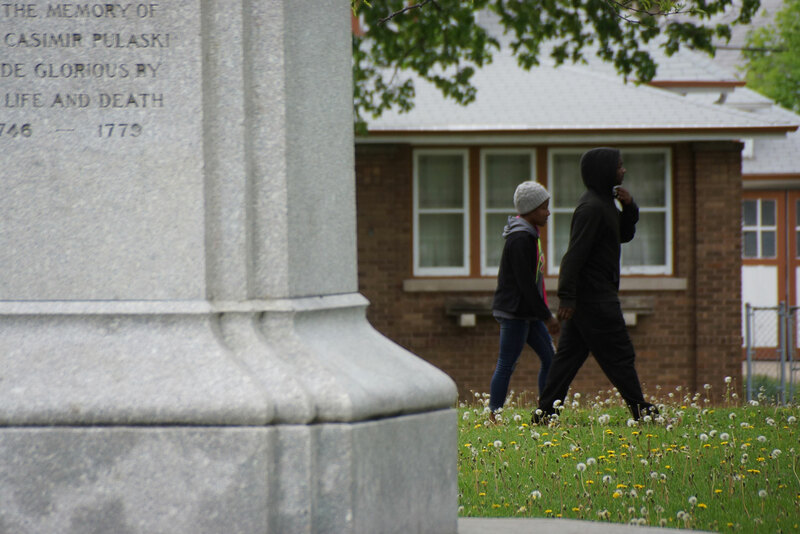 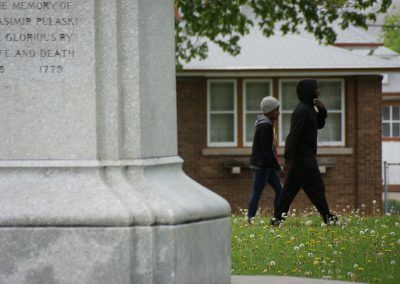 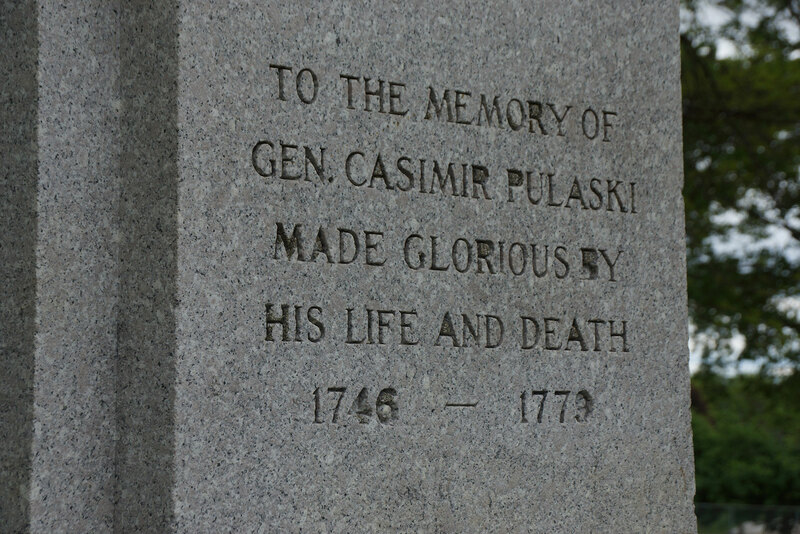 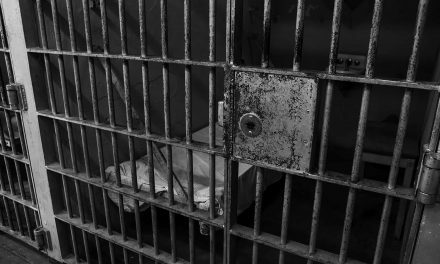 The distance was 2.25 miles through 20 city blocks of the curved and concreted waterway south of Forest Home Cemetery, beyond the 6th Street end of the Kinnickinnic River Trail. 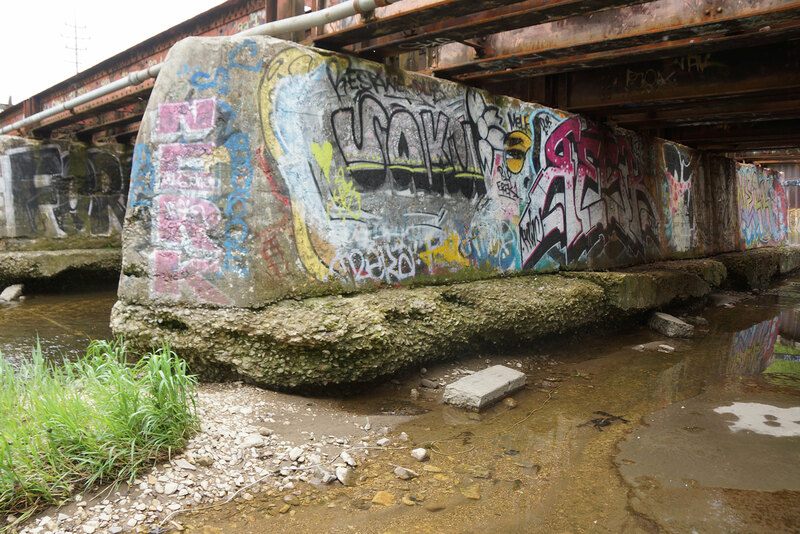 Before it was channelized and lined with concrete, the KK had waterfalls and lagoons, and supported aquatic life like crawfish. 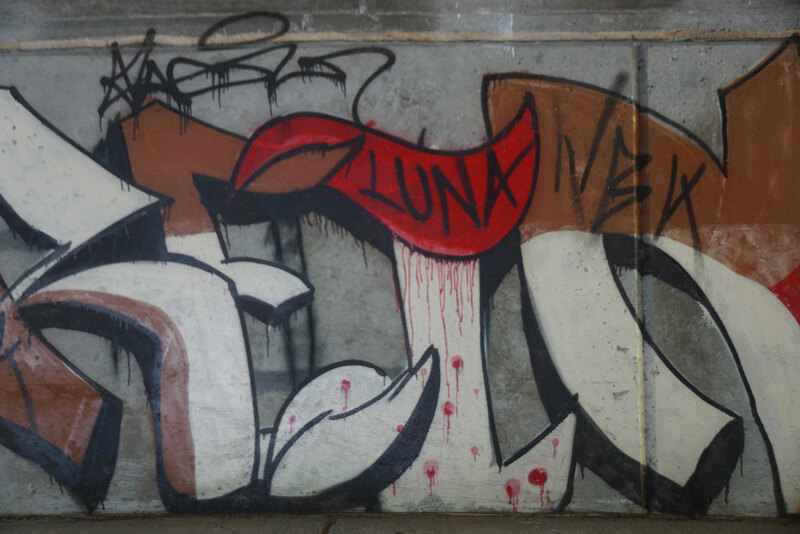 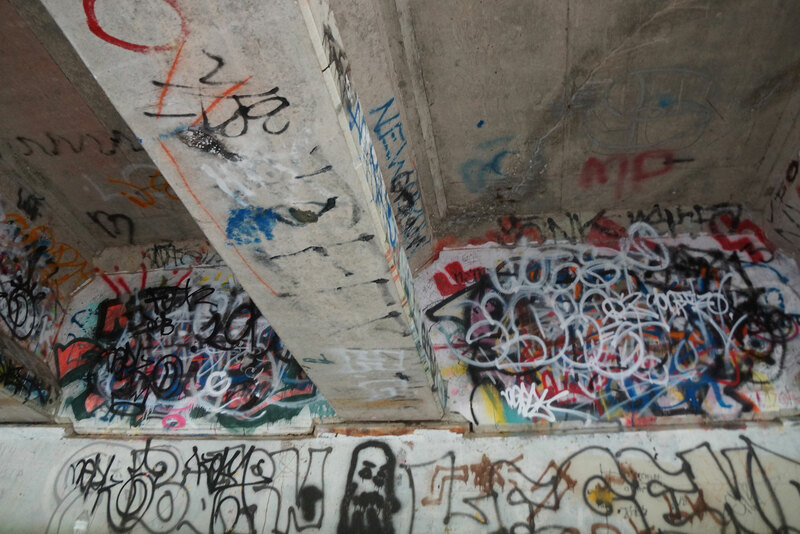 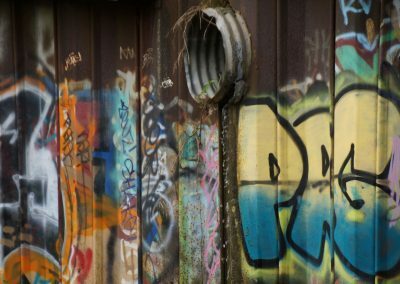 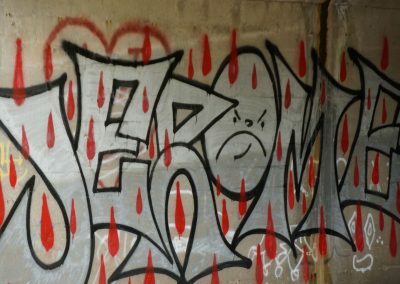 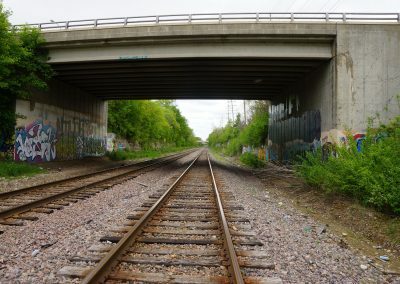 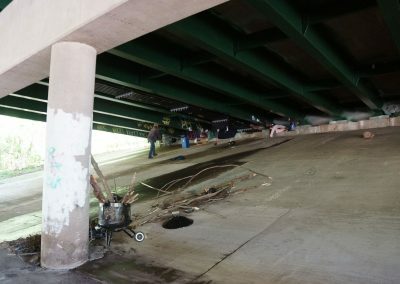 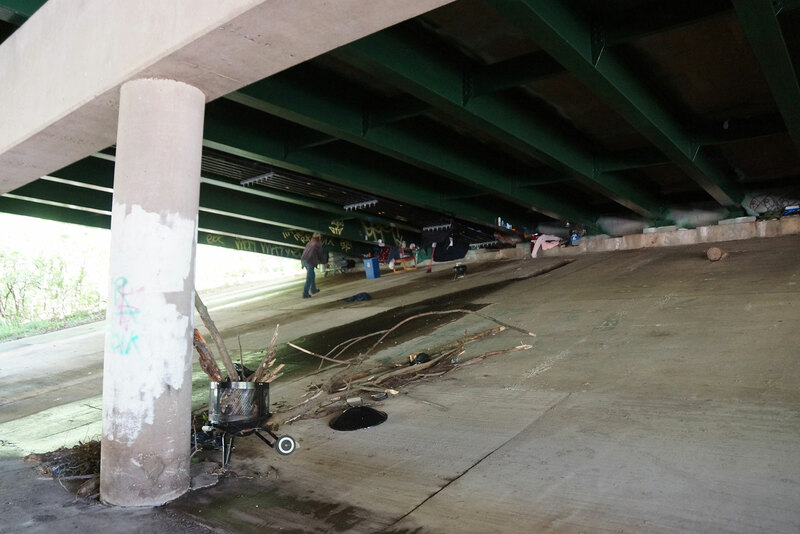 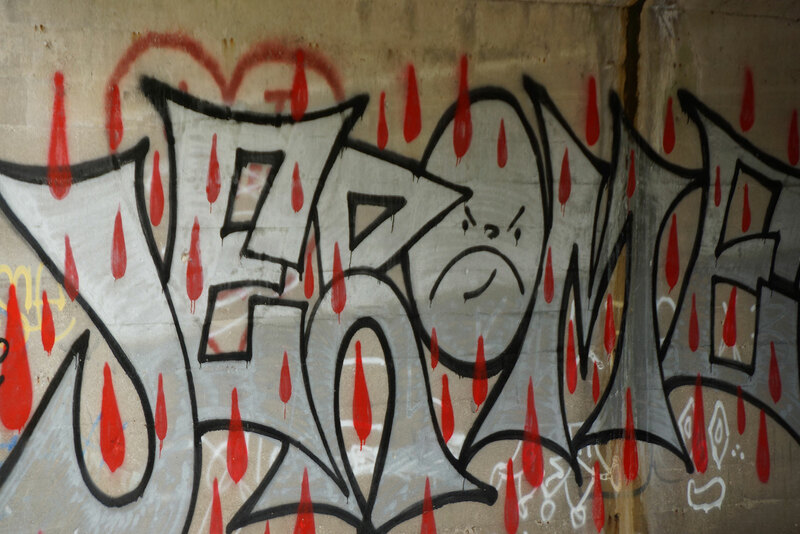 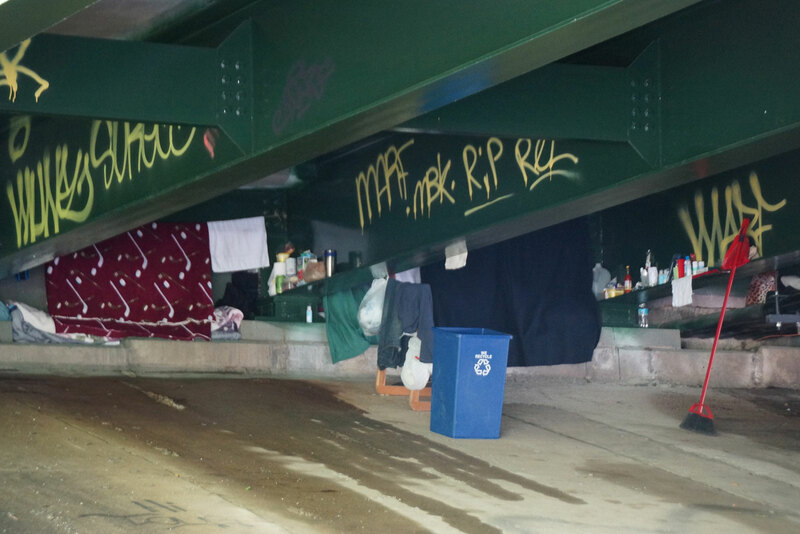 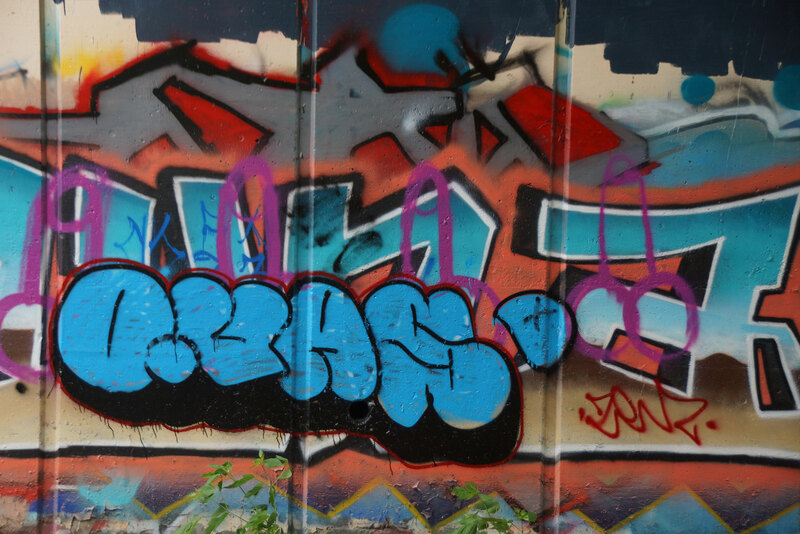 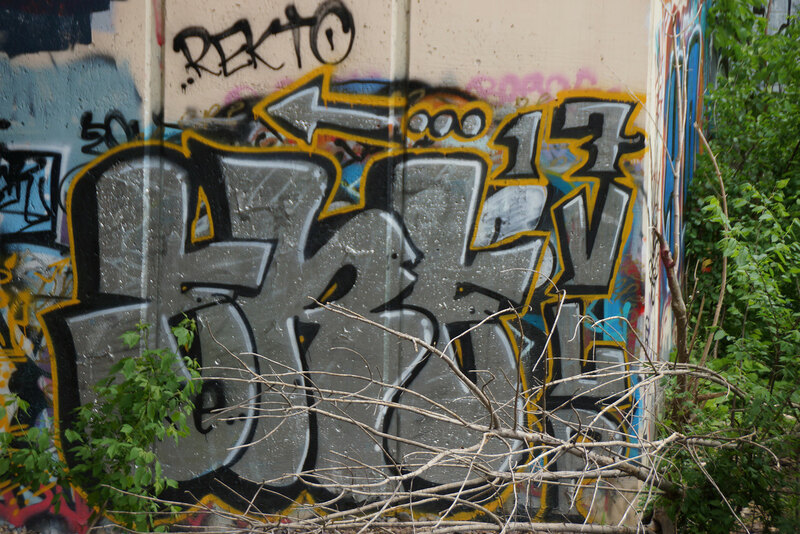 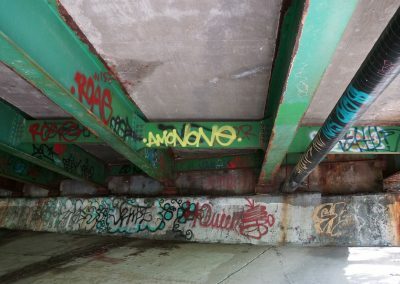 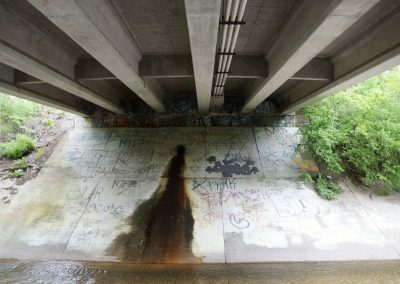 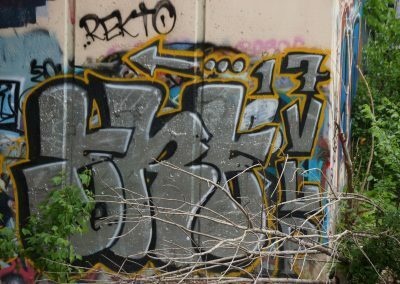 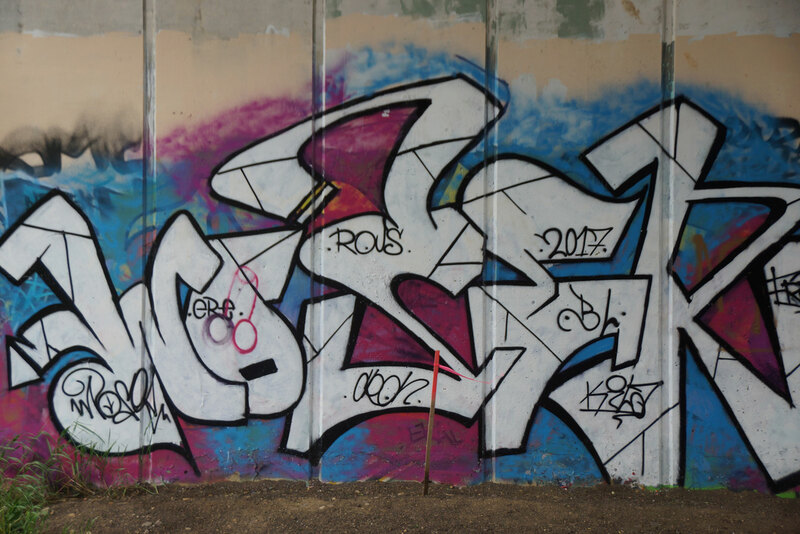 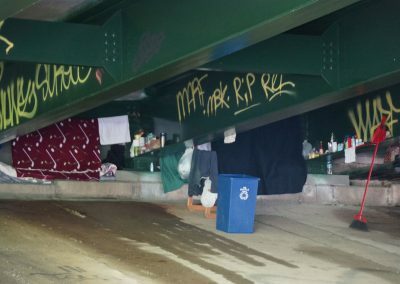 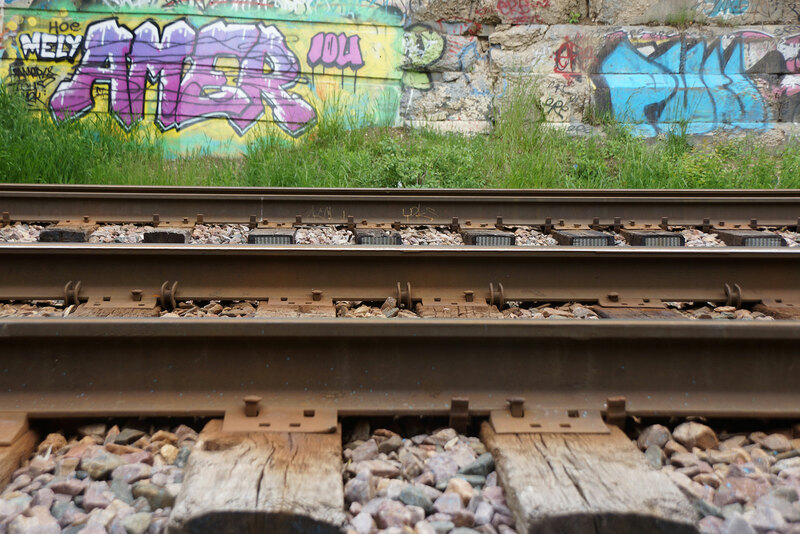 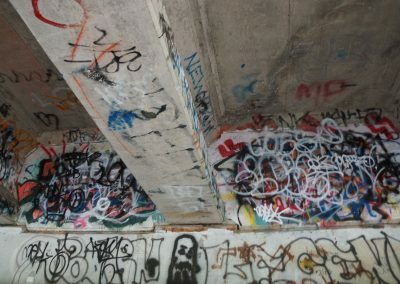 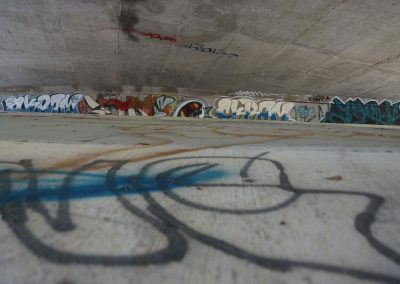 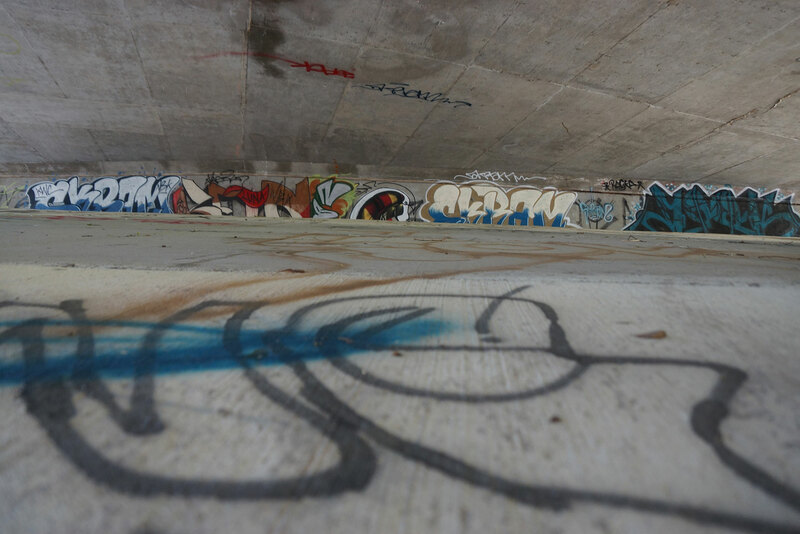 Today, the homeless of Milwaukee camp under bridges that span it, and the graffiti covered concrete channel is littered with garbage. 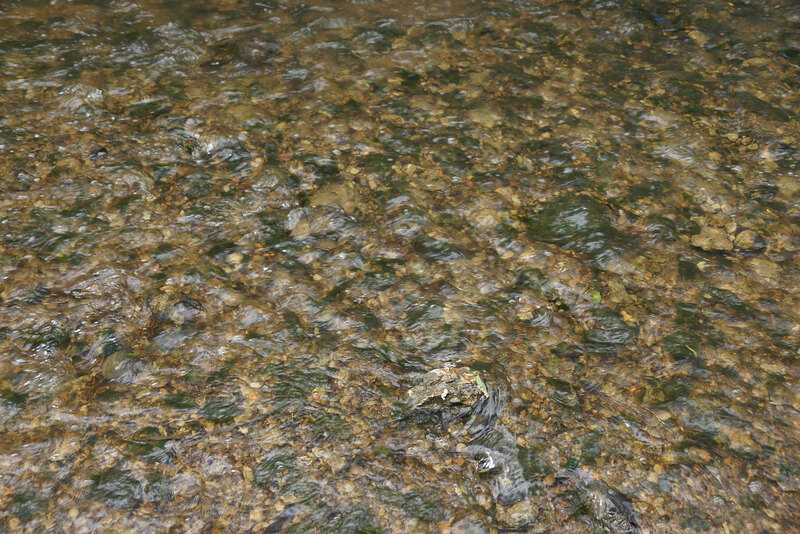 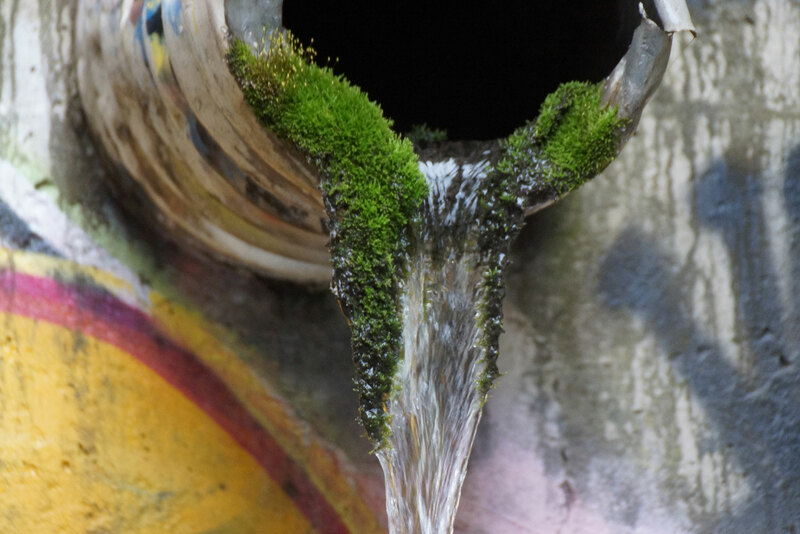 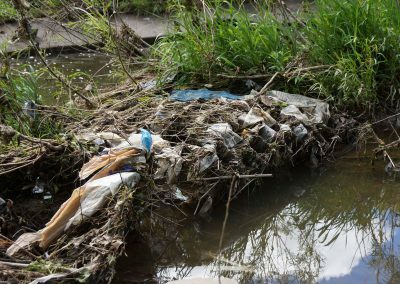 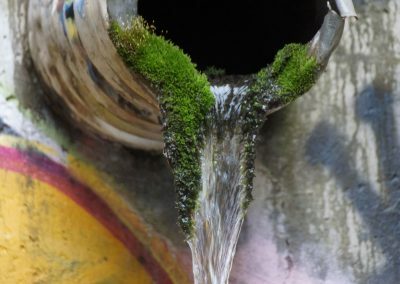 The river resembles an abandoned drainage system for sewers instead of the vibrant waterway it once was. 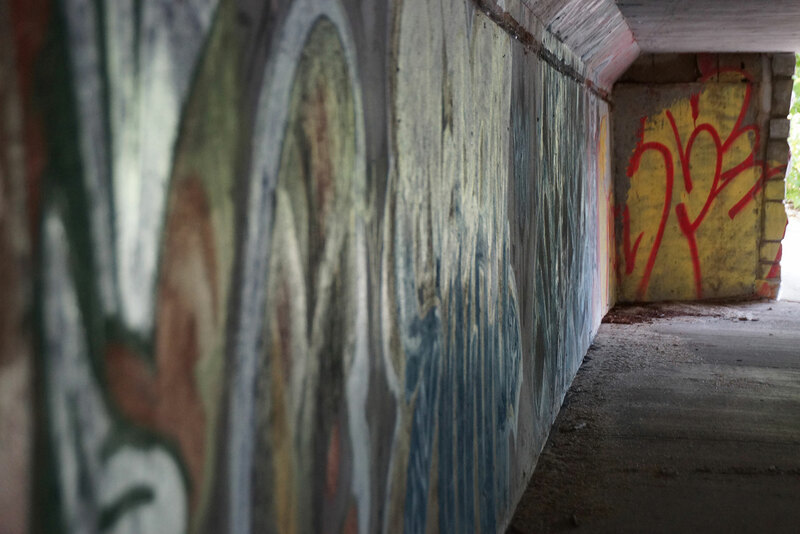 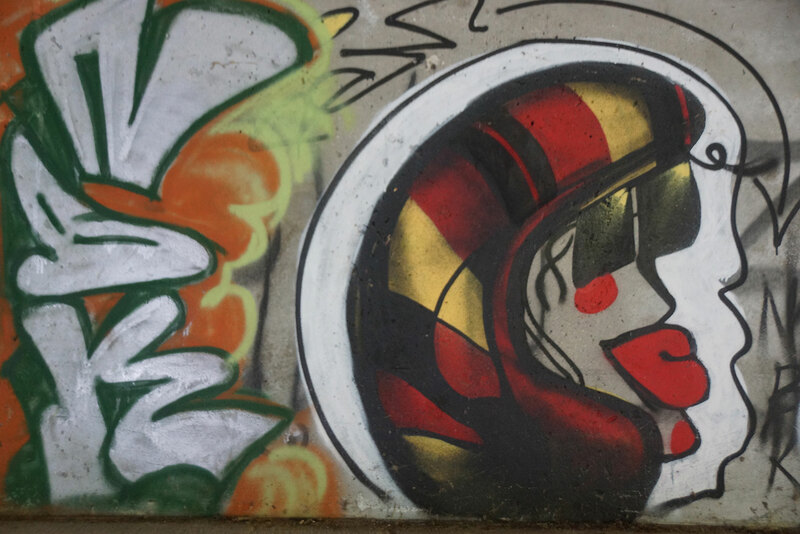 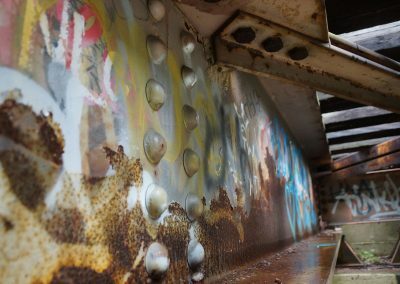 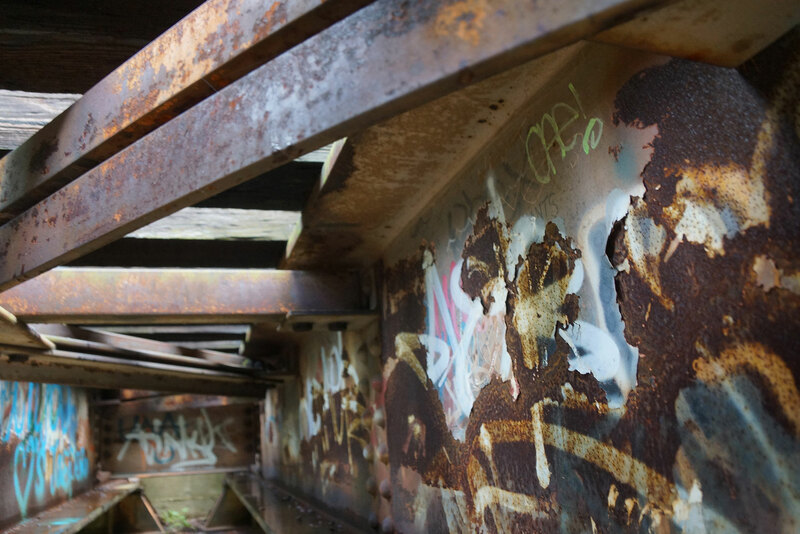 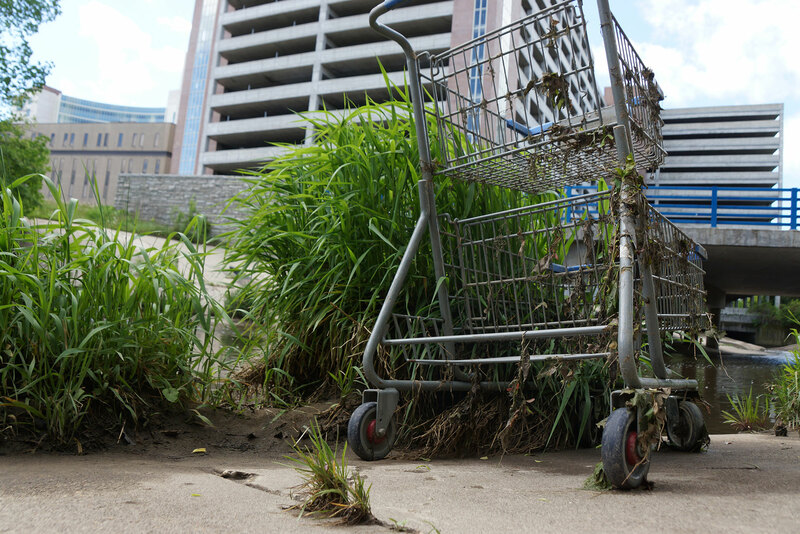 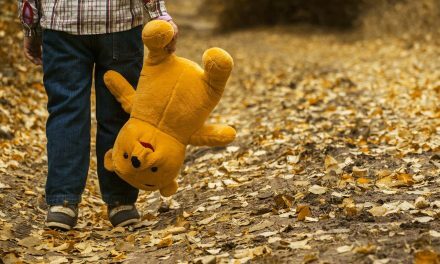 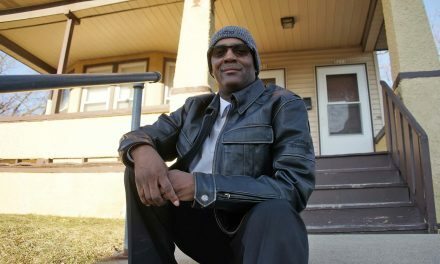 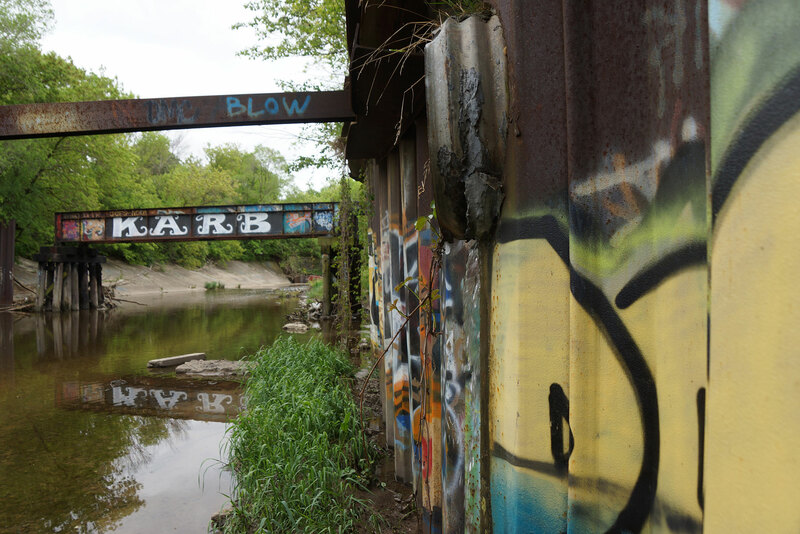 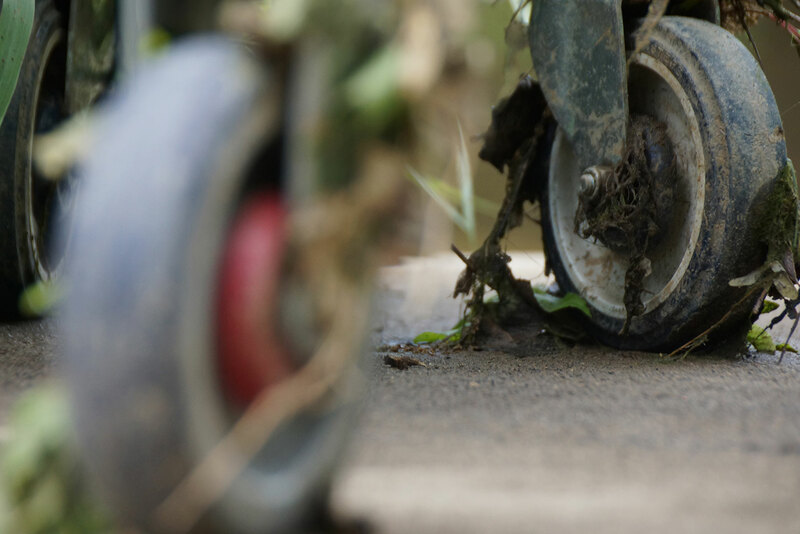 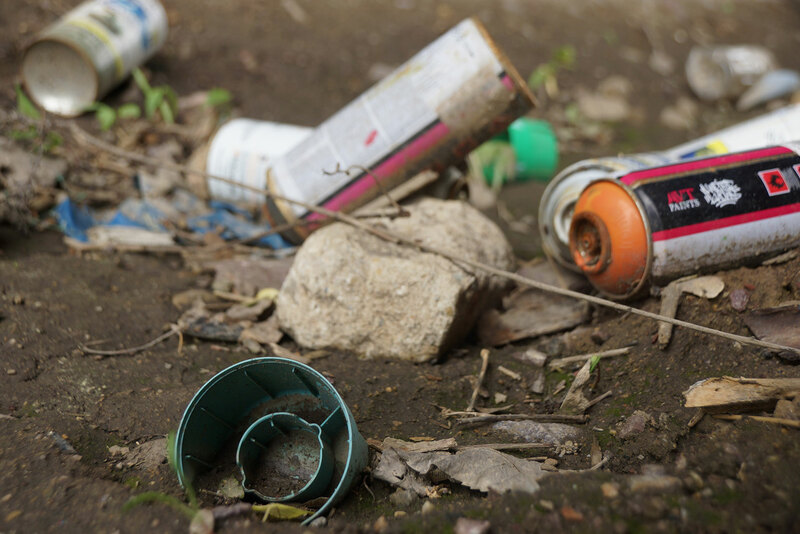 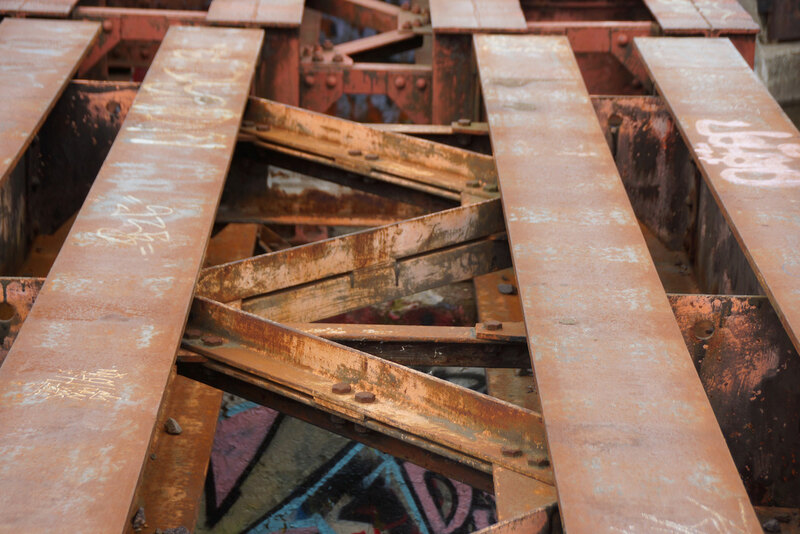 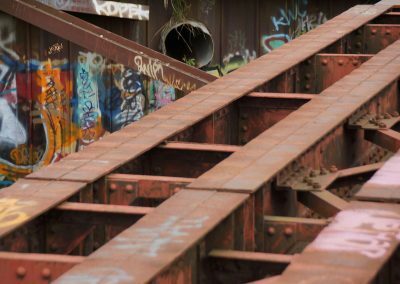 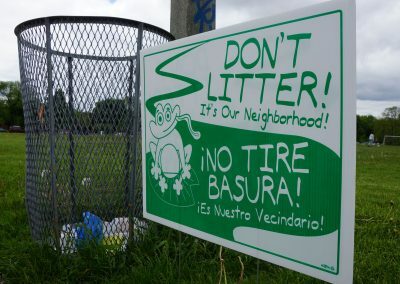 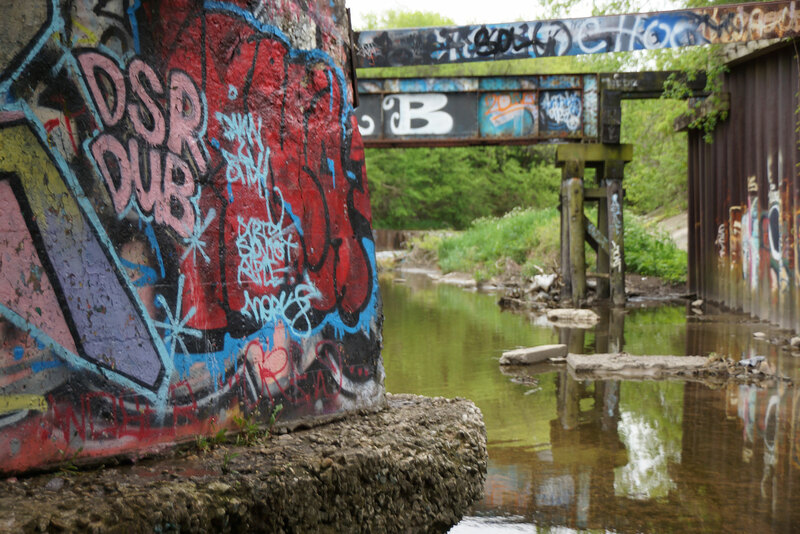 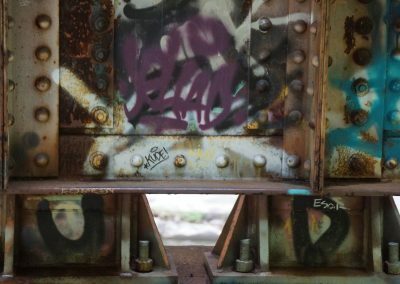 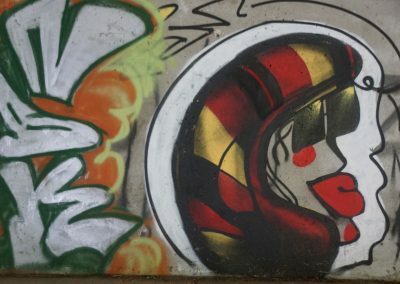 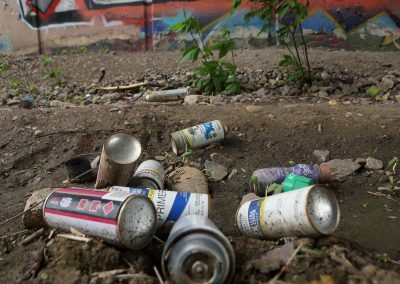 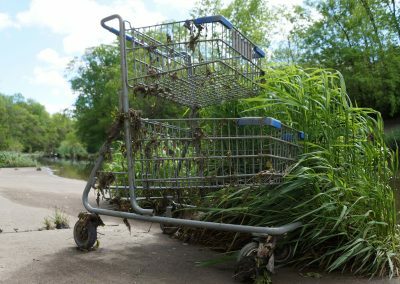 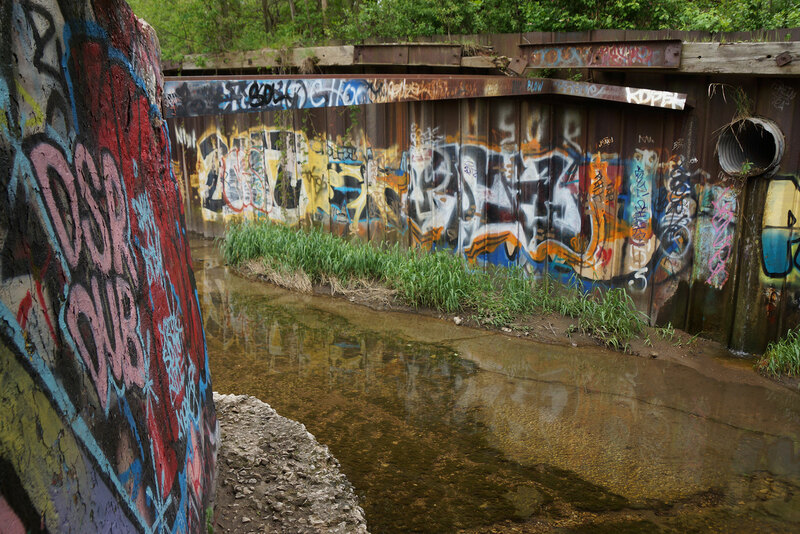 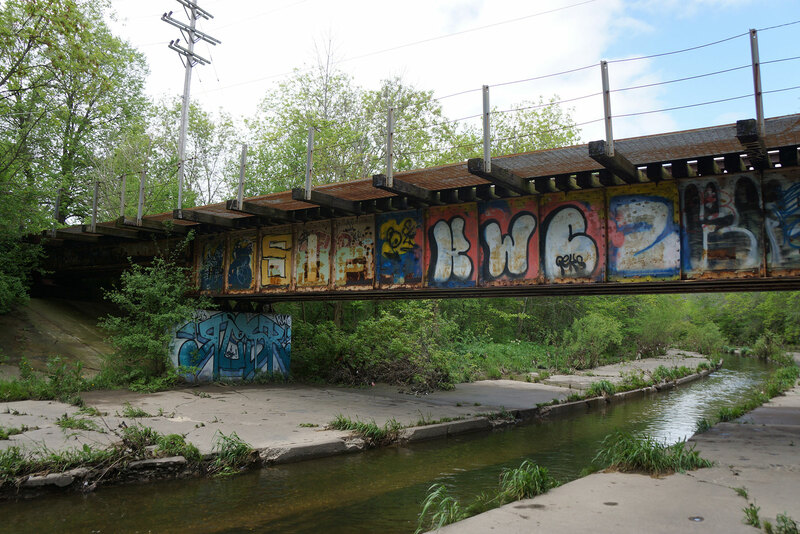 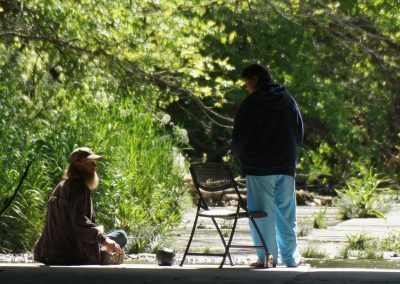 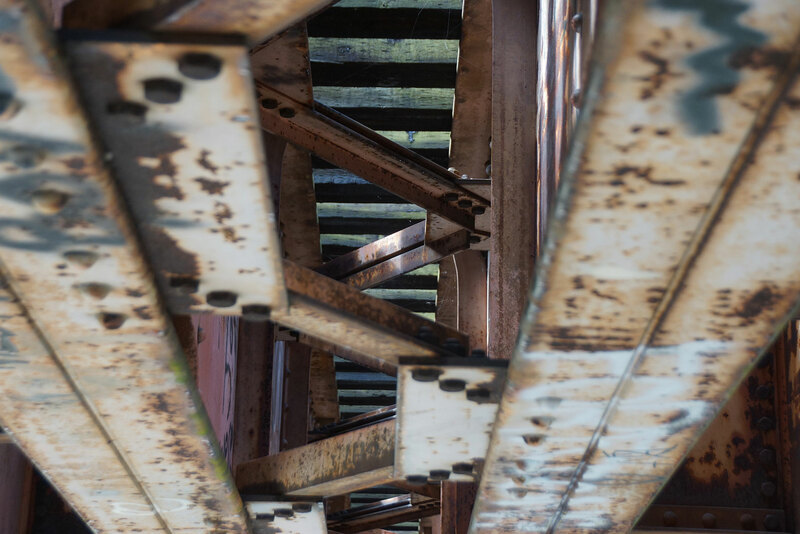 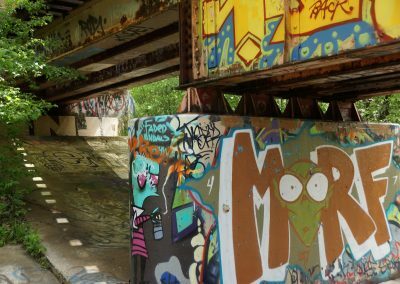 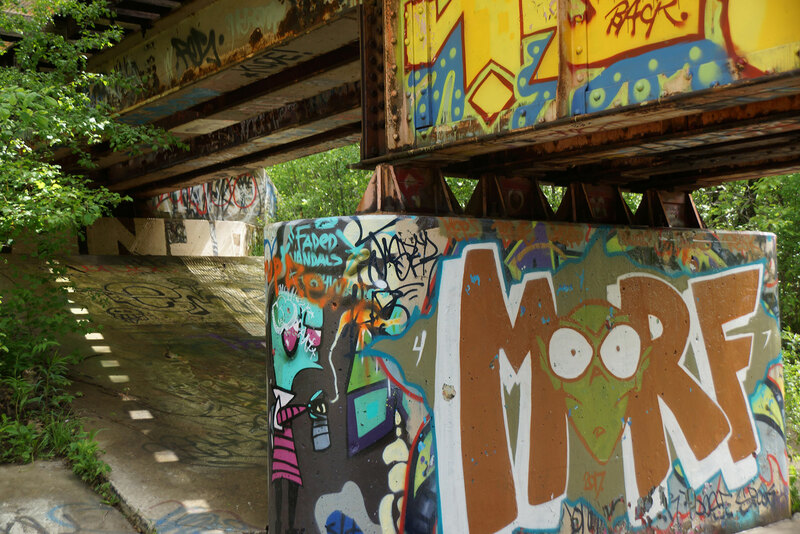 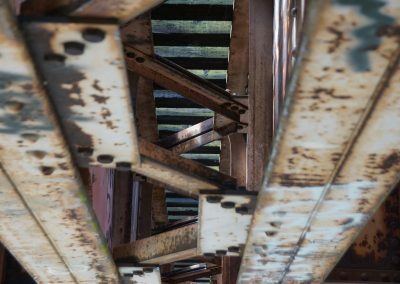 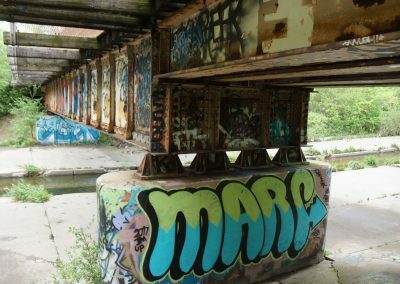 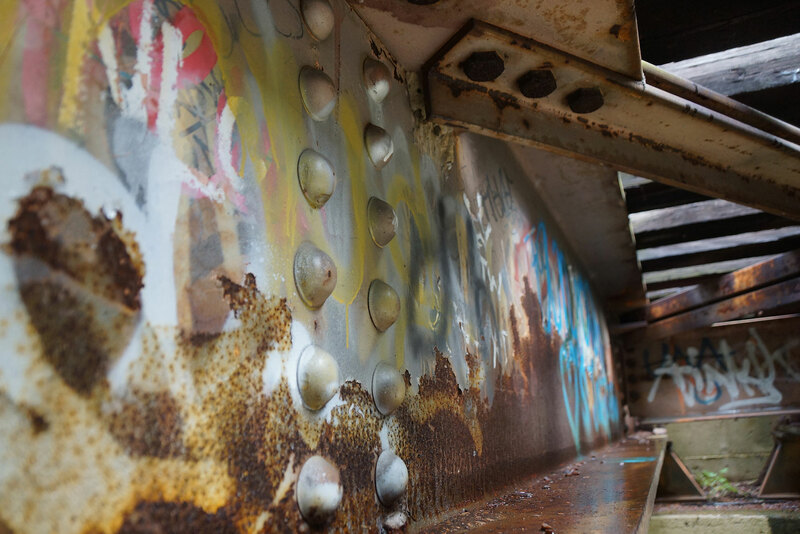 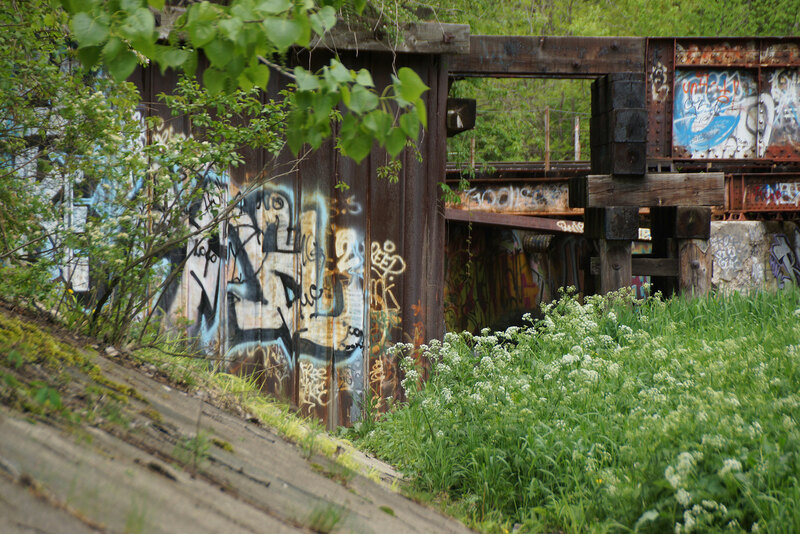 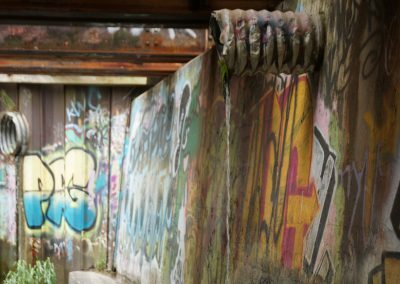 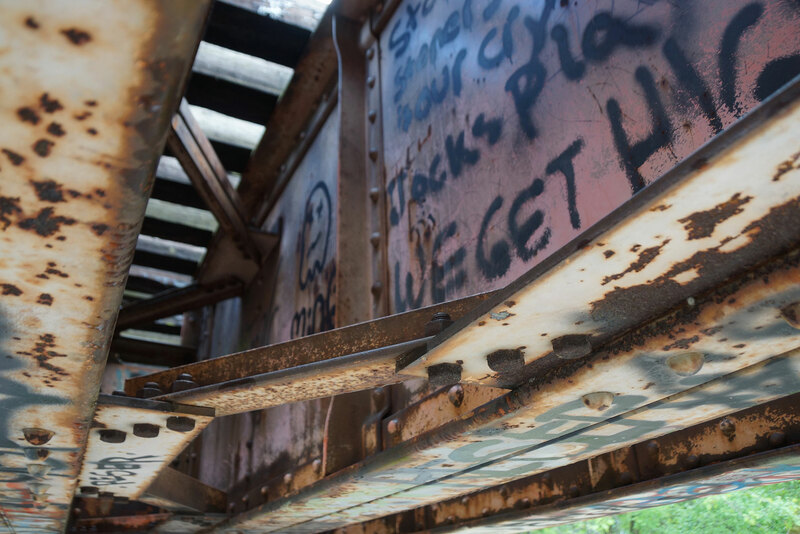 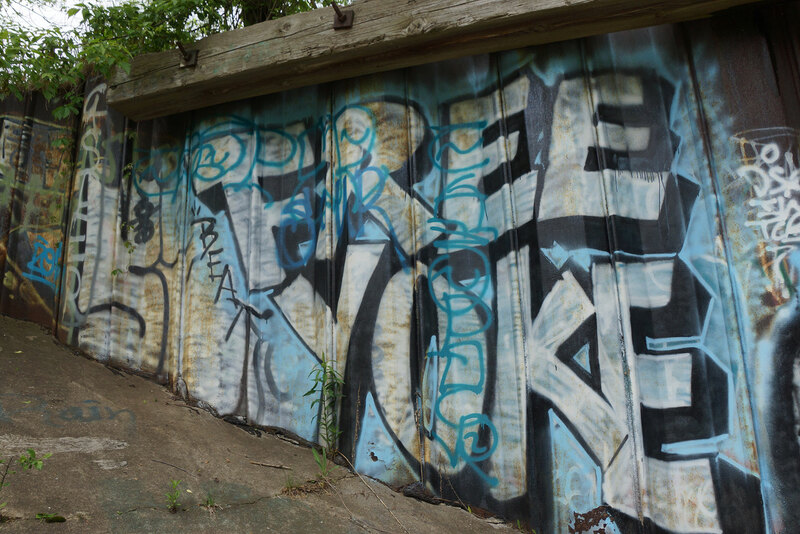 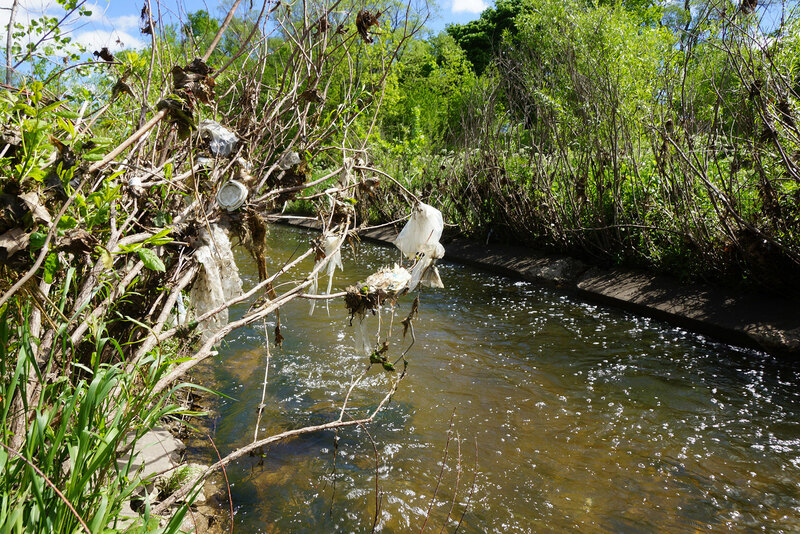 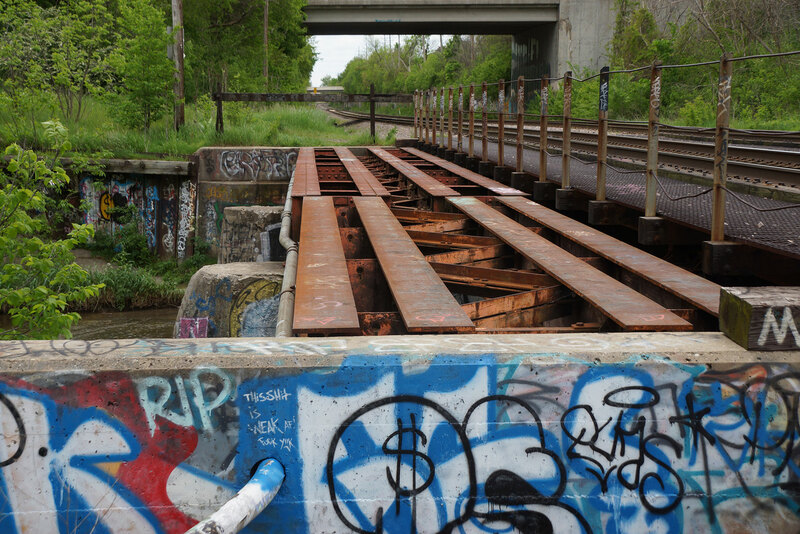 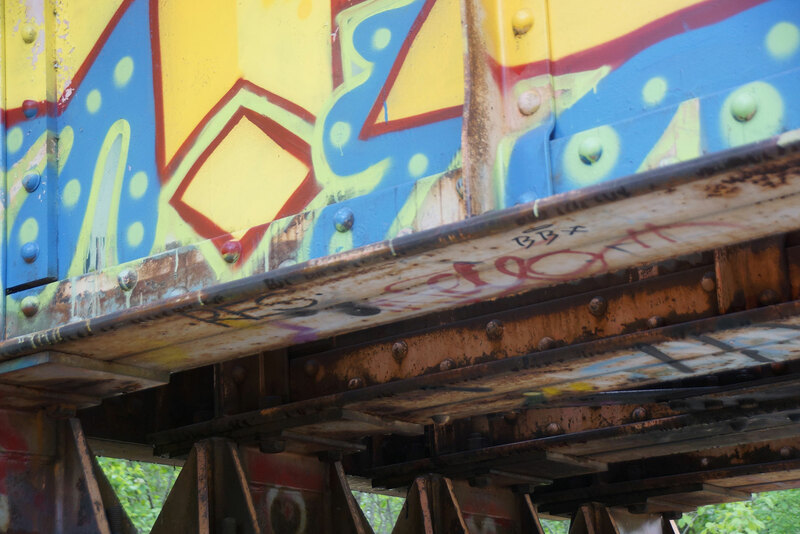 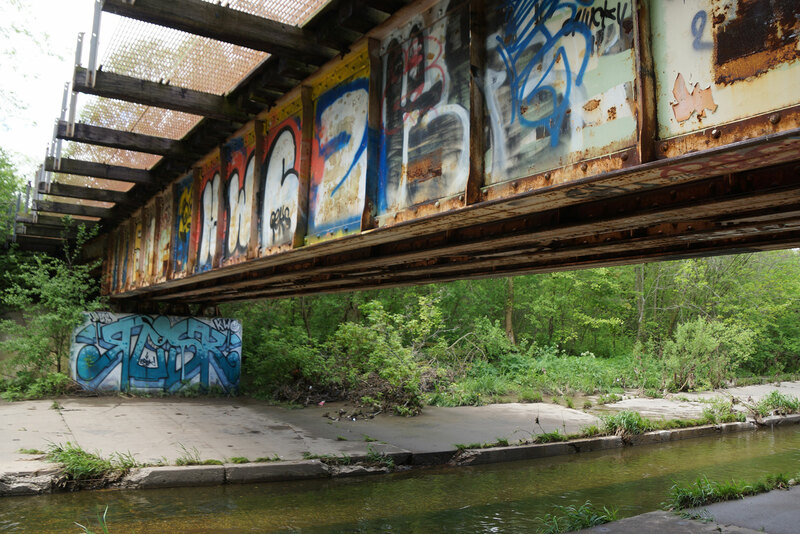 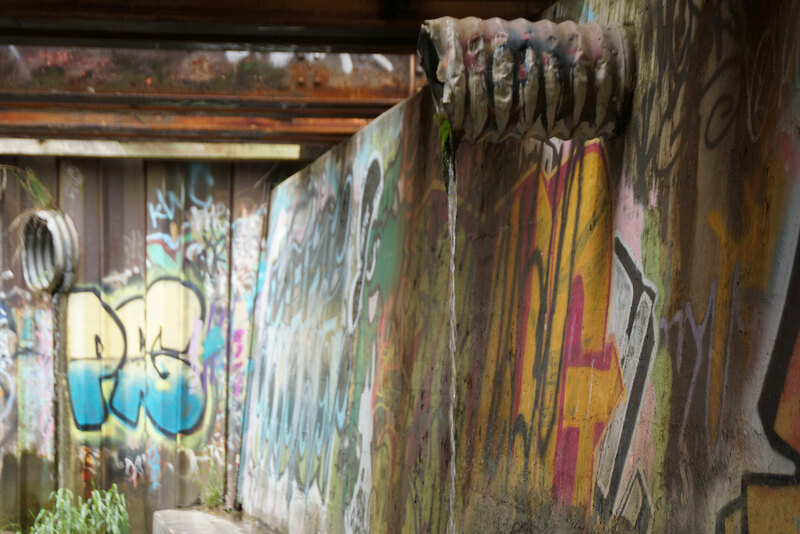 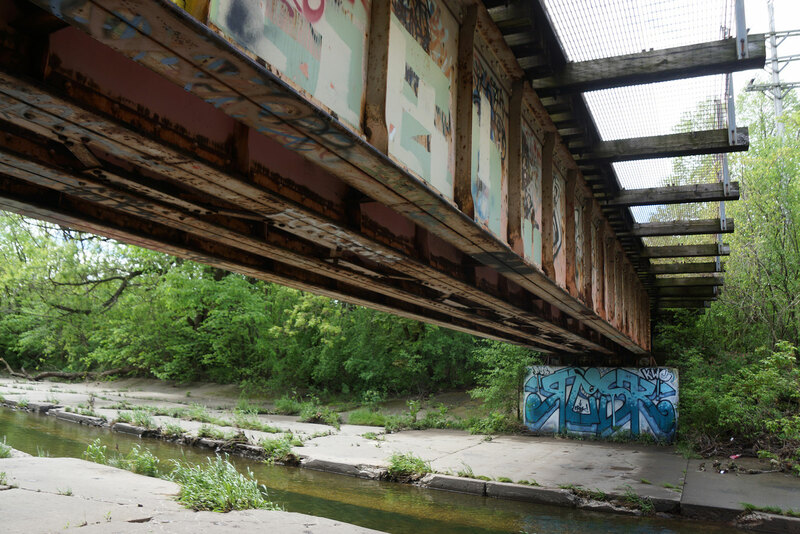 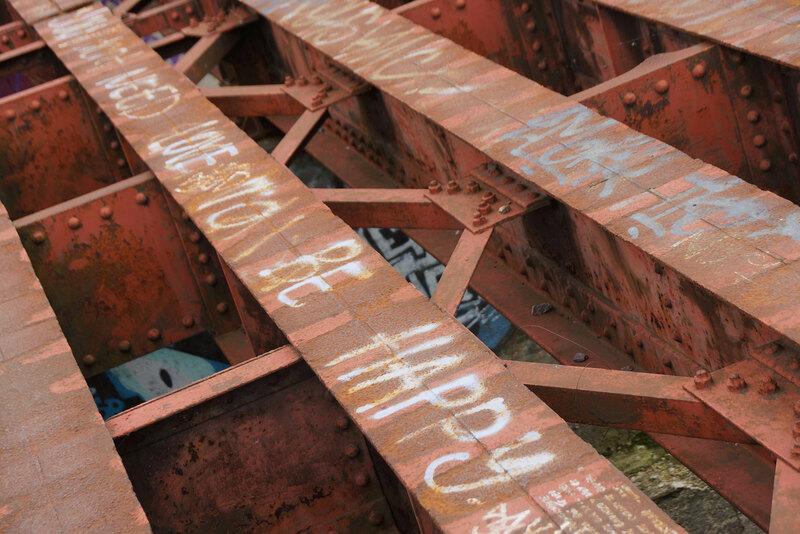 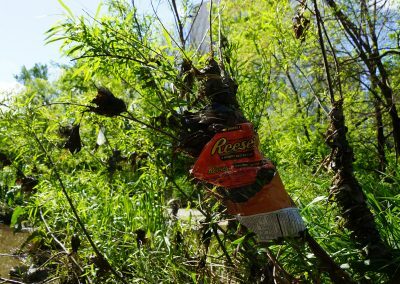 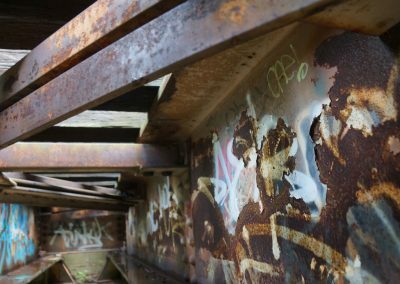 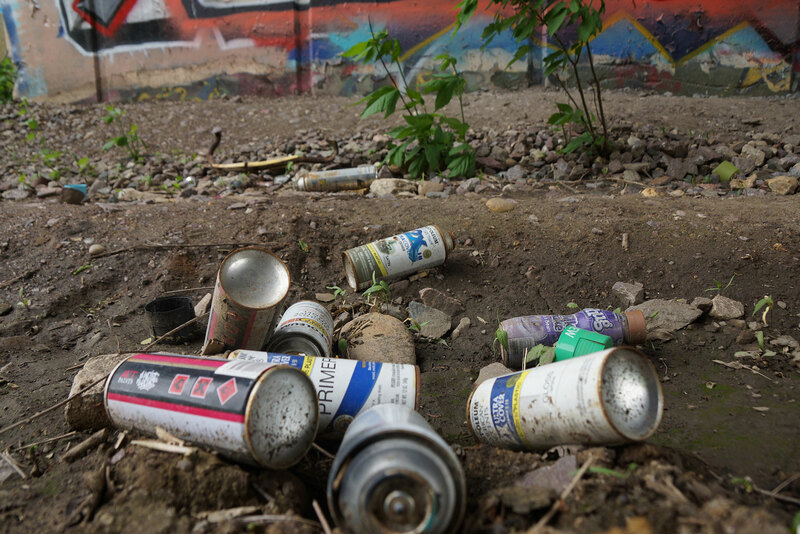 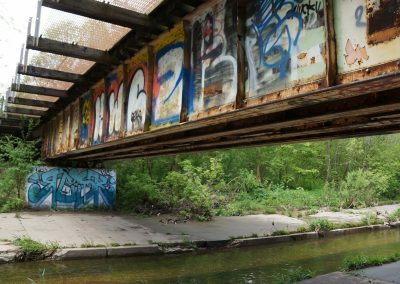 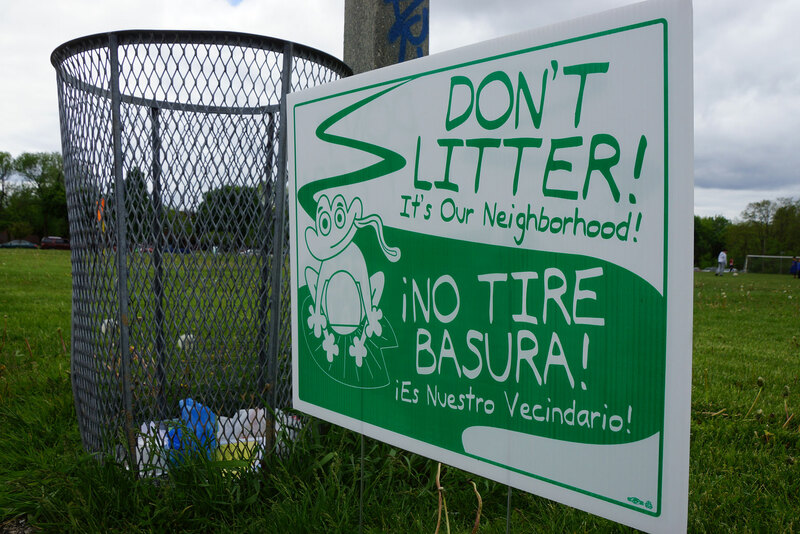 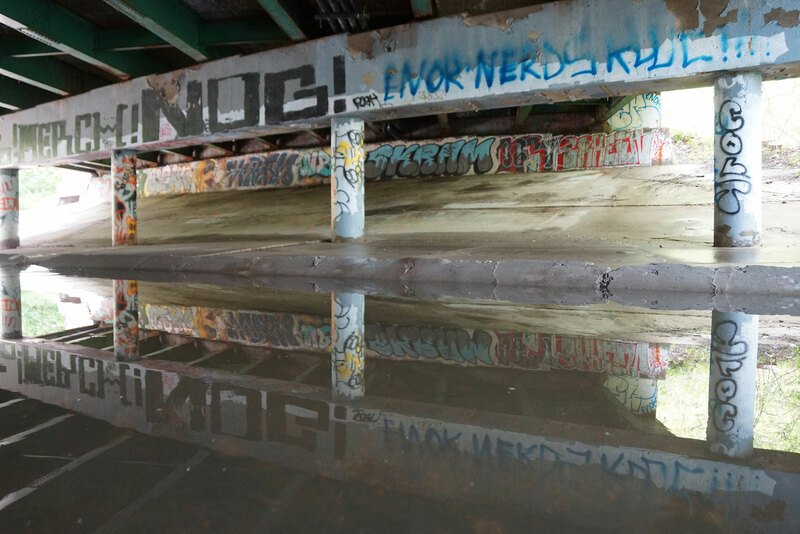 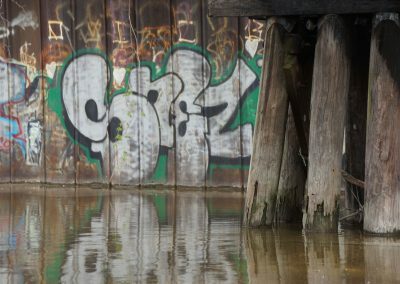 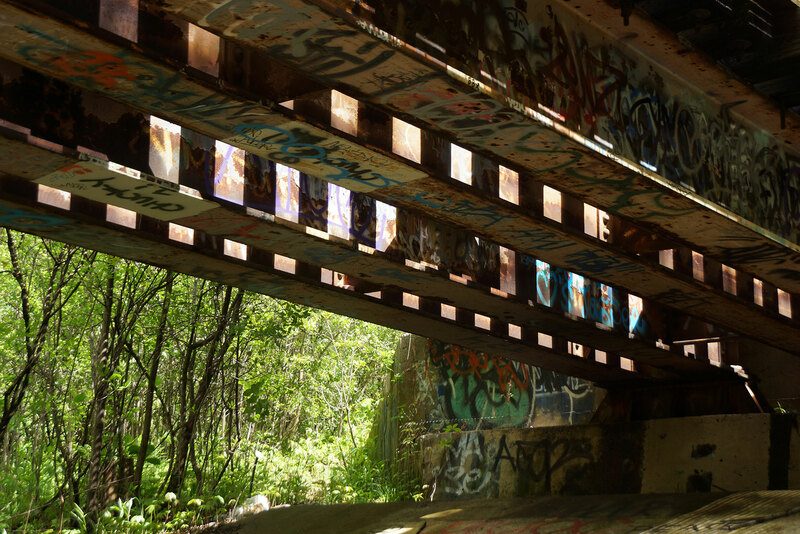 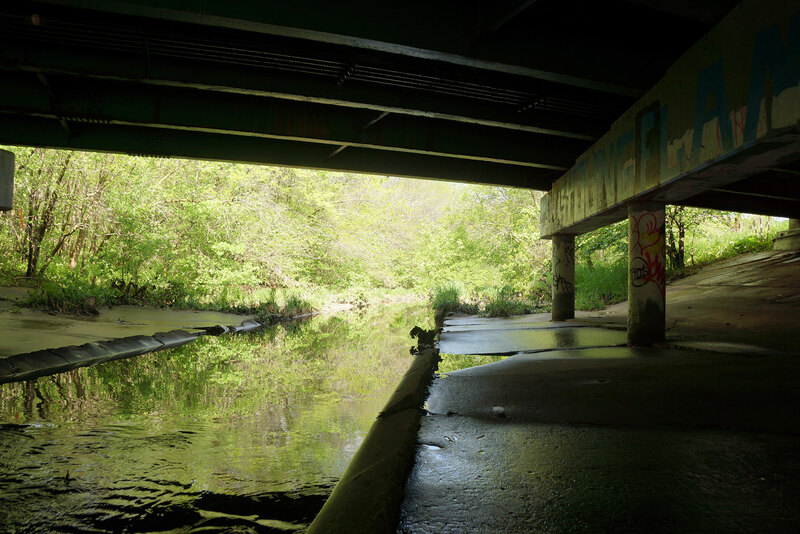 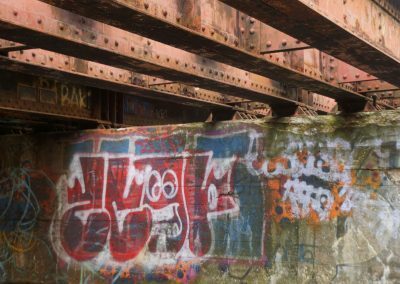 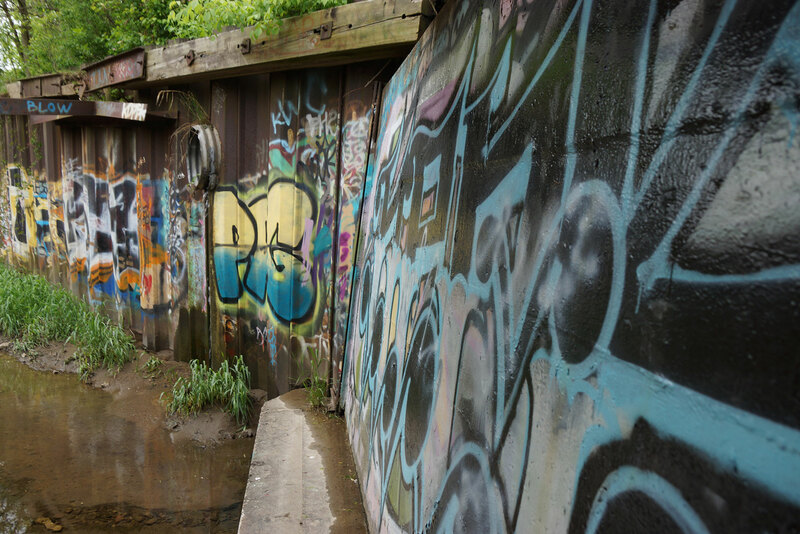 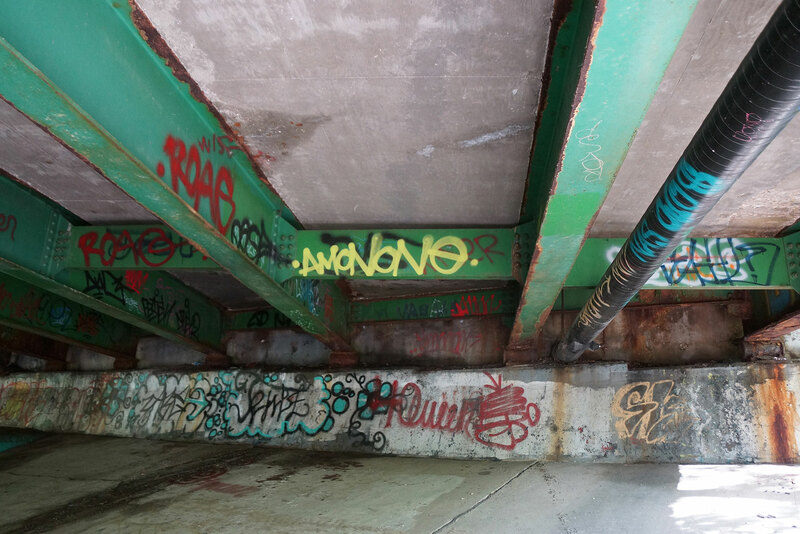 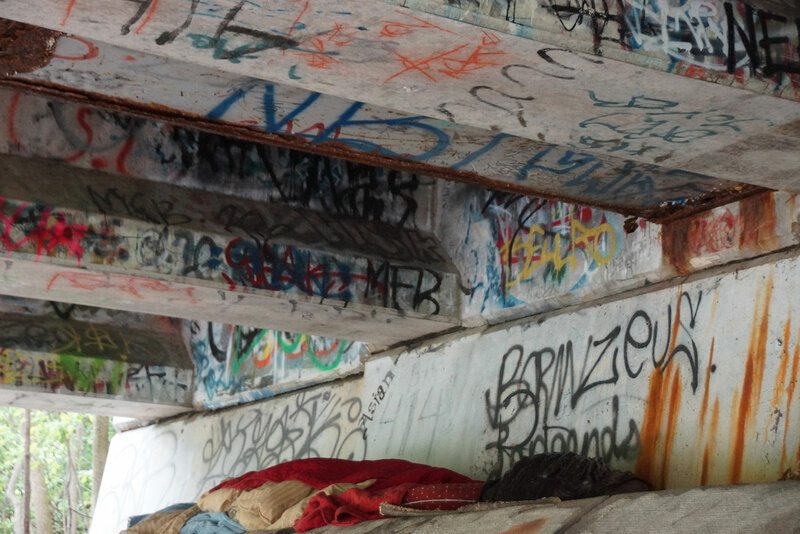 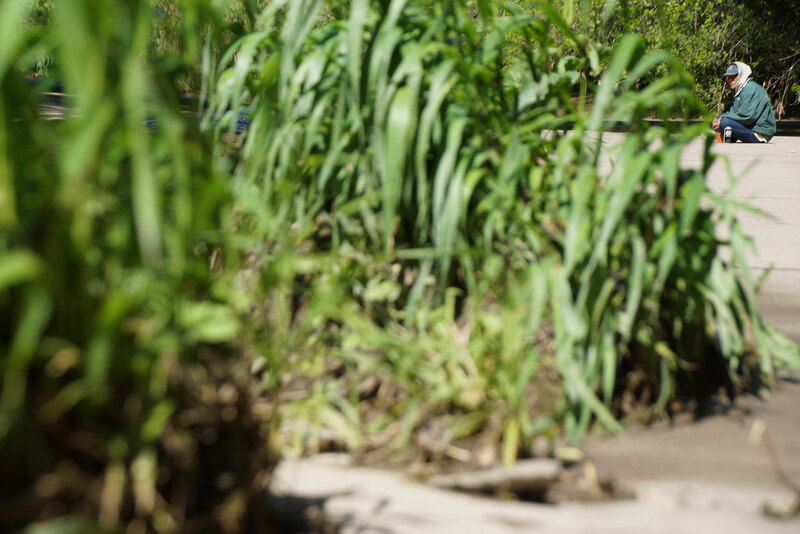 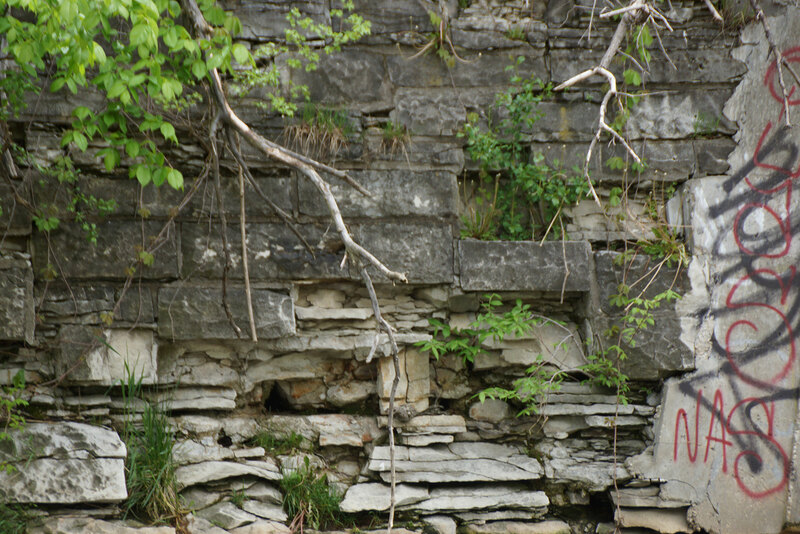 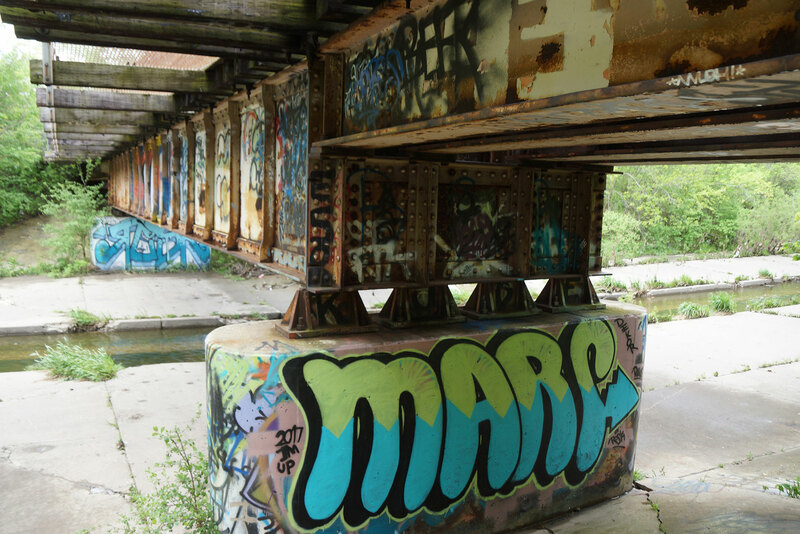 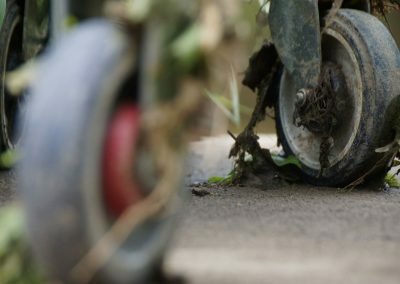 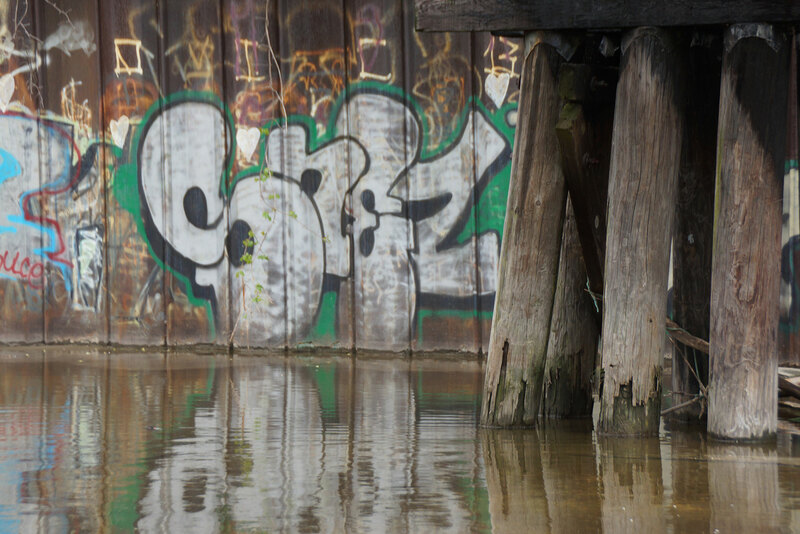 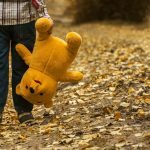 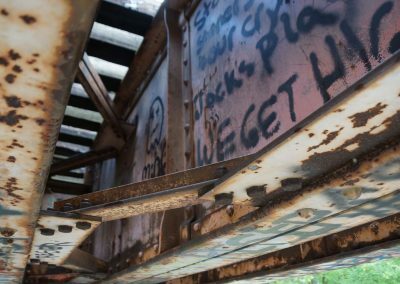 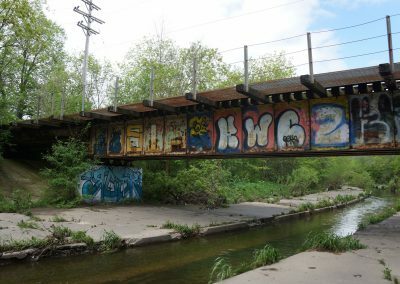 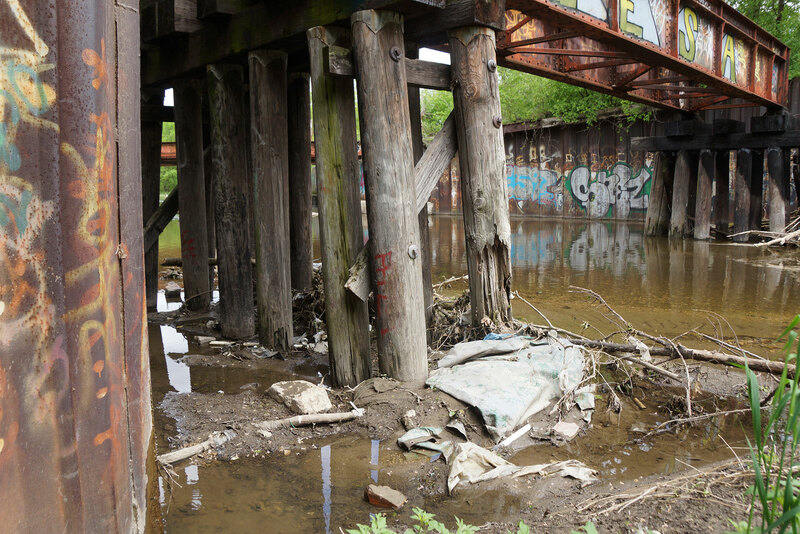 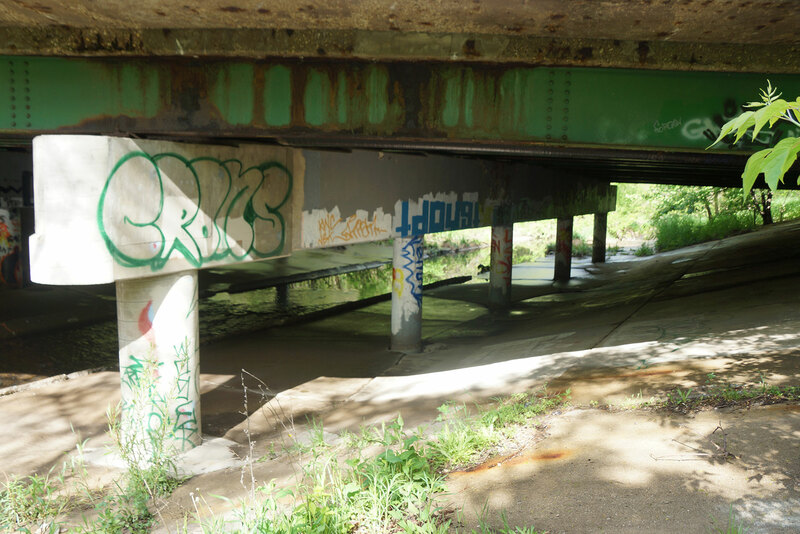 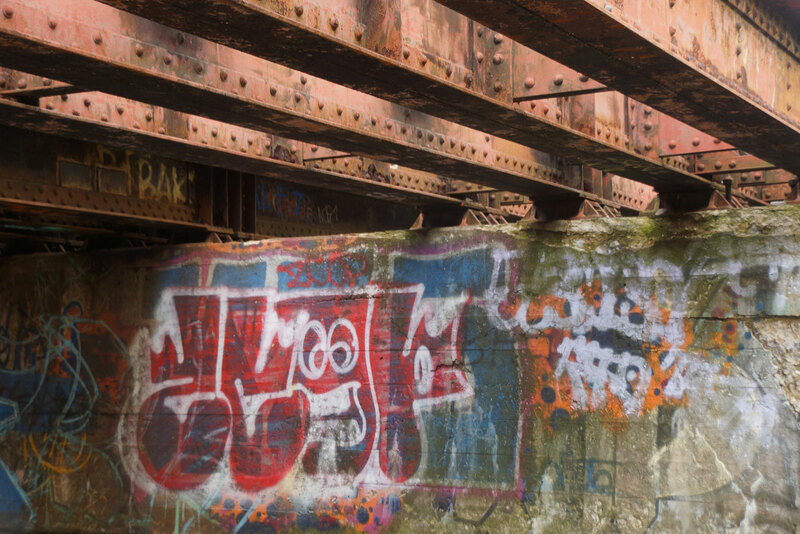 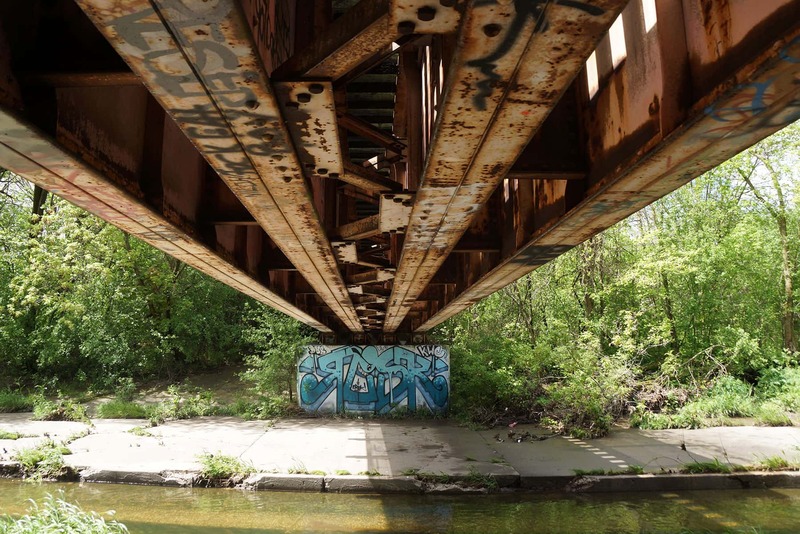 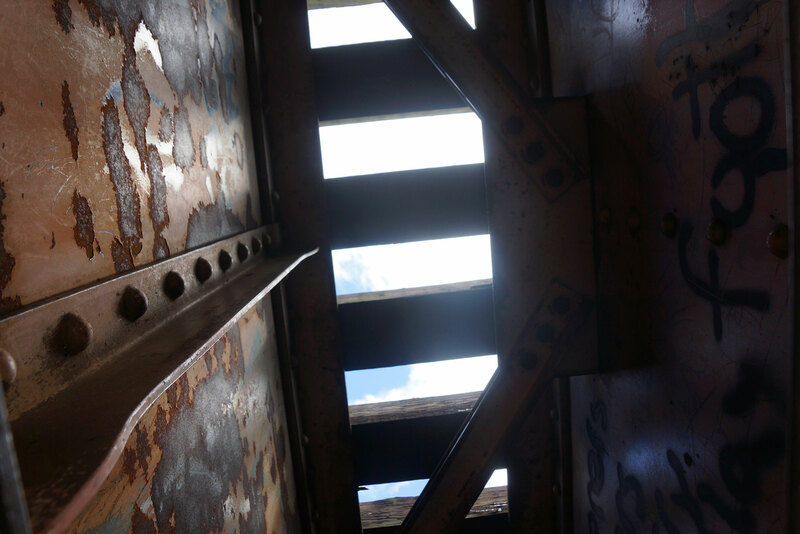 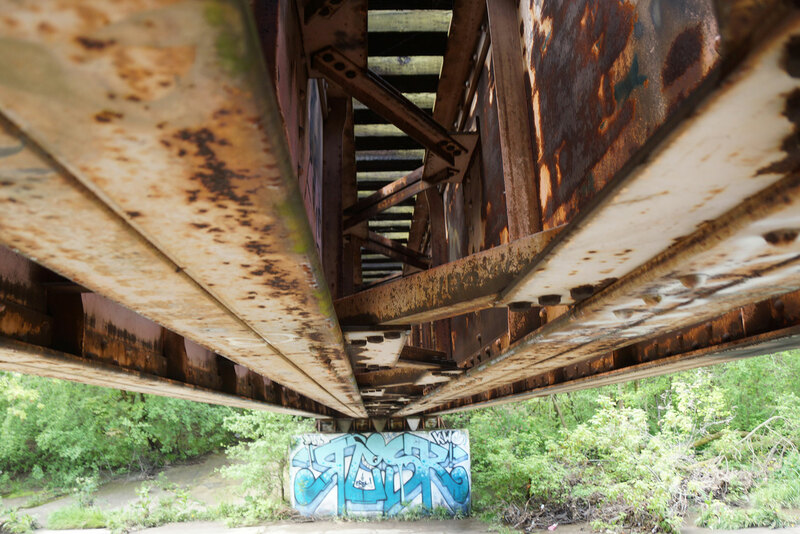 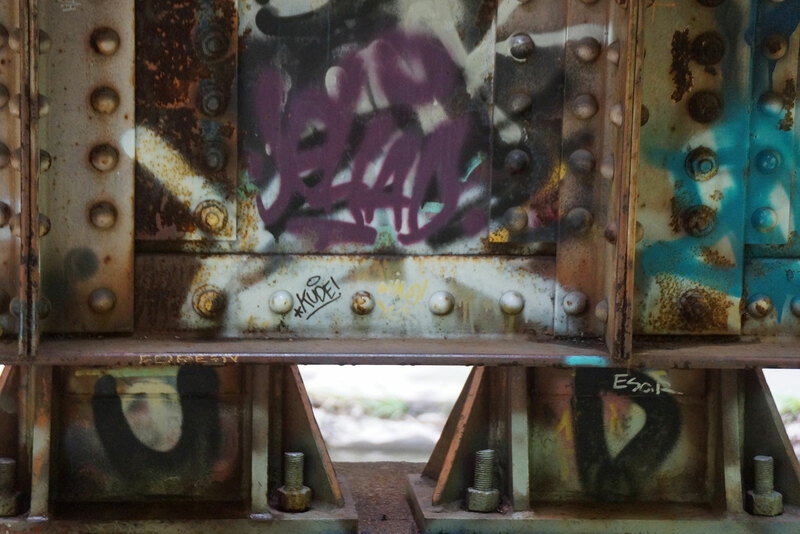 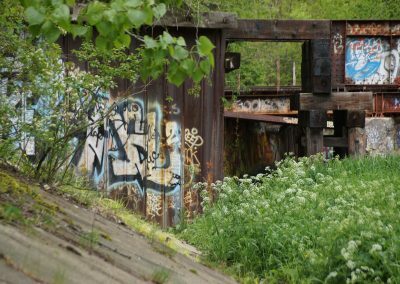 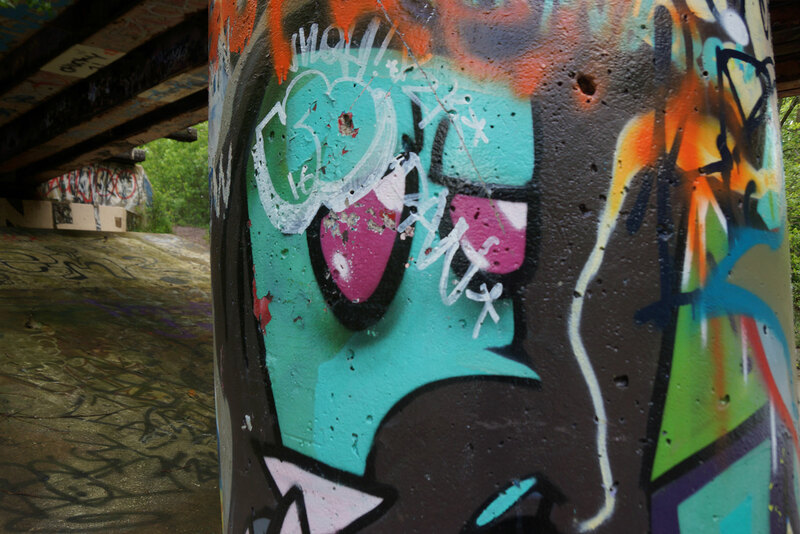 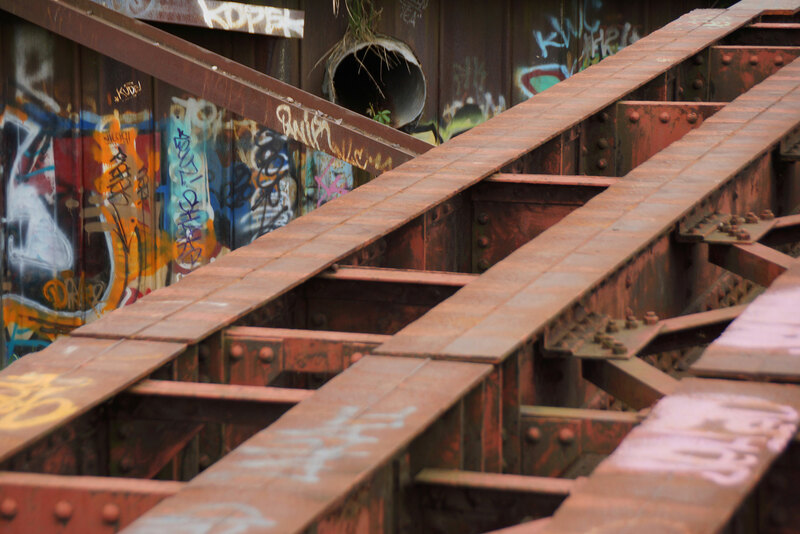 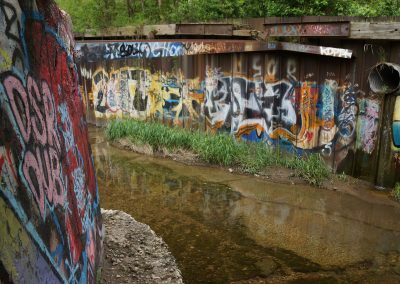 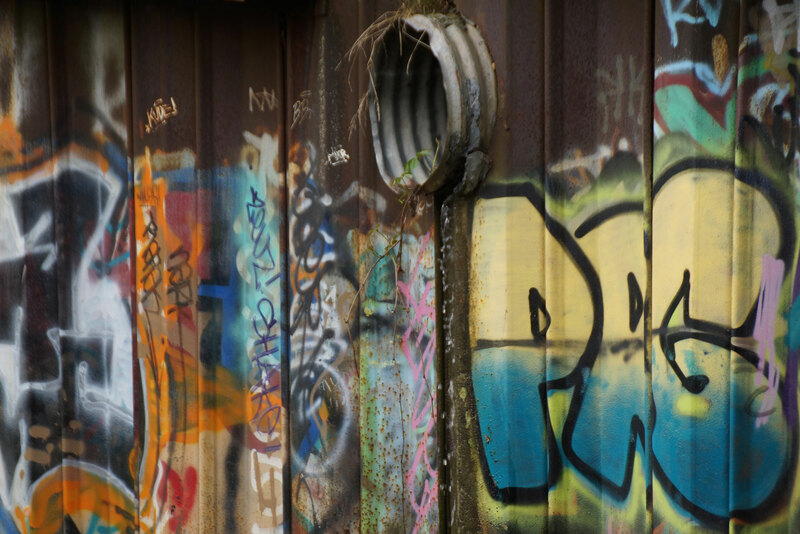 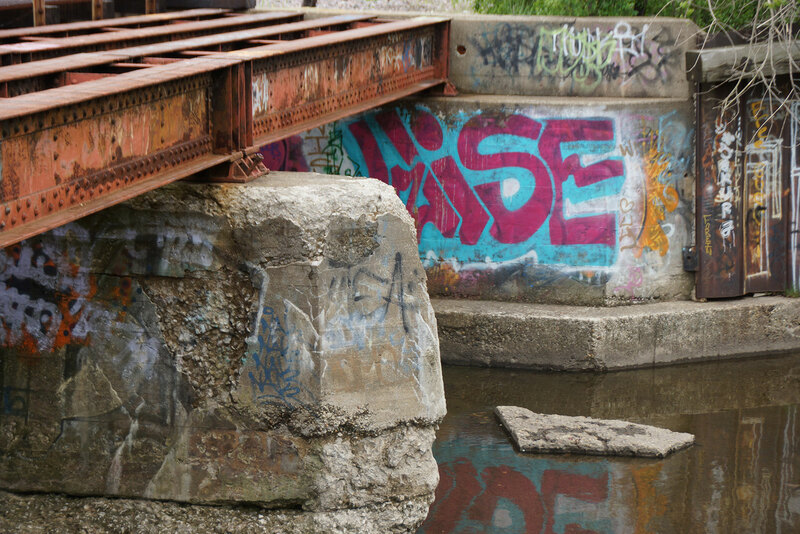 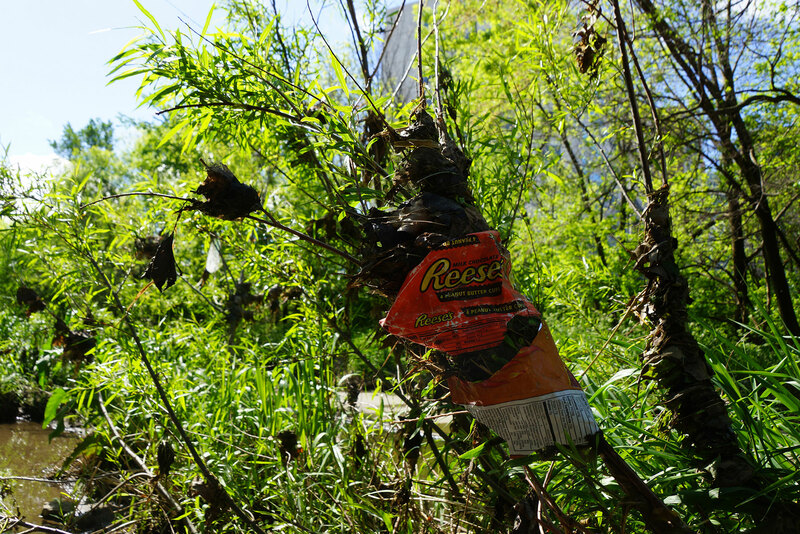 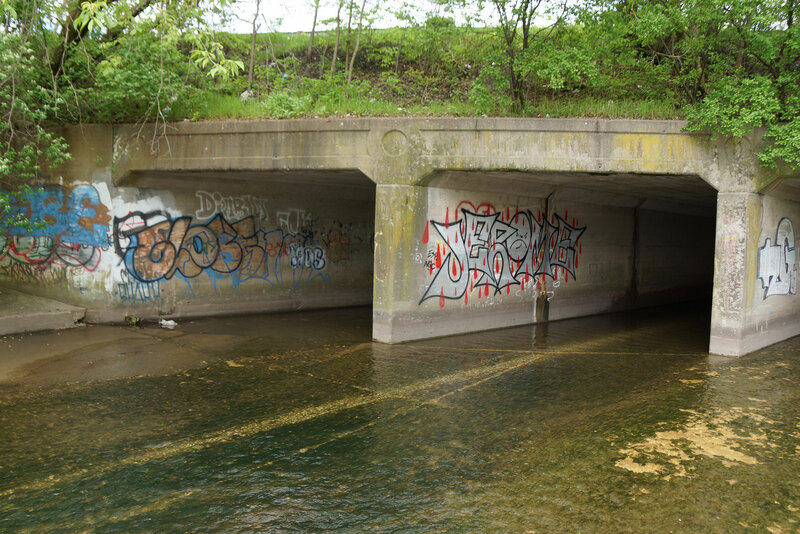 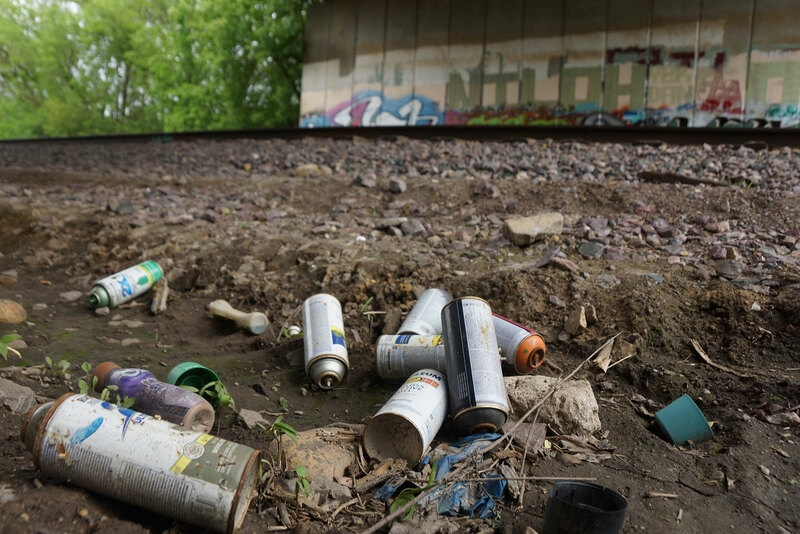 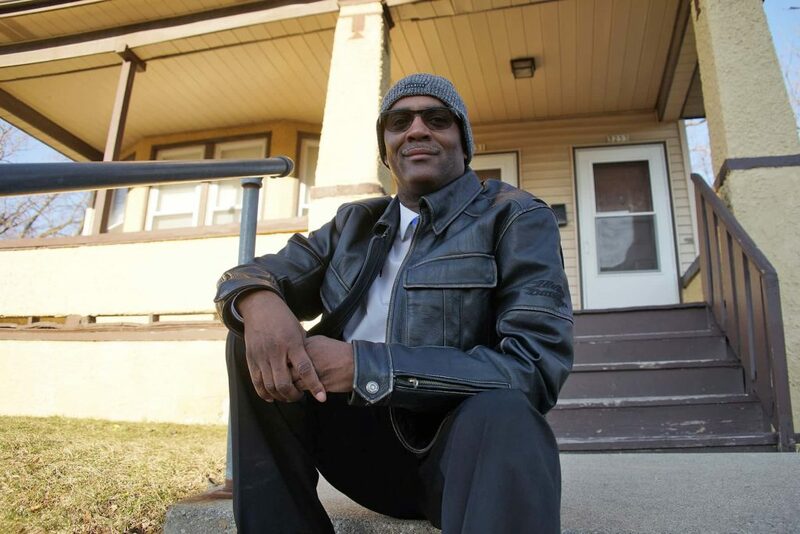 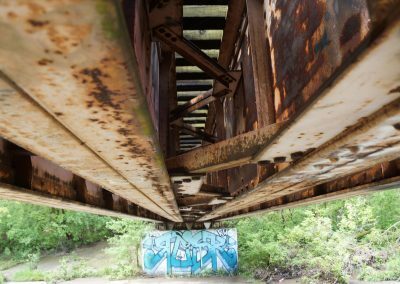 These images document the condition of and people living in poverty along the Kinnickinnic River, as a record and visual reference for the future.